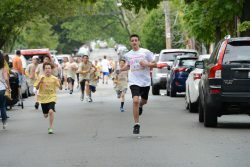 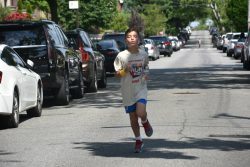 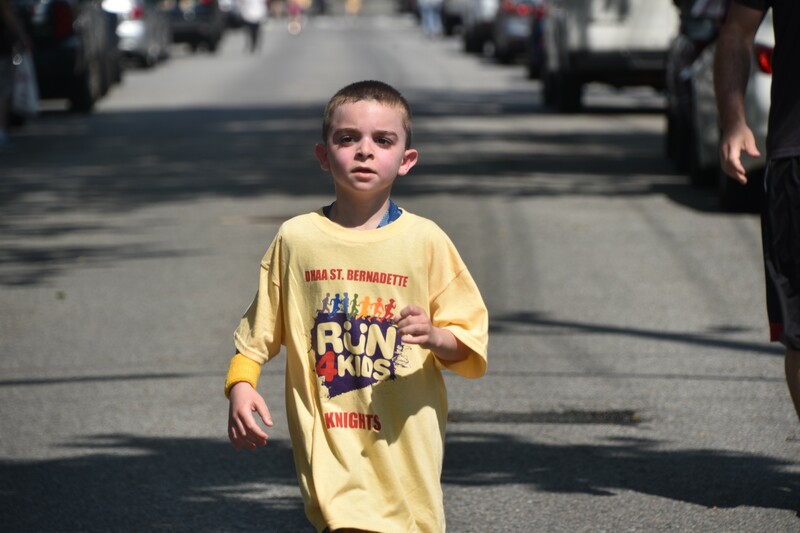 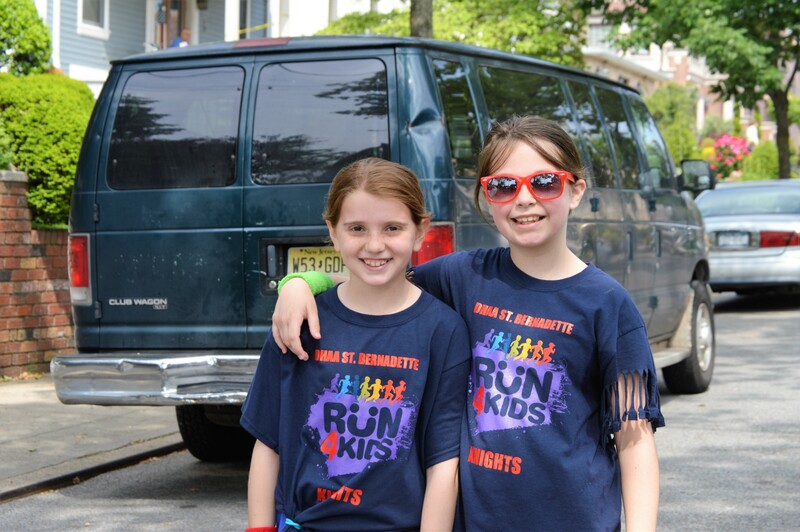 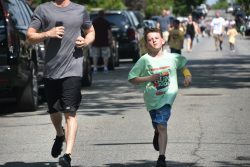 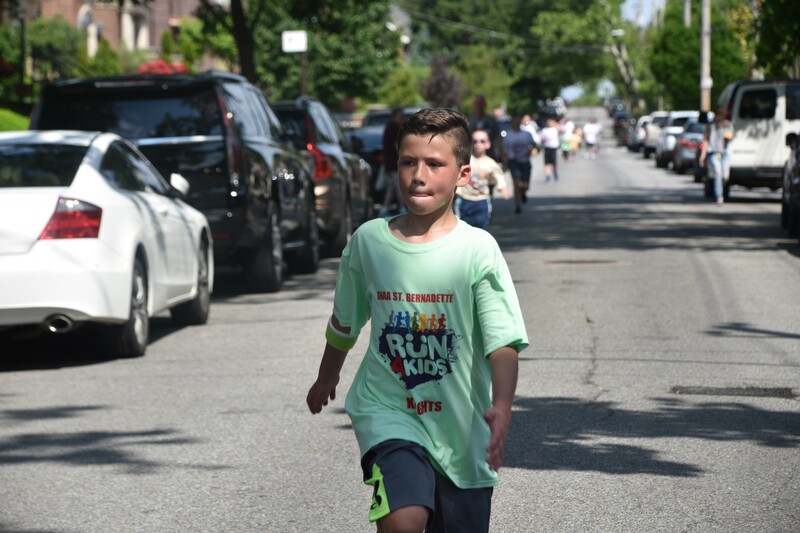 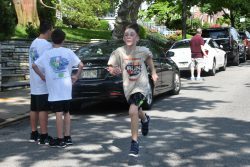 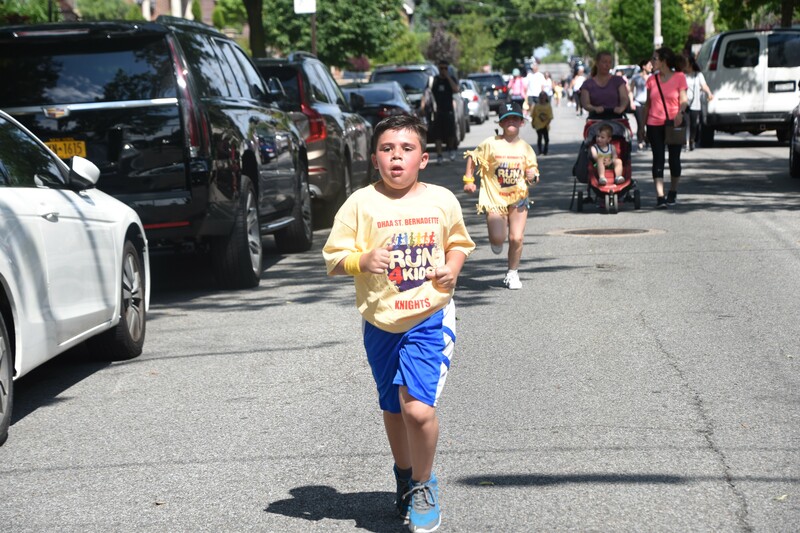 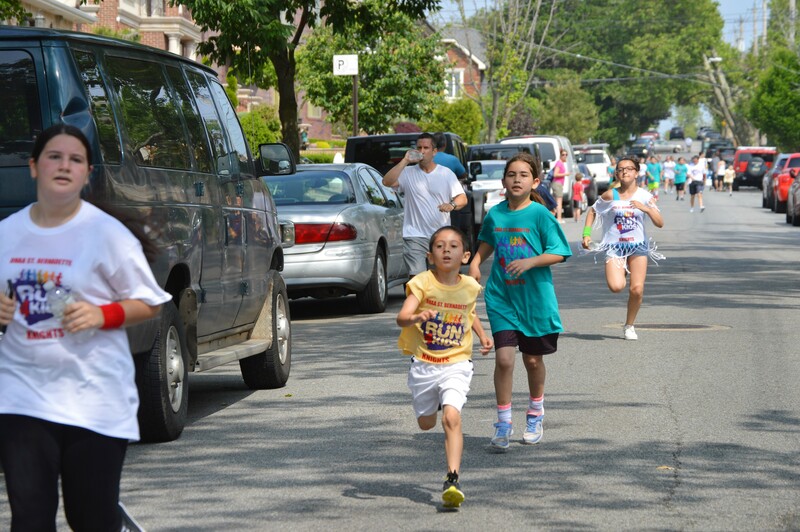 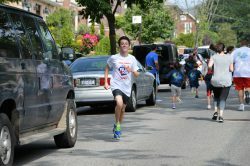 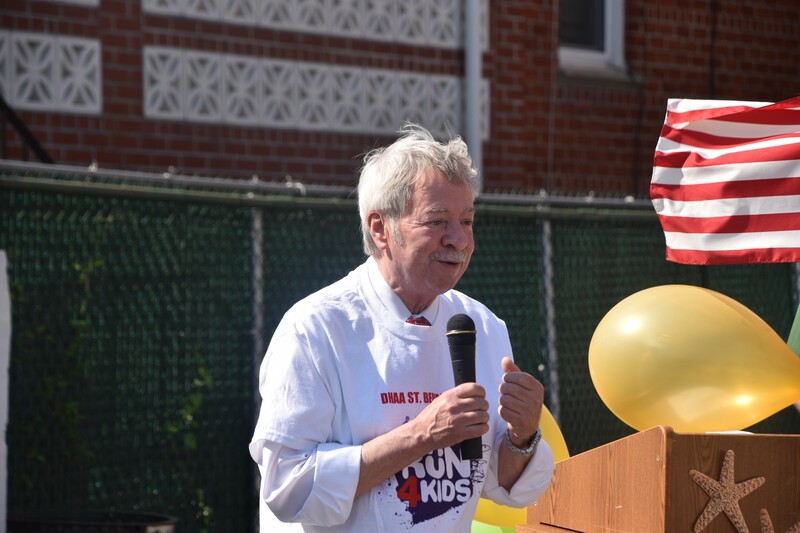 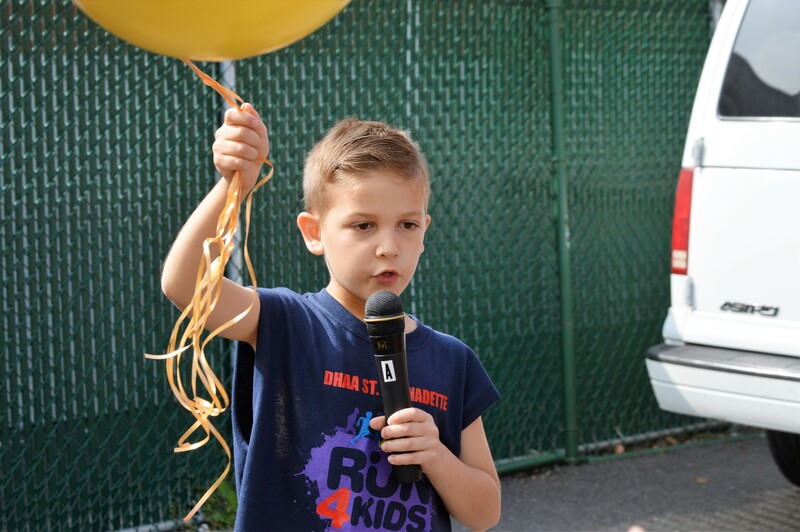 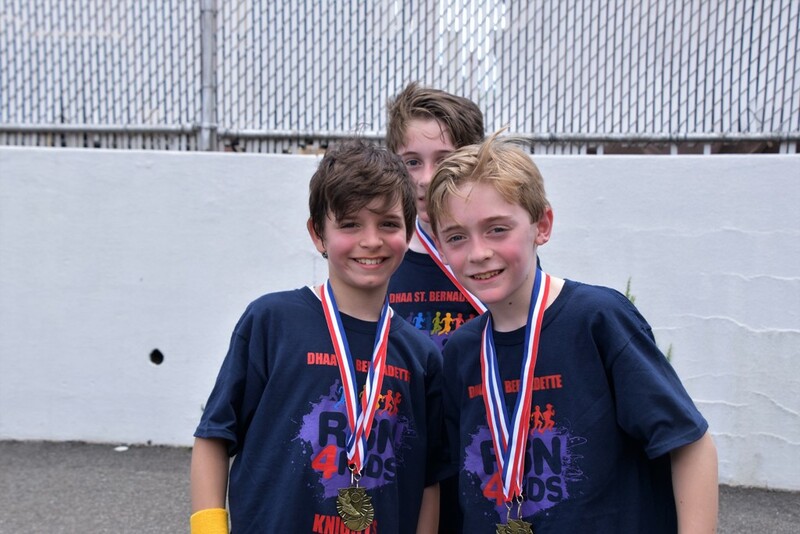 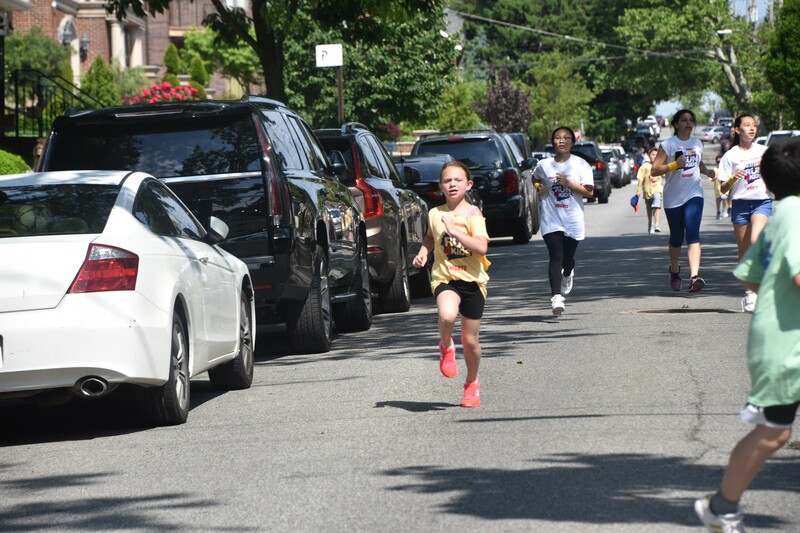 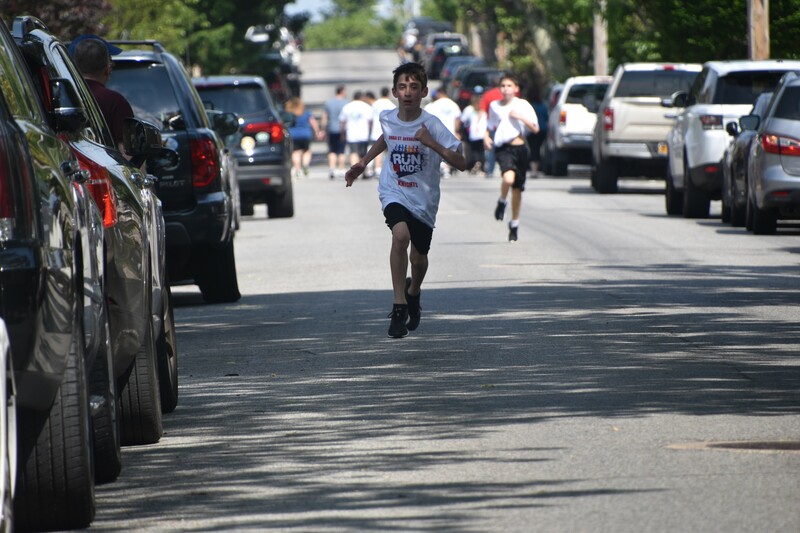 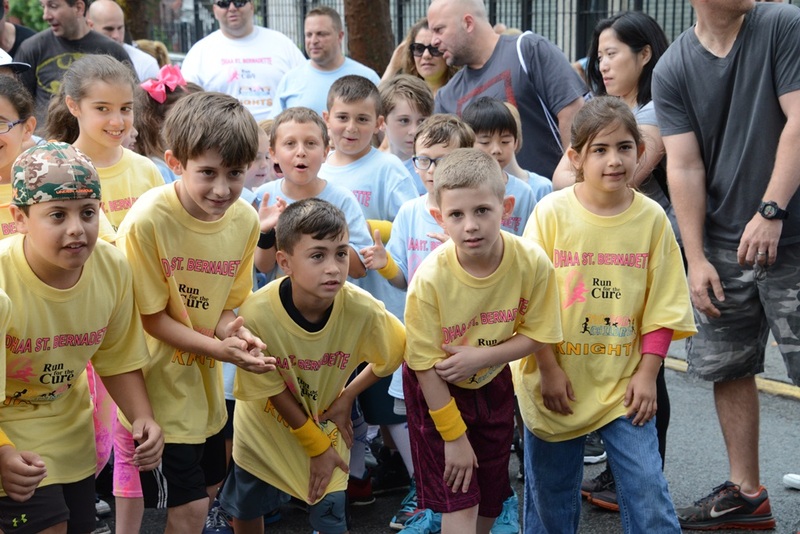 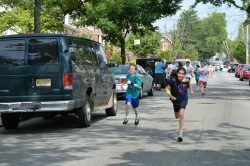 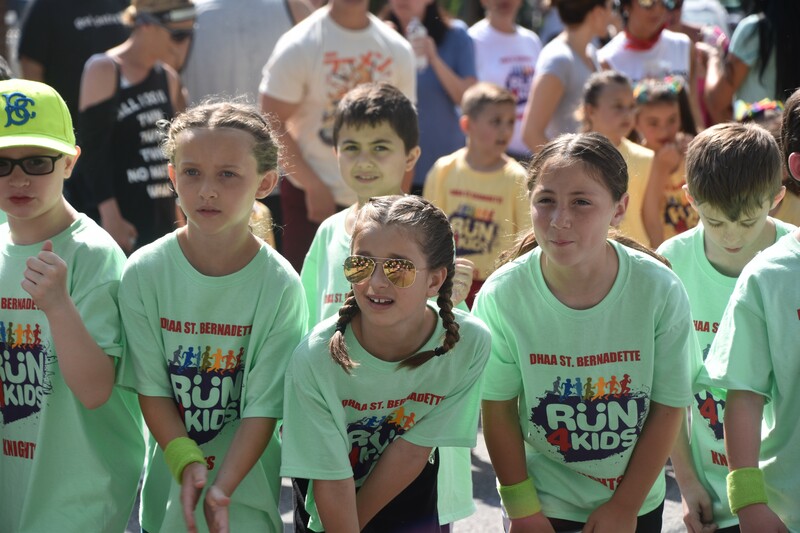 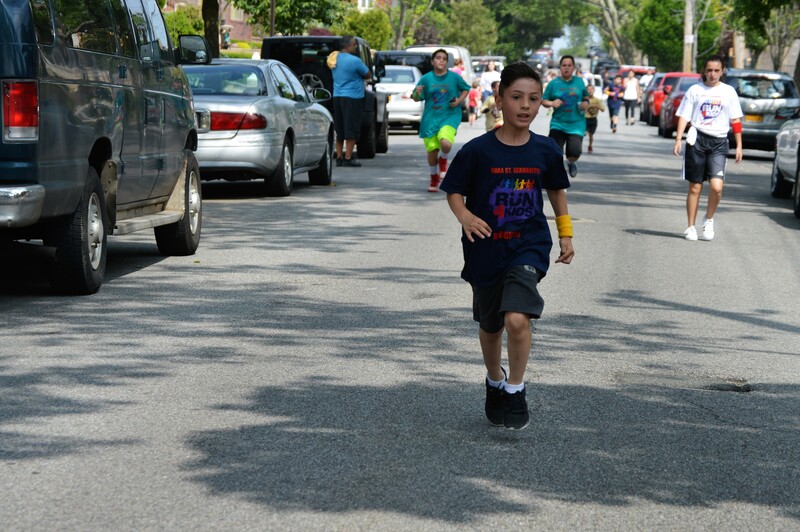 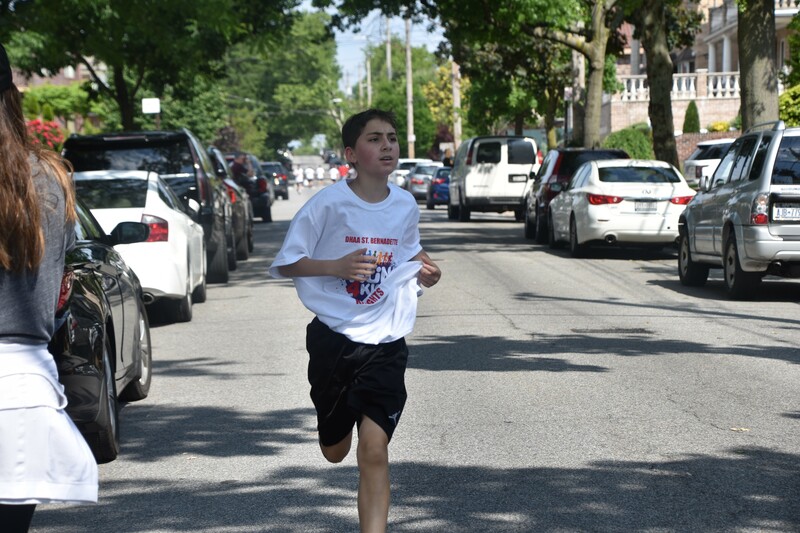 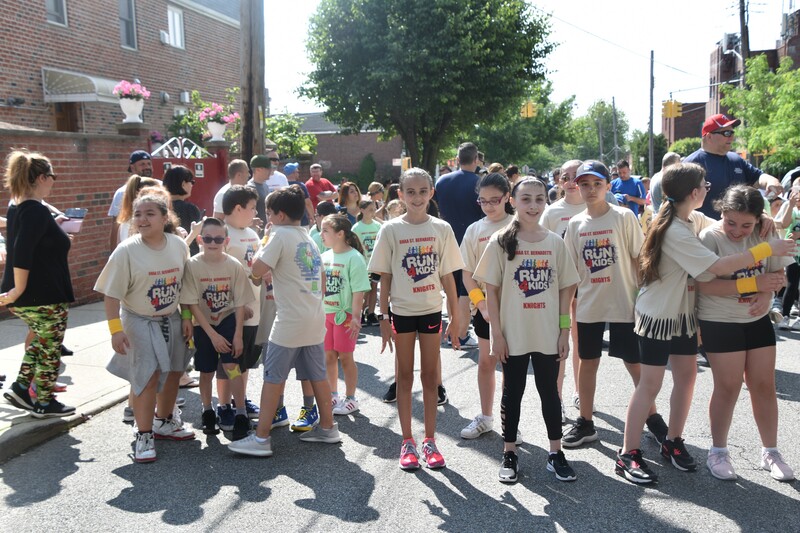 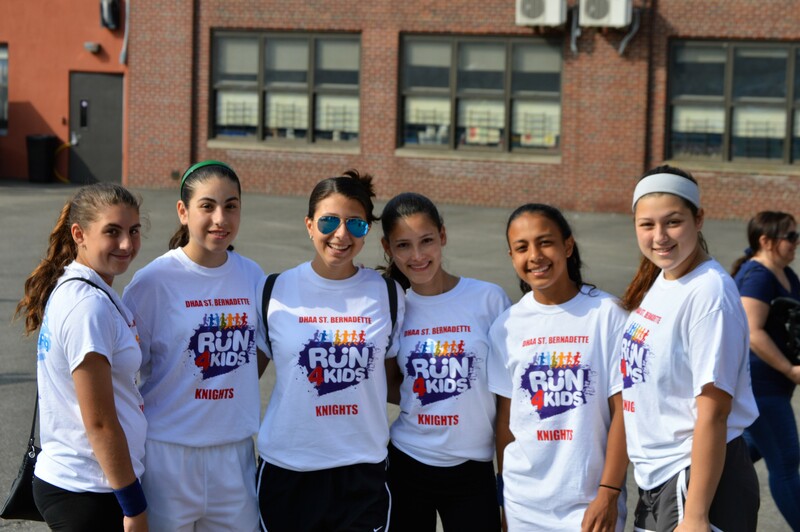 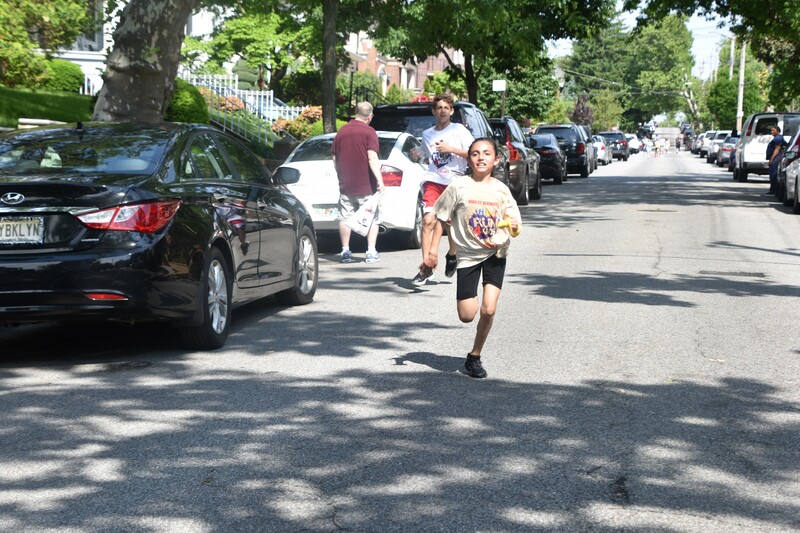 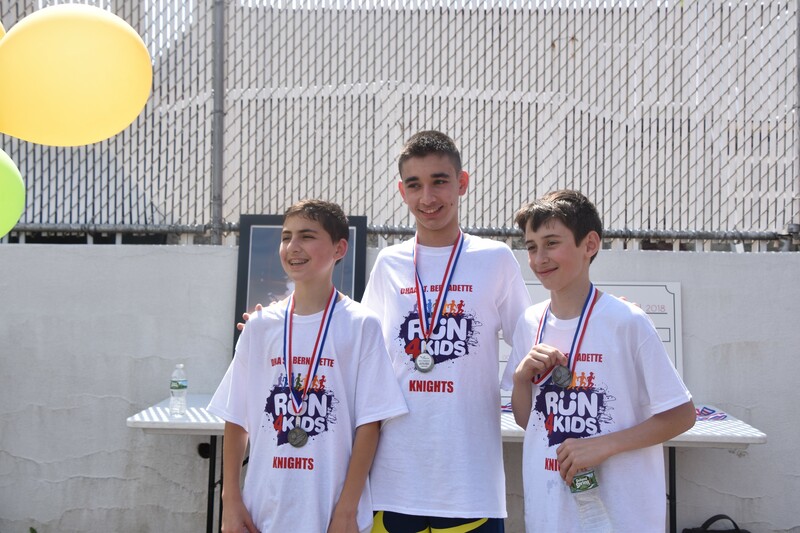 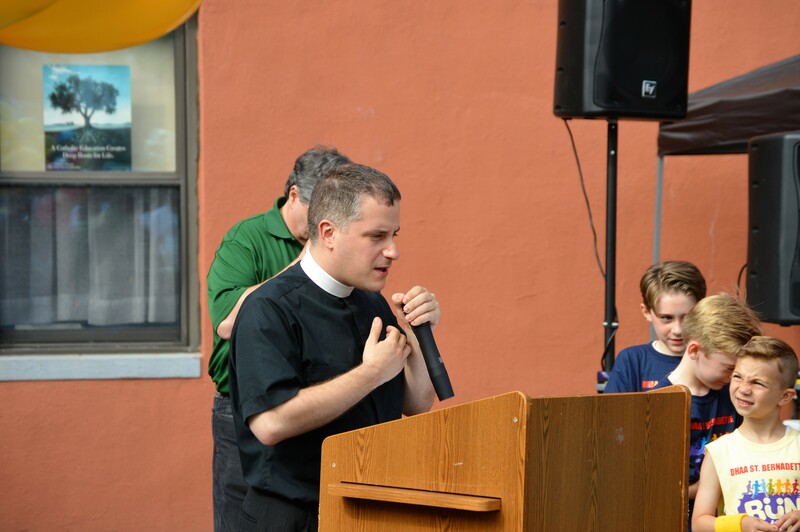 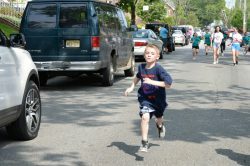 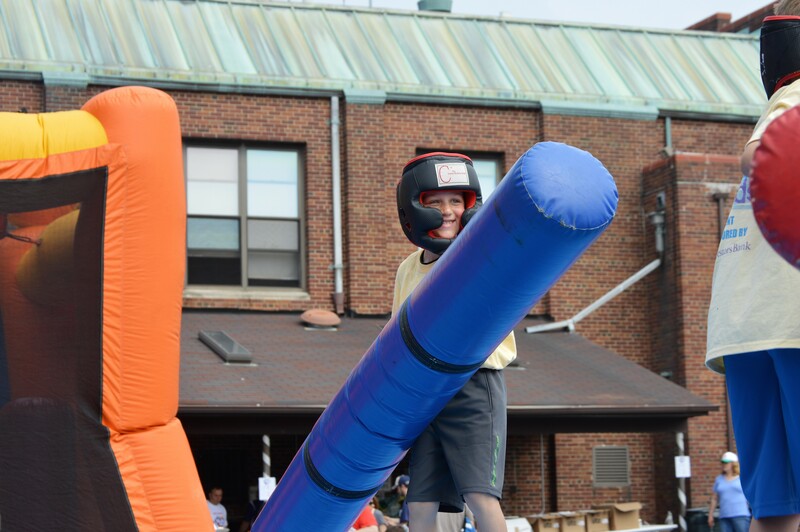 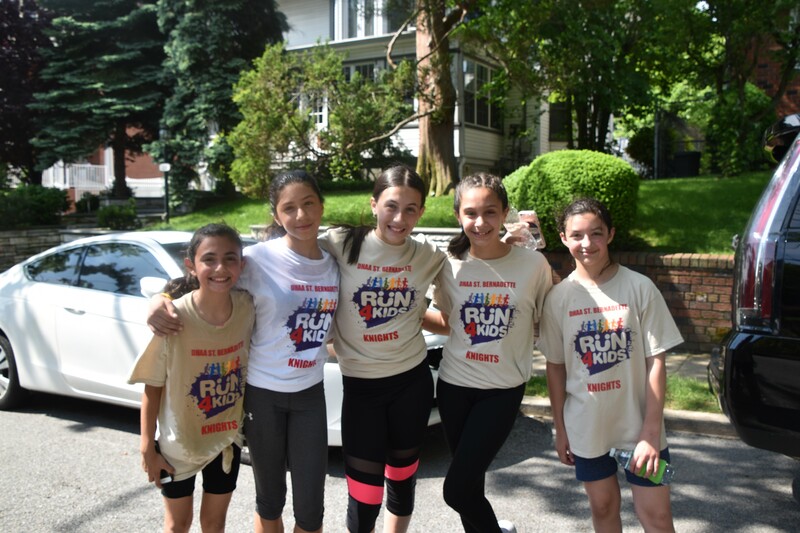 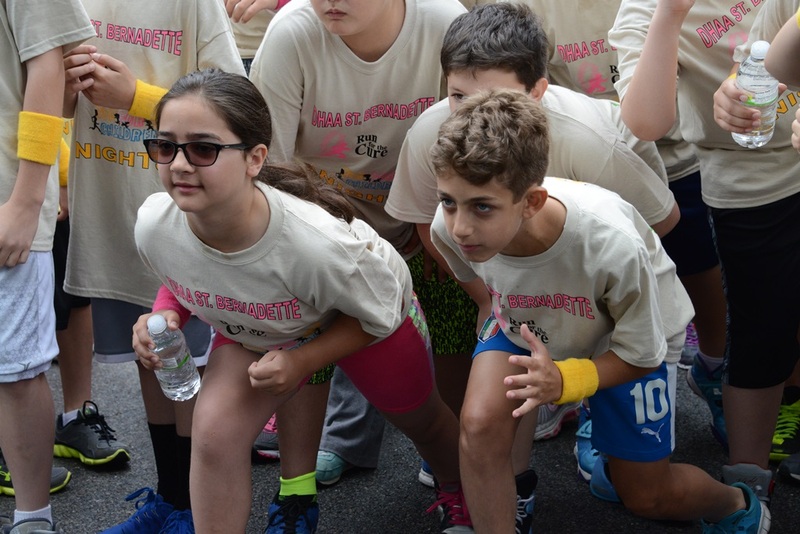 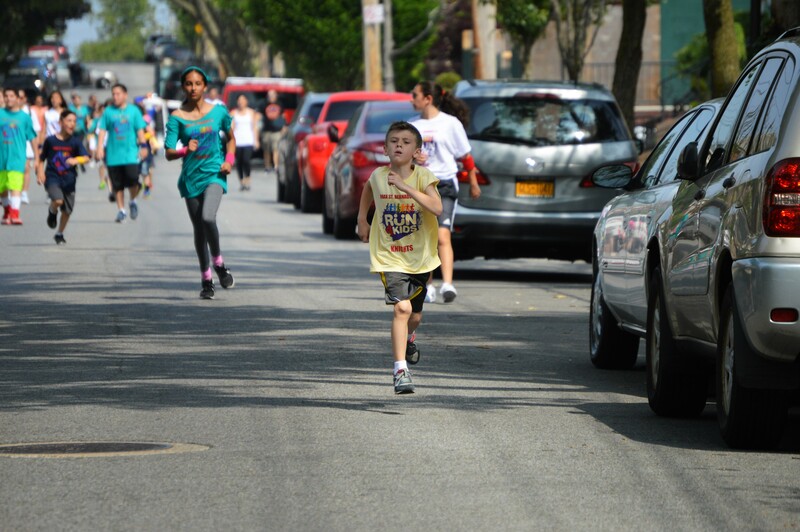 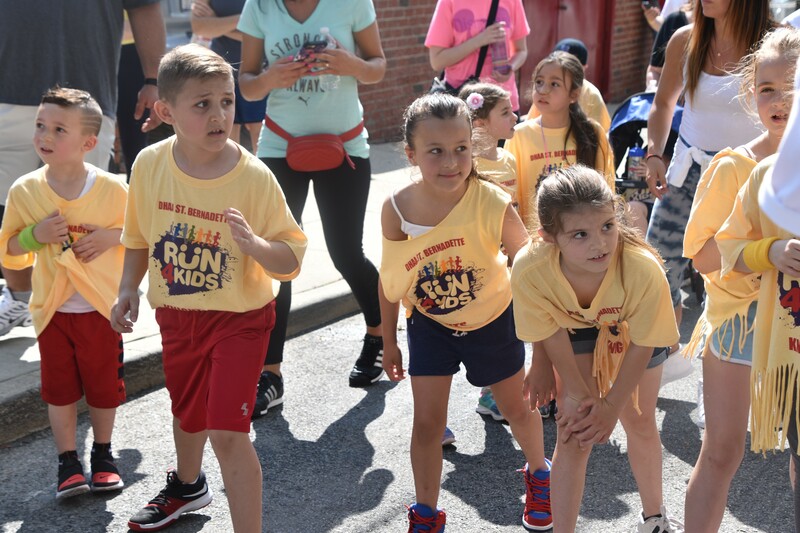 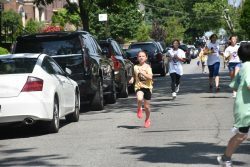 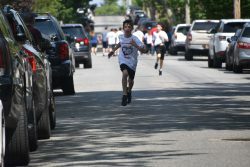 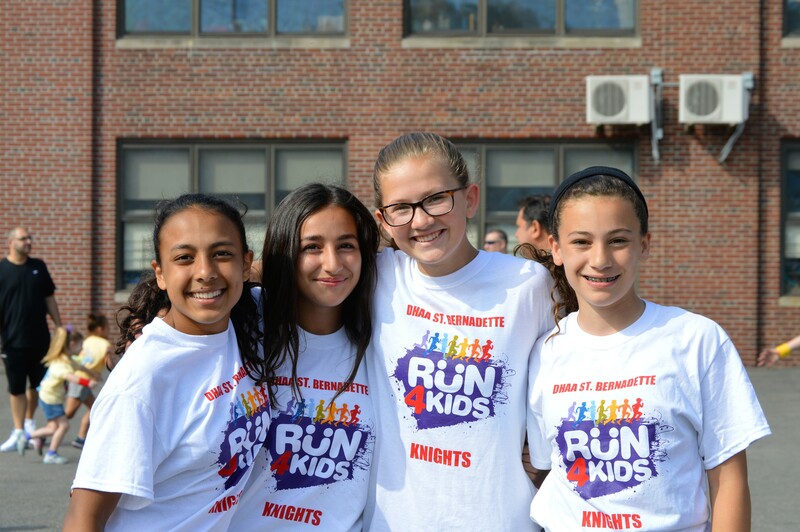 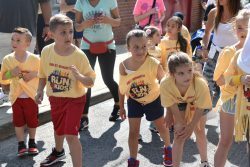 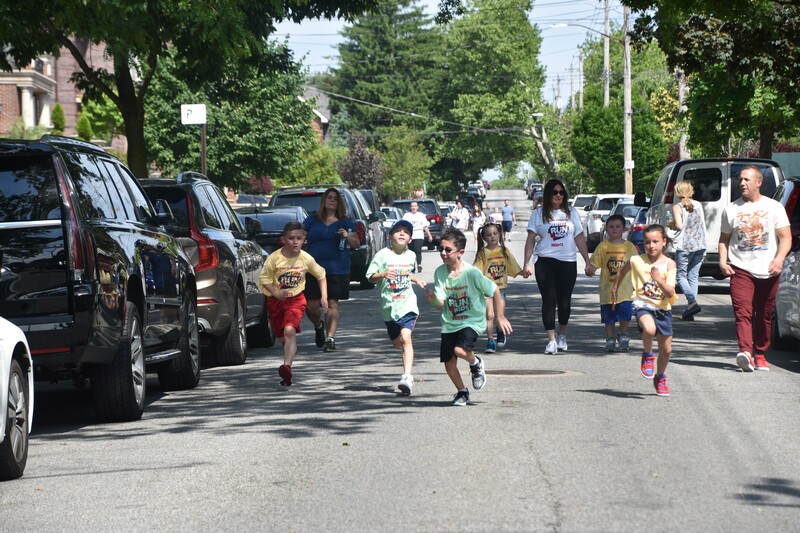 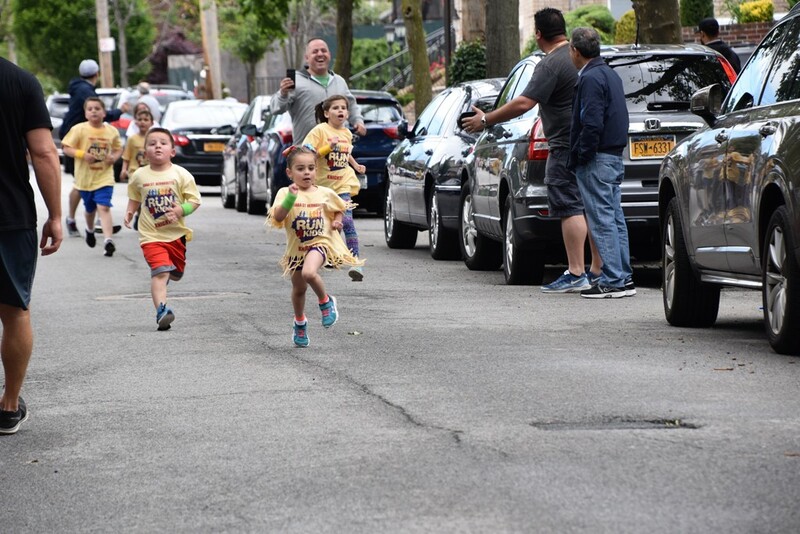 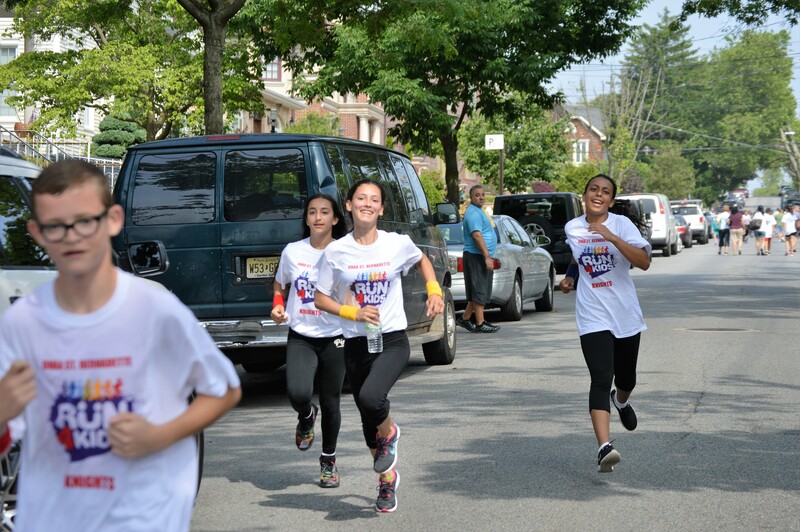 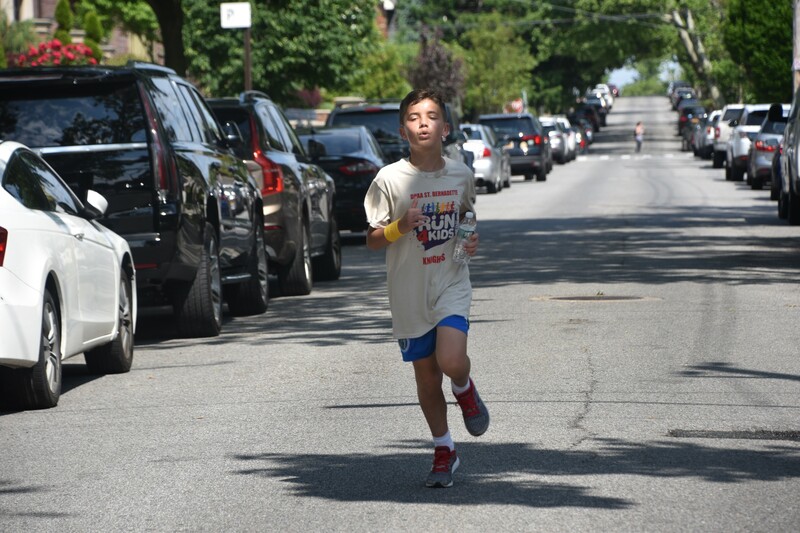 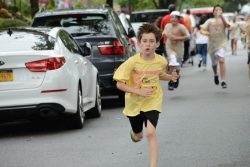 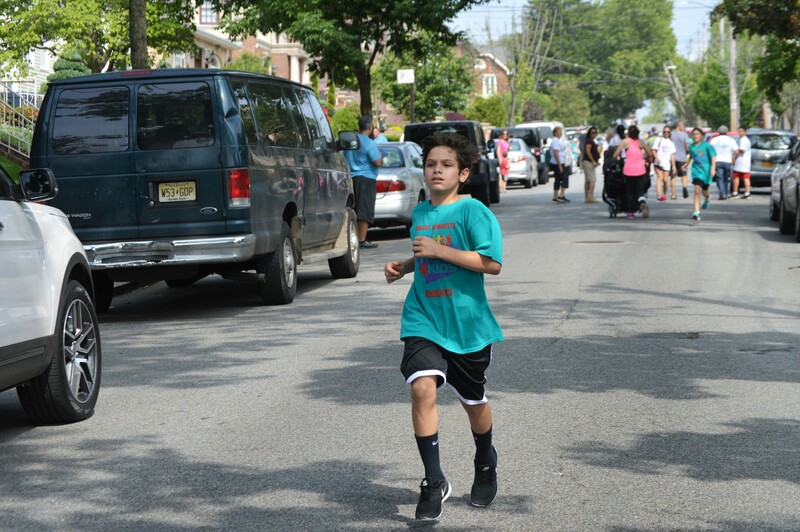 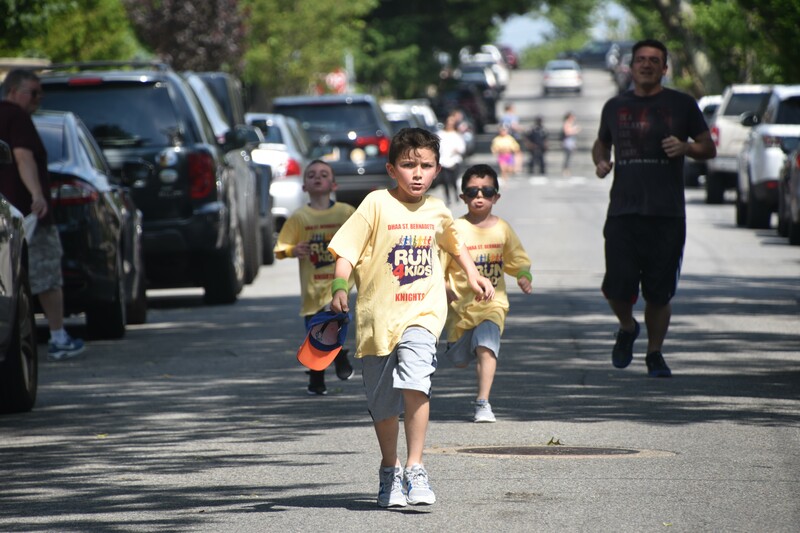 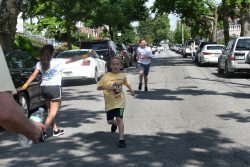 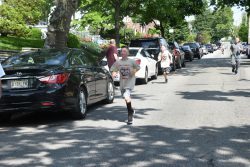 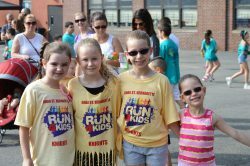 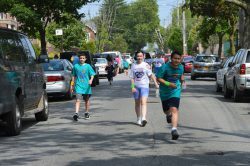 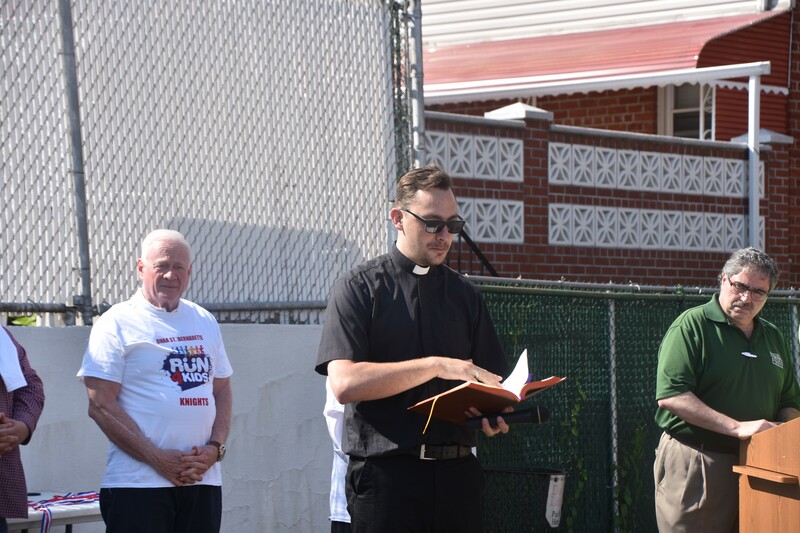 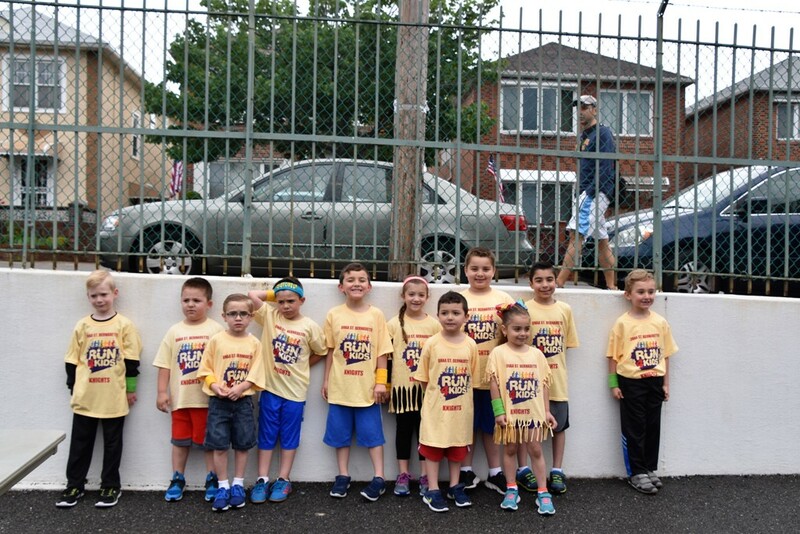 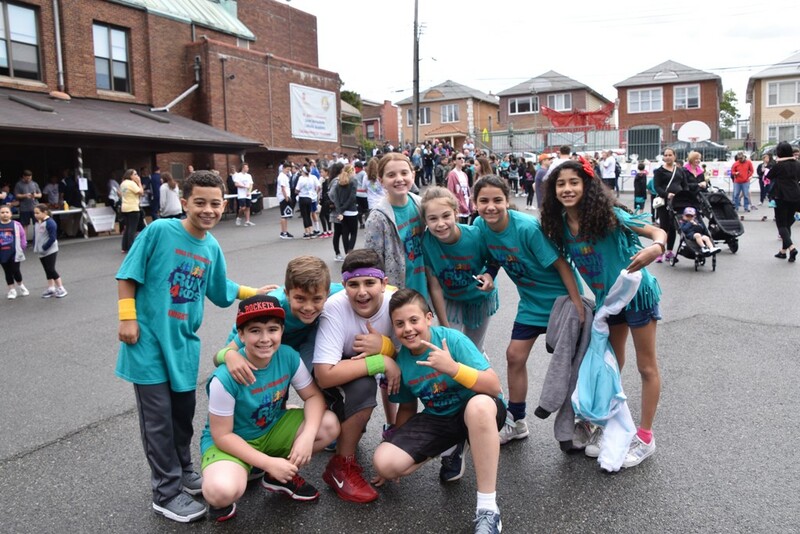 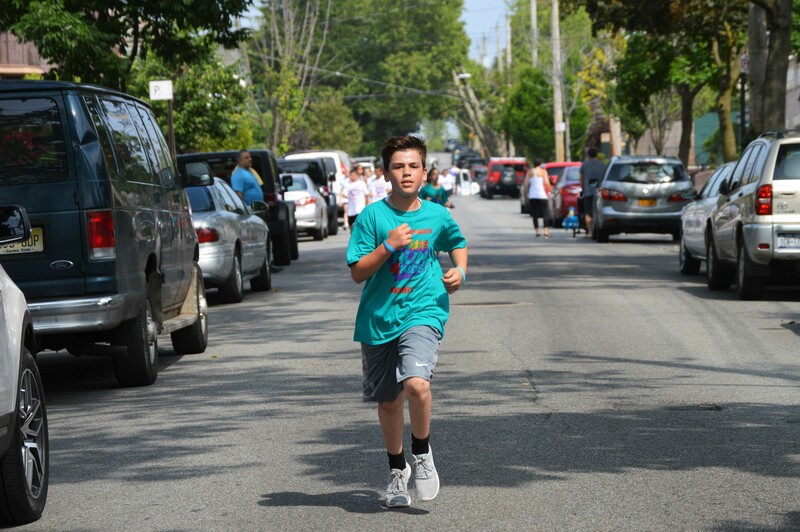 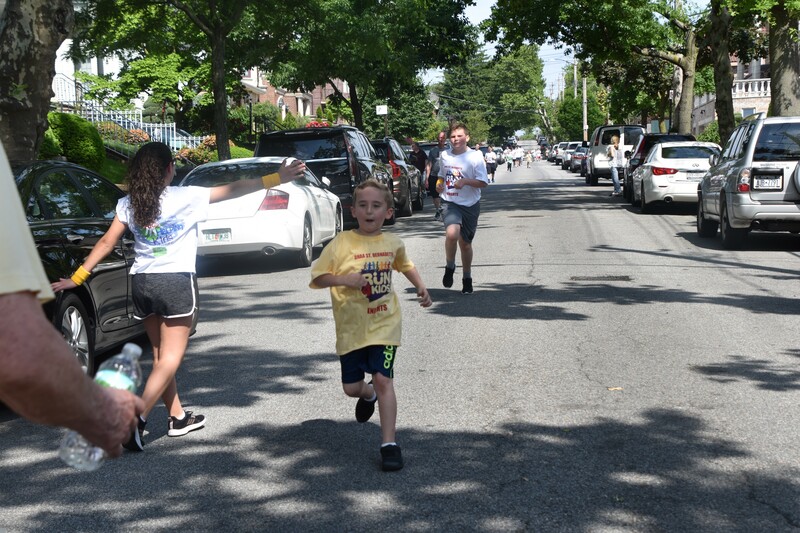 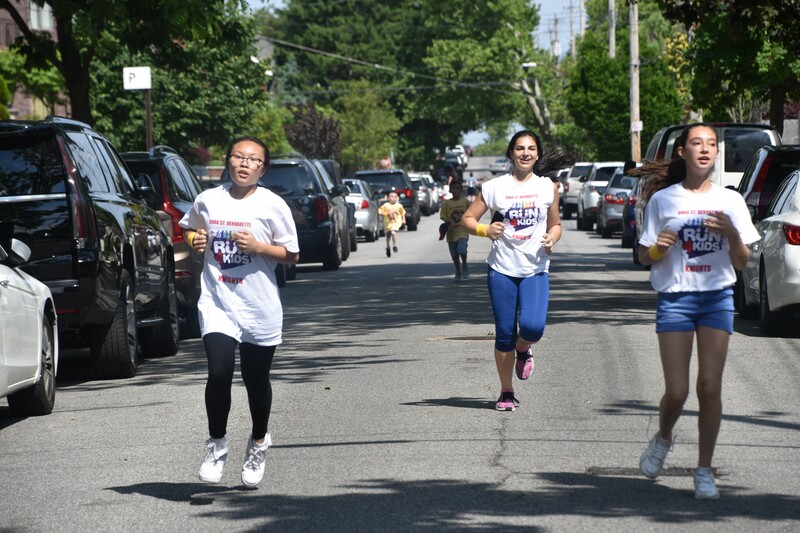 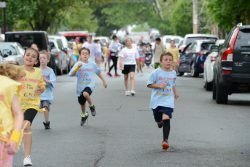 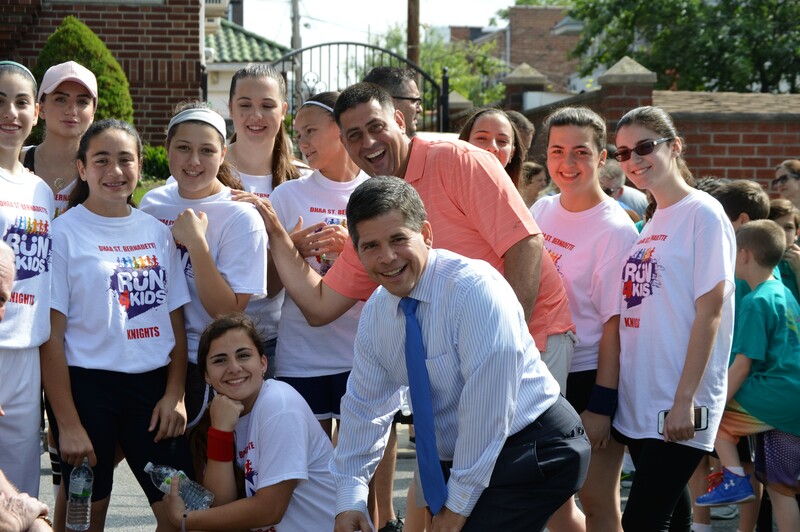 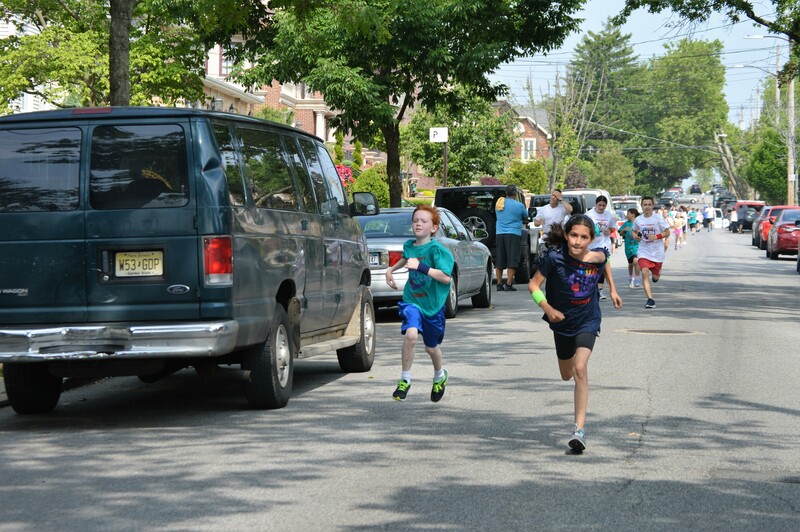 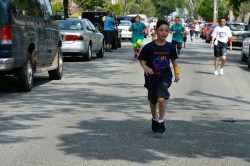 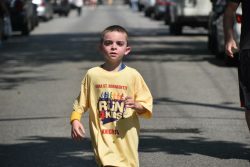 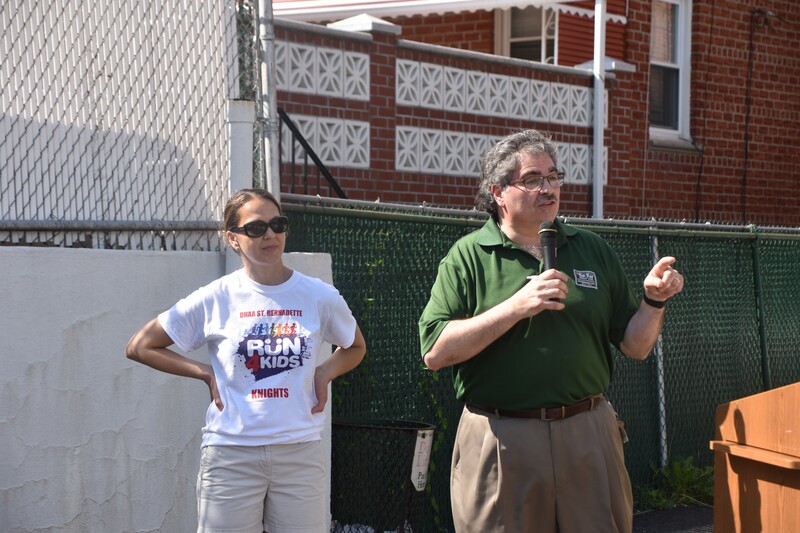 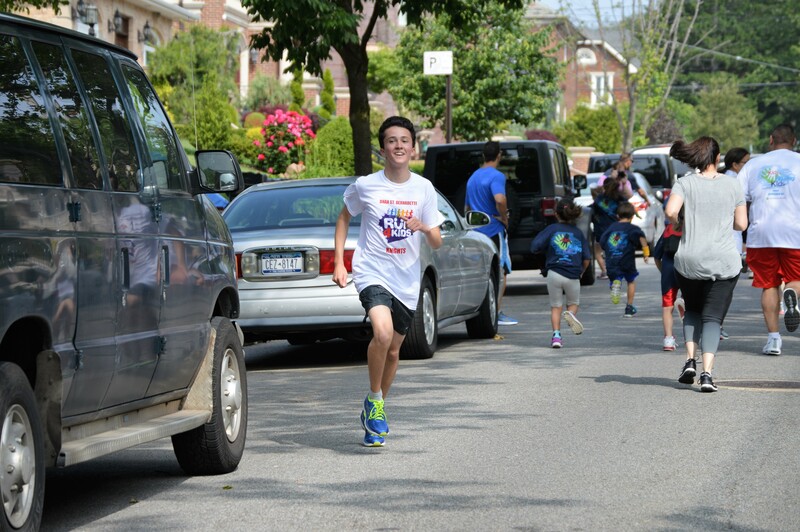 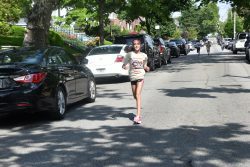 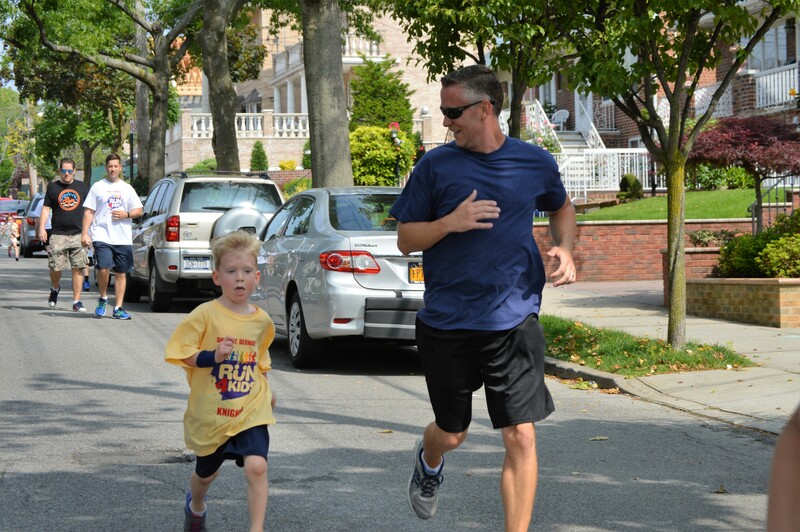 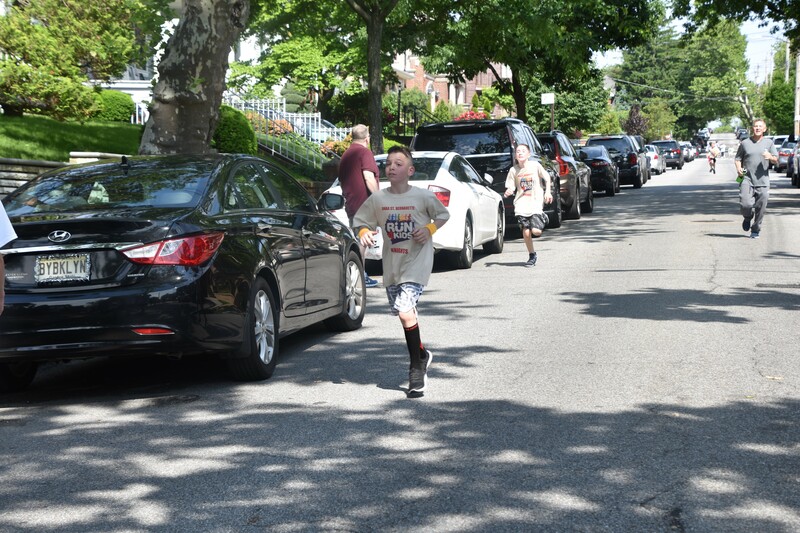 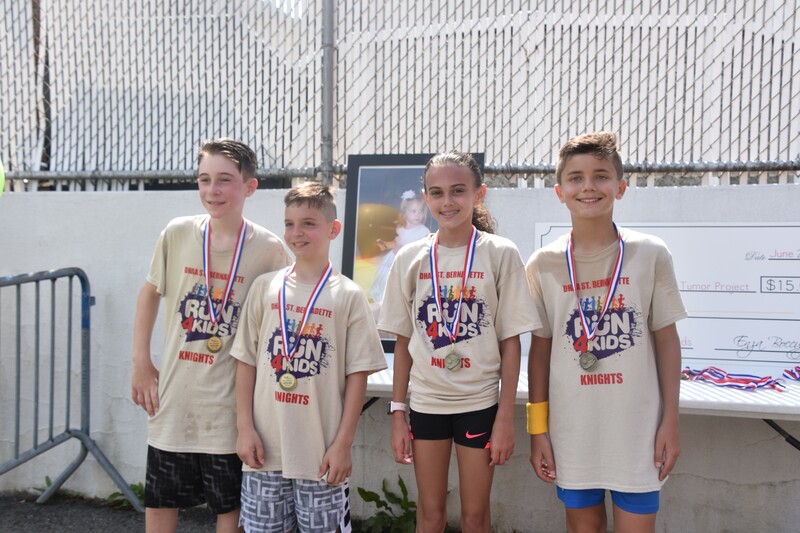 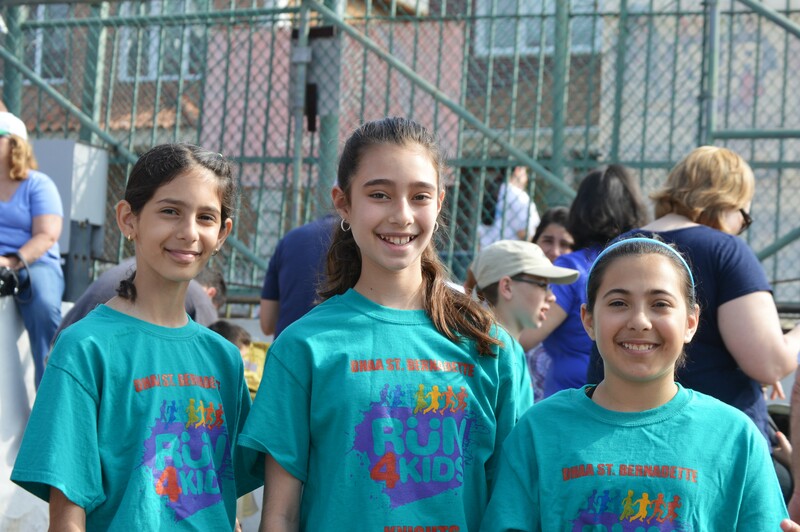 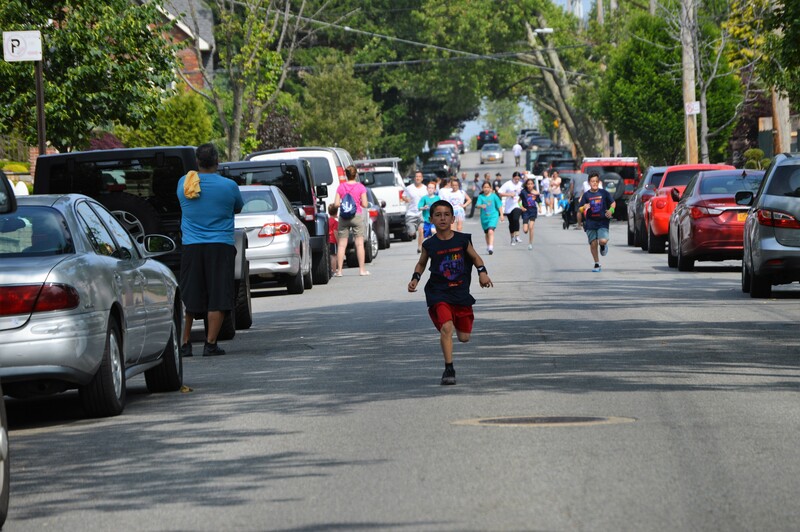 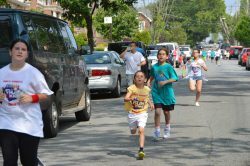 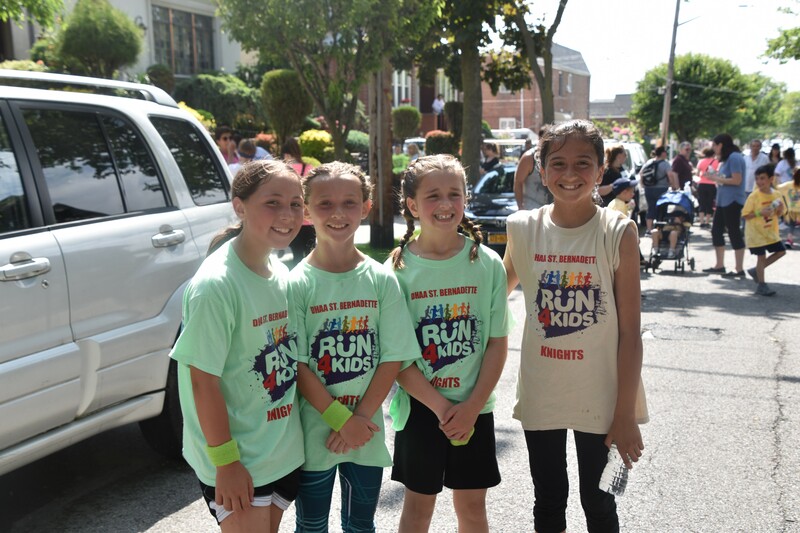 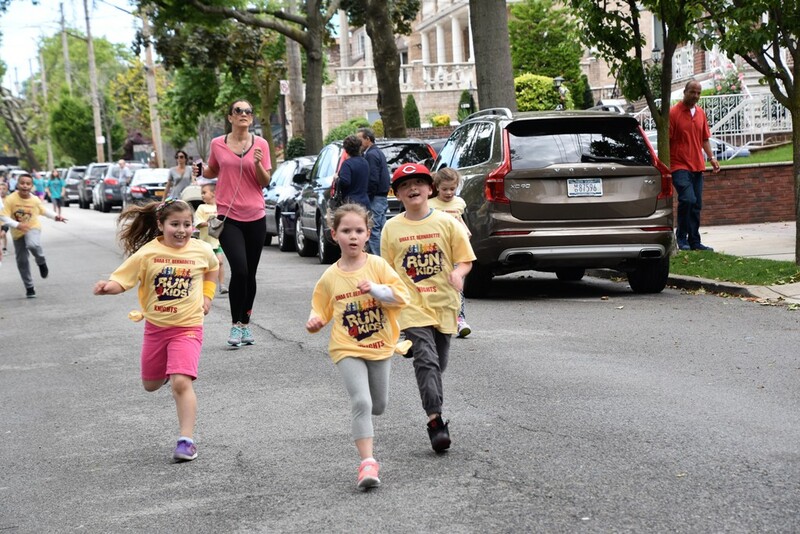 The Dyker Heights Athletic Association and St. Bernadette parish hosted the 11th annual children’s runners’ two mile marathon on Saturday June 2th. The event raised over $ 16,000.00. 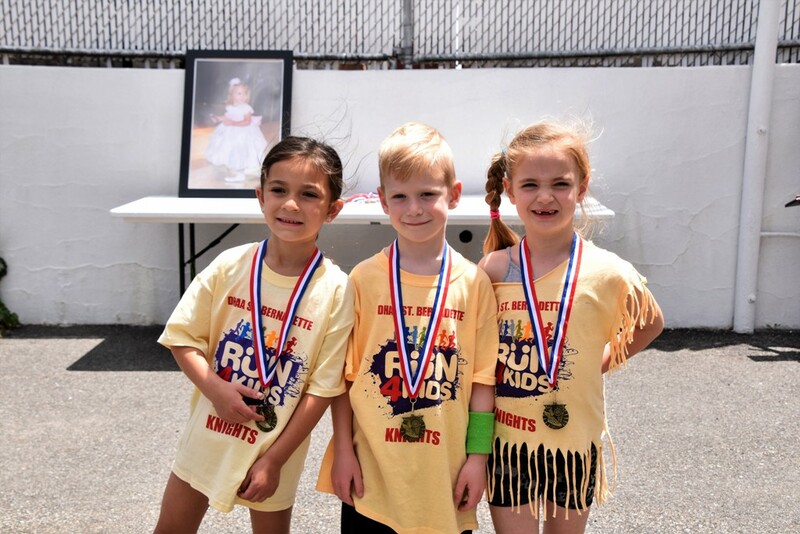 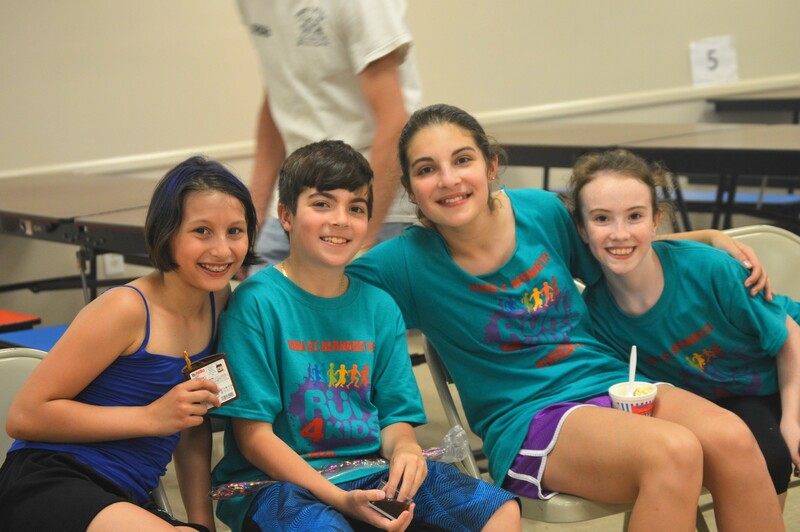 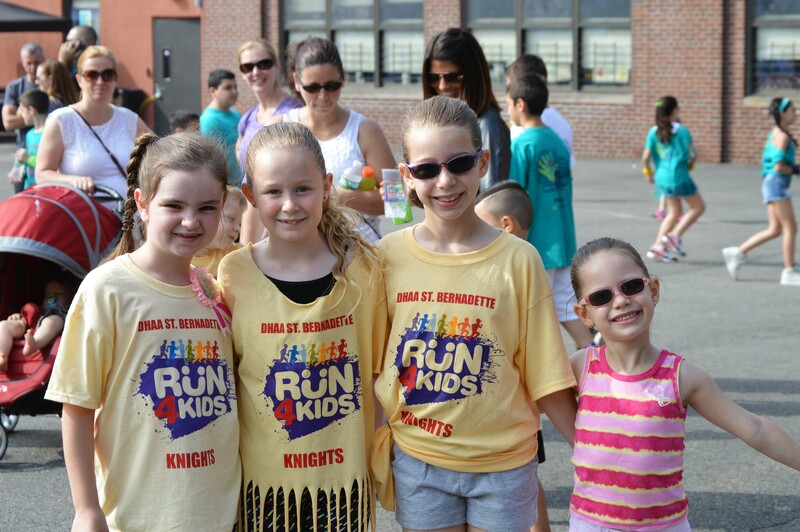 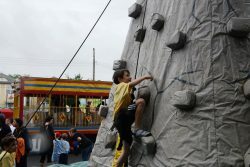 Over 220 kids pledged money to run in our Run 4 Kids III Marathon. 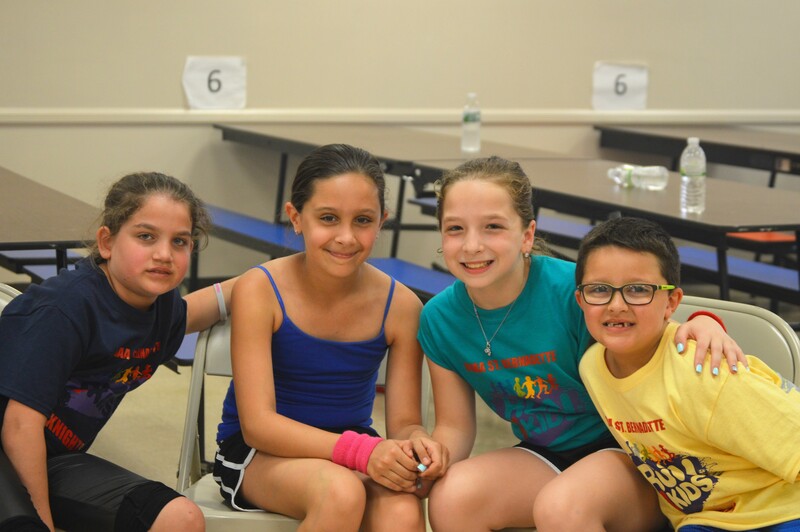 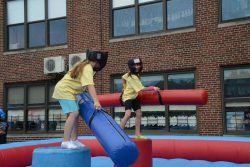 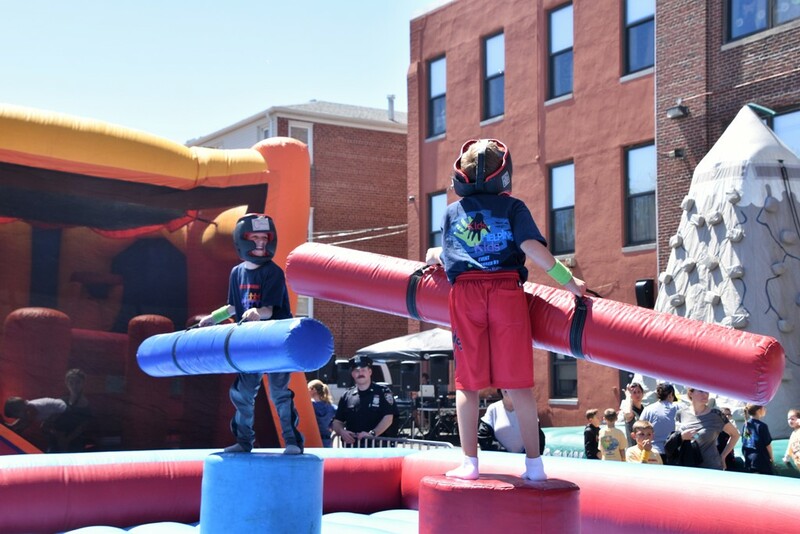 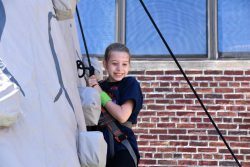 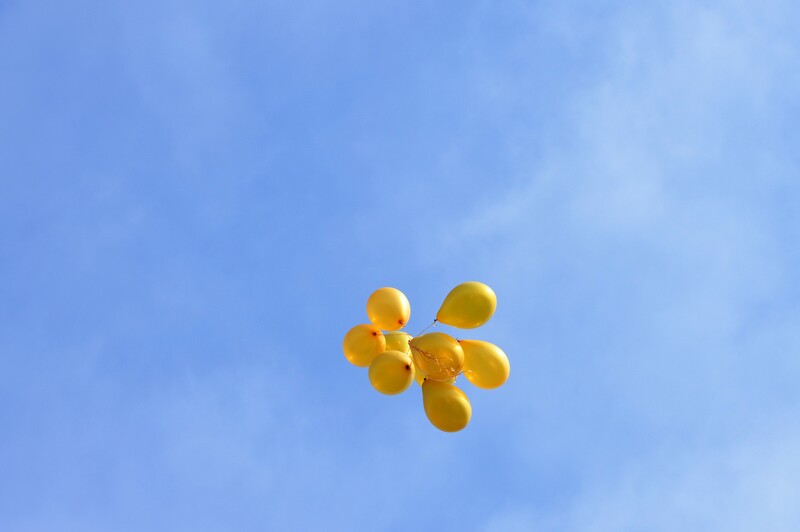 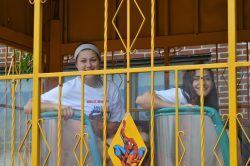 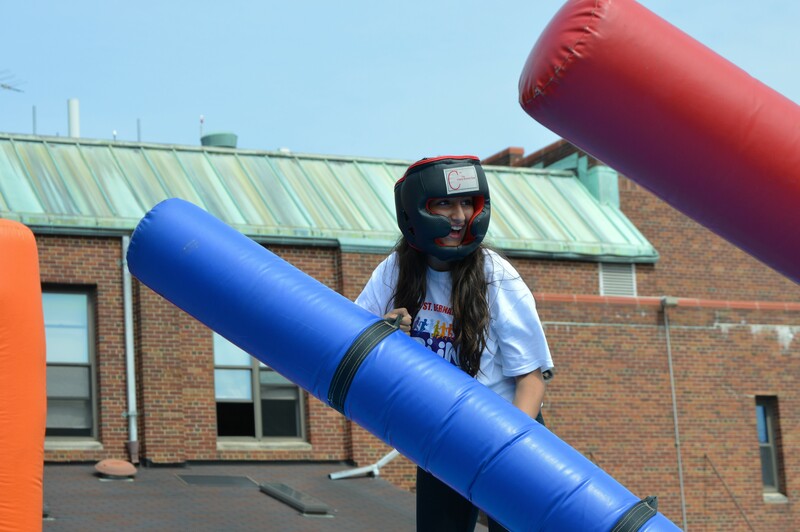 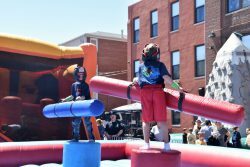 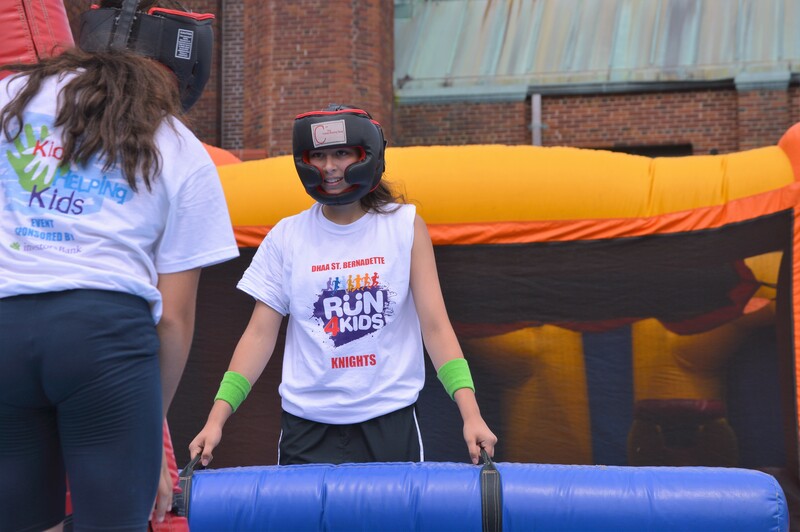 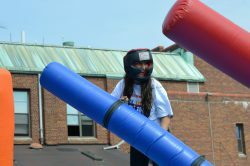 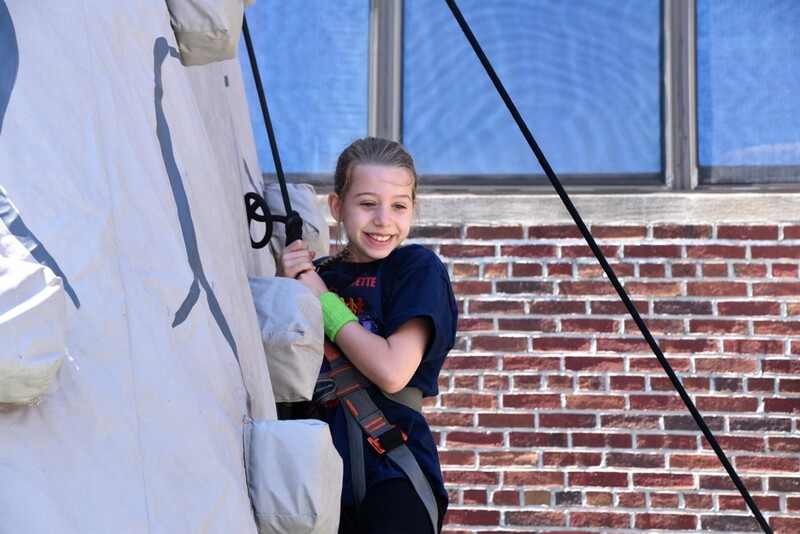 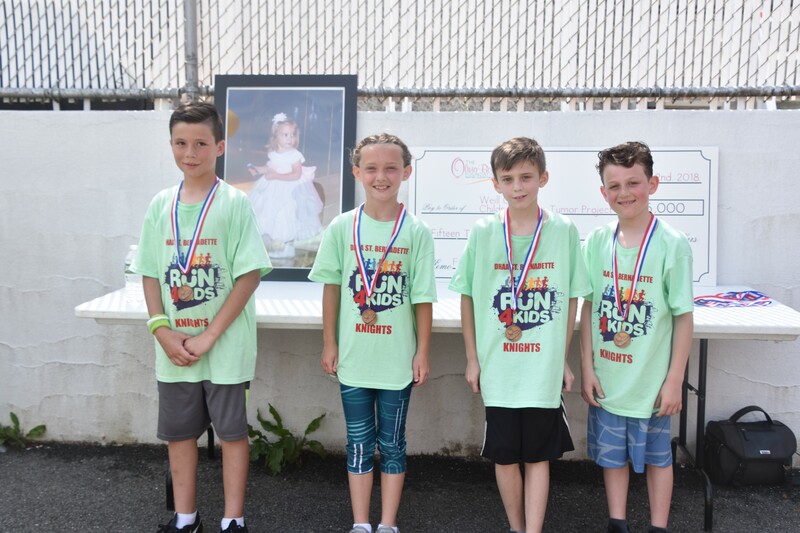 The kids were asked to obtain pledges to run and the funds raised benefited Julia Bruzzese, St. Judes Children’s Hospital and the Olivia Boccuzzi Foundation. 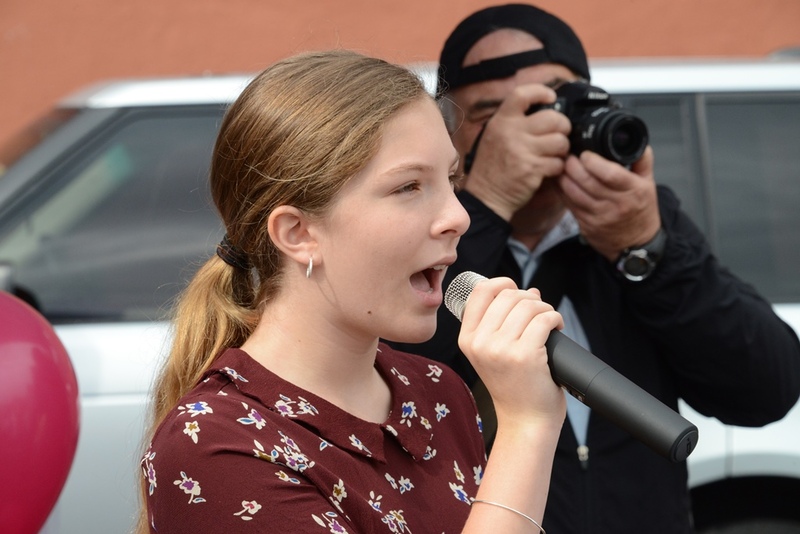 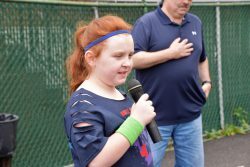 Samantha Sullivan and Emma Berardelli sang the National Anthem and God Bless America. 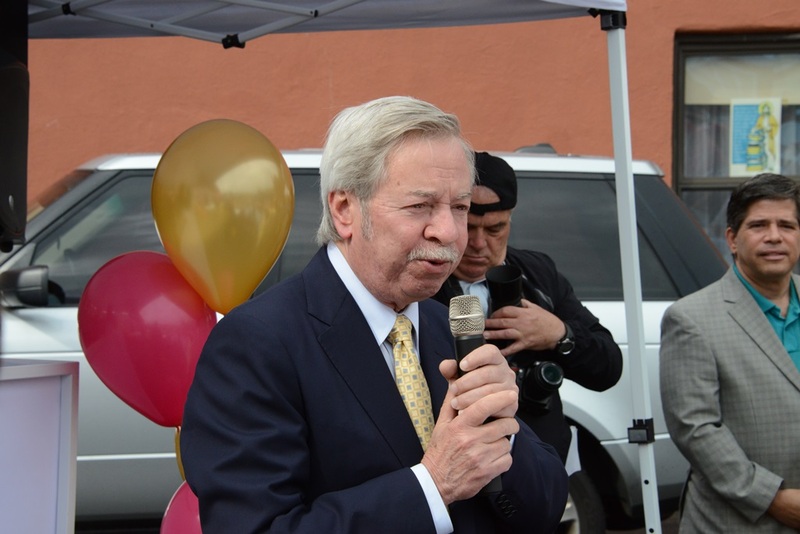 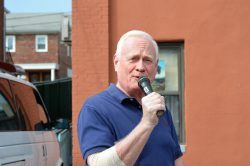 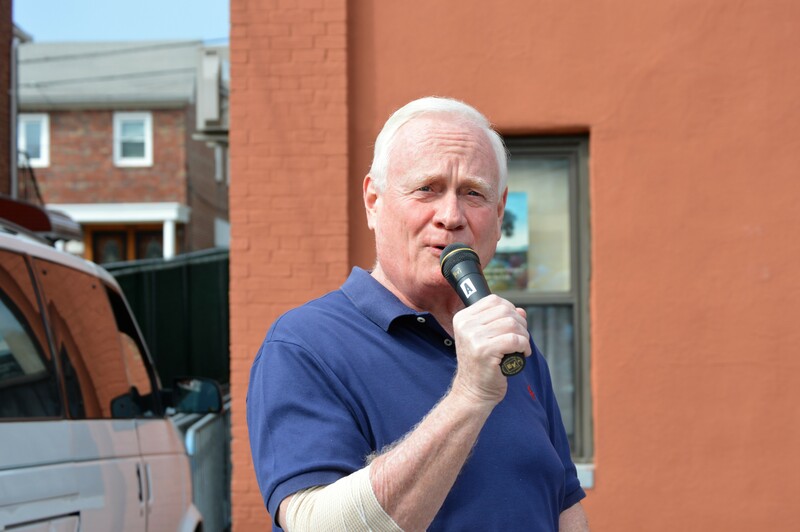 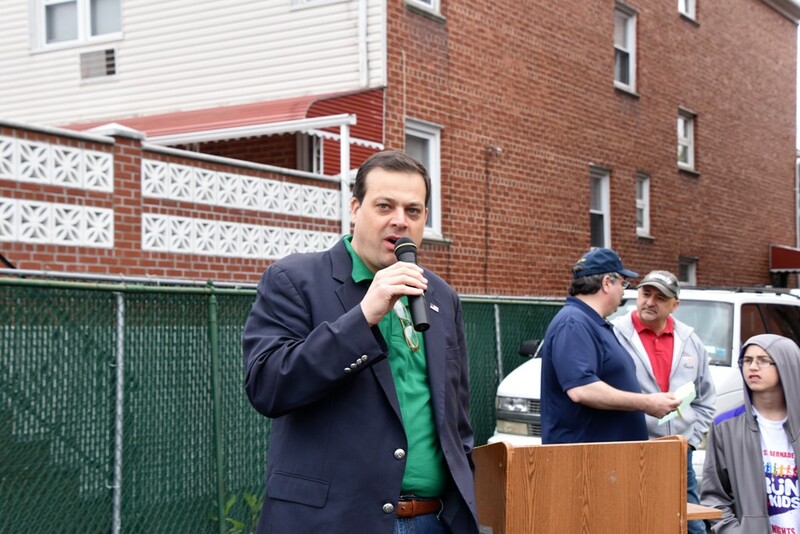 Councilman Justin Brennan , Assemblyman Peter Abbate, Senator Marty Golden were all present to show our kids how important this event was and how wonderful a cause they served. 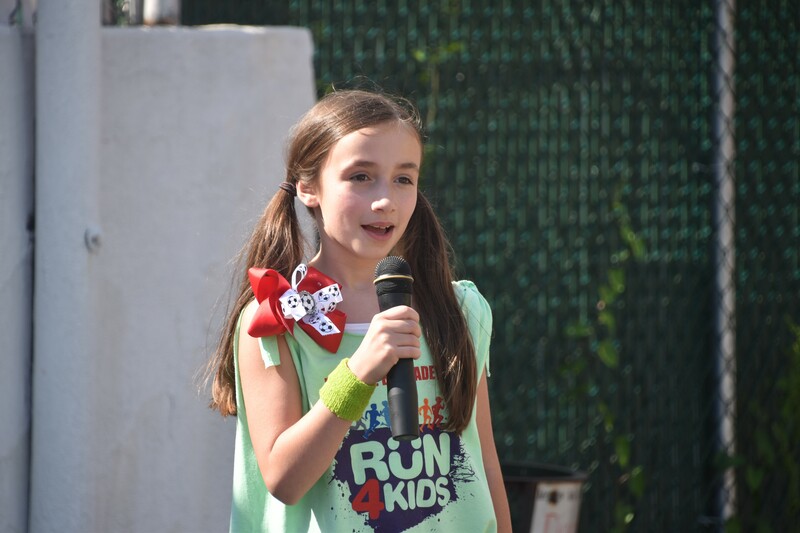 Each gave brief speeches thanking the children for their wonderful community service. 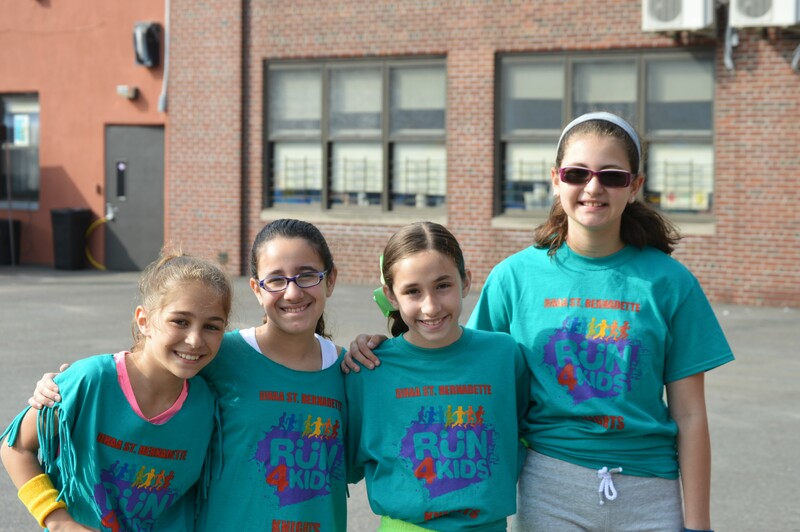 They praised our runners for the sacrifice that they were making to help others in need. 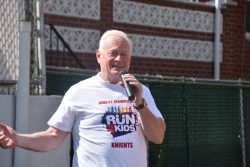 Joe Girgenti (our former President) also gave a very touching speech about how the Knights organization constantly promotes community service for our sports association. 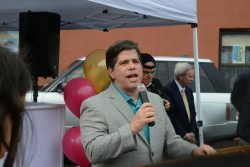 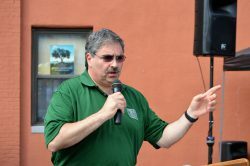 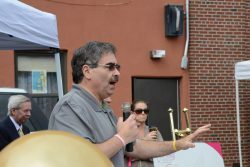 Joe Girgenti went on to define what a community is and how it relates to this event. He explained that the St. Bernadette School, St. Bernadette church, our community children, the Olivia Boccuzzi foundation and the Knights all came together in a common location for a common cause with a common theme. 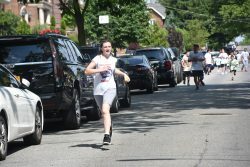 The race was from 82nd street and 13th avenue down 12th avenue to 71th street and back to 82nd street. 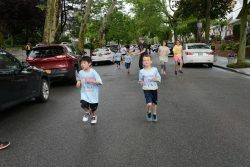 The kids ran according to the grades. 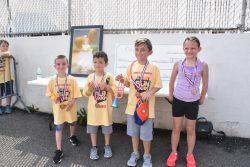 Trophies were awarded to the winners in each group. 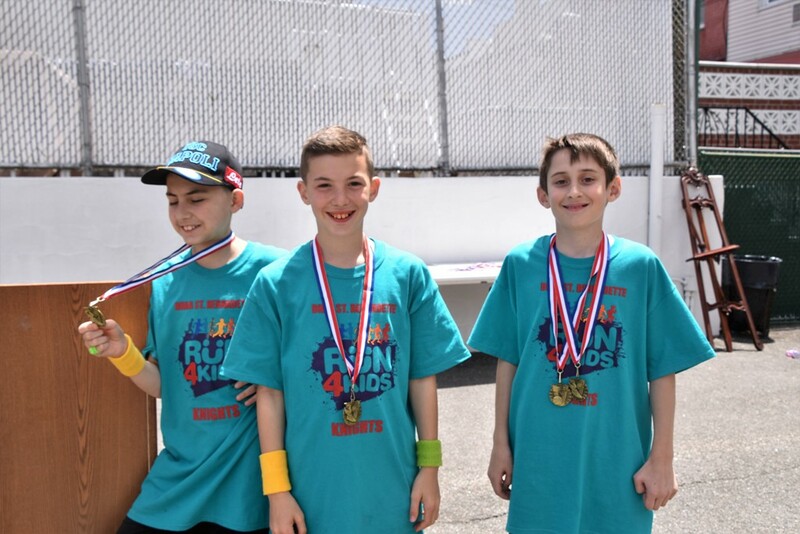 There were many raffles for sports memorabilia donated by many of the New York sports teams for the event. HSBC on 13th Avenue donated 300 bottles of water. Party Pets and JPZ Entertainment were on hand to entertain the kids. 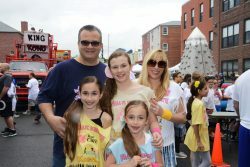 Glitzy Chicks led by Lisa Cannata also donated the proceeds she raised during the post marathon festivities. The Knights organization wants to thank all those who helped with this wonderful event. 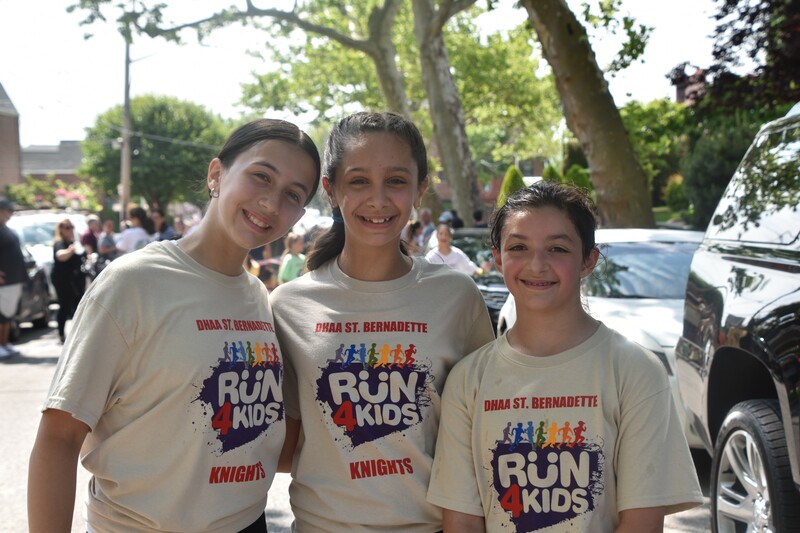 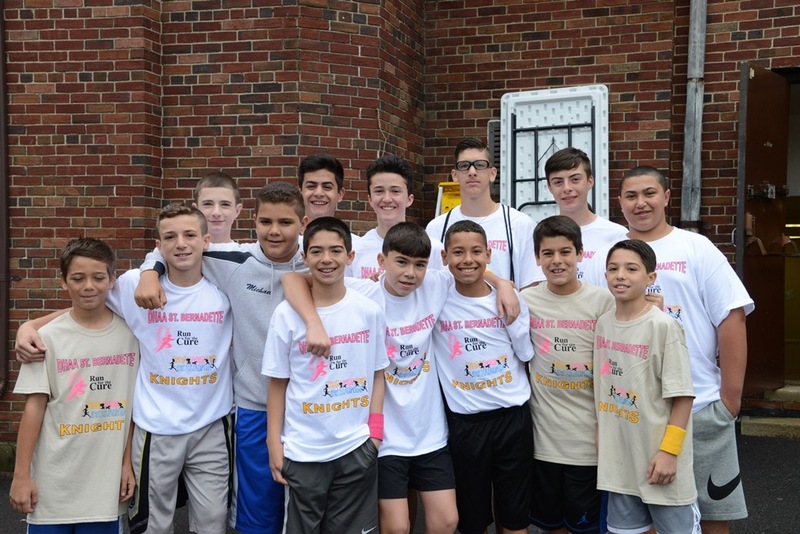 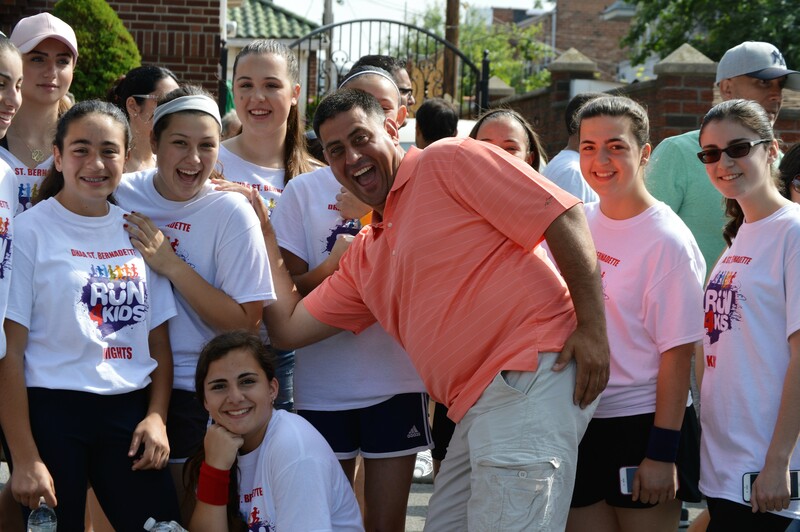 We would of course like to thank Monsignor Caserta for always supporting\promoting our marathons and always making sure that the Parish supports all the Knights programs. 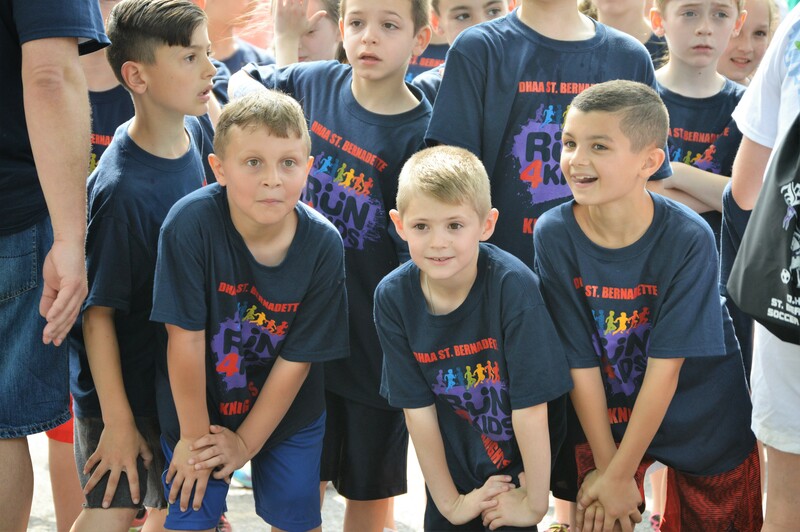 We would like to thank Sister Joan DiRienzo for all her support and assistance with helping us reach 350 kids participating plus helping us raise more funds by hosting free dress down for St. Bernadette kids that raised over $ 80.00 for the marathon. 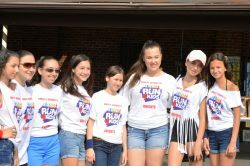 We want to give special thanks to our Marathon committee consisting of: Enza Boccuzzi, Janine Parrelli, Daniela Iacobucci, Barbara Cona, Paulina Deangelis, Denise Berardelli, Elaine Safran, Vin Chirico, John Longardo, and Peter McCarthy for their hard work and dedication to our marathon this year. We want to thank Investor Bank for sponsoring the marathon by providing all the T-shirts We also would like to give special thanks to the Verrazano Rotary Charitable Foundation and John Manning for their $ 3,000.00 donation and the donation of all hamburgers, hot dogs and water. 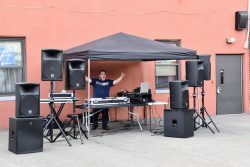 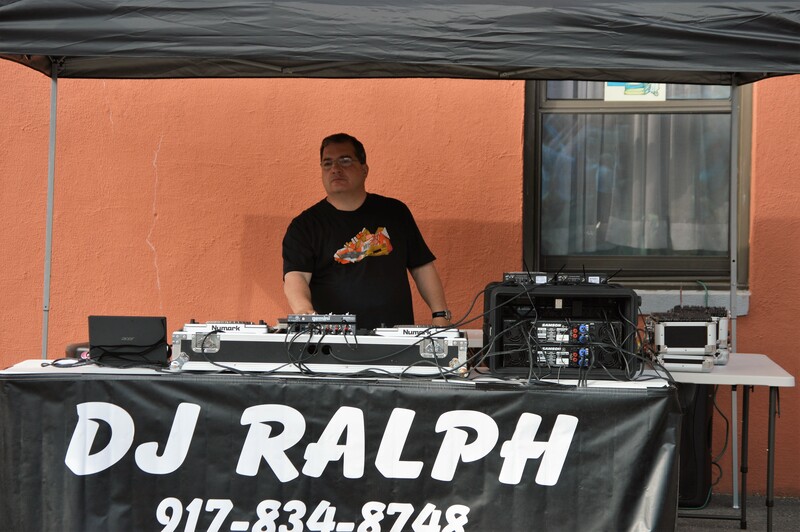 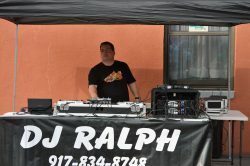 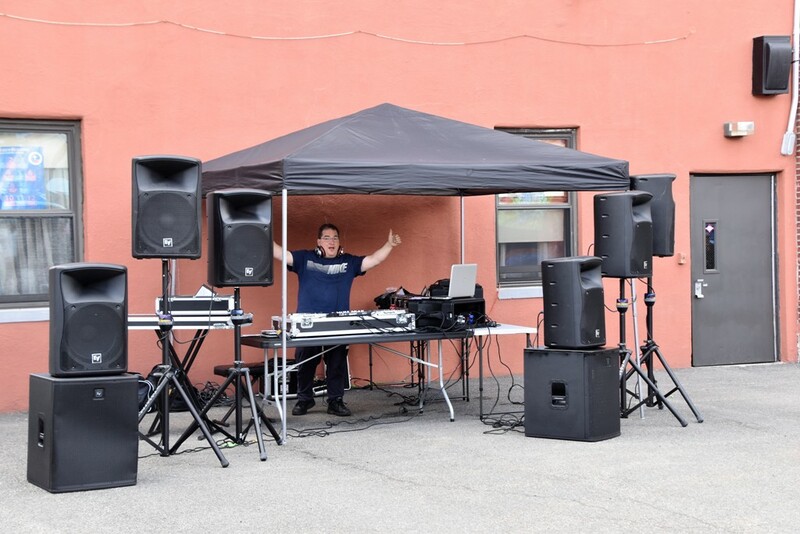 We would like to thank Ralph Danna for being the DJ for our event. 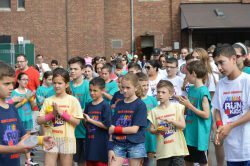 We would like to thank I.S 201 staff and PTA, P.S 204 staff and PTA, P.S/I.S 229 staff and PTA, P.S 748 for all their fundraising efforts that helped increase our donations to Julia, Guiseppe and Olivia Bocuzzi Foundation. We would like to thank Mr. Bonomolo for his donation of many many apples for our event. 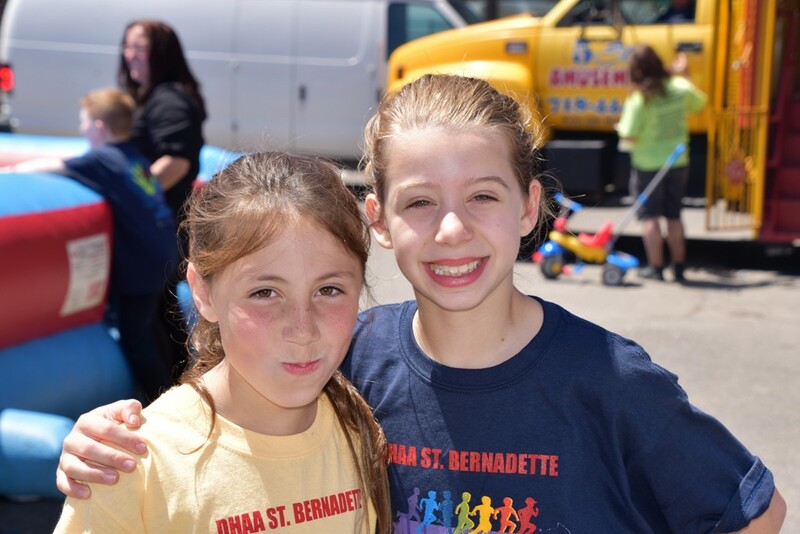 We would like to thank Denise and Gennaro Berardelli for their donation of all food court items. We would like to thank Peter Catanzaro for getting Frito Lay to donate 100’s of cookies, Chips, and other snacks for our children. 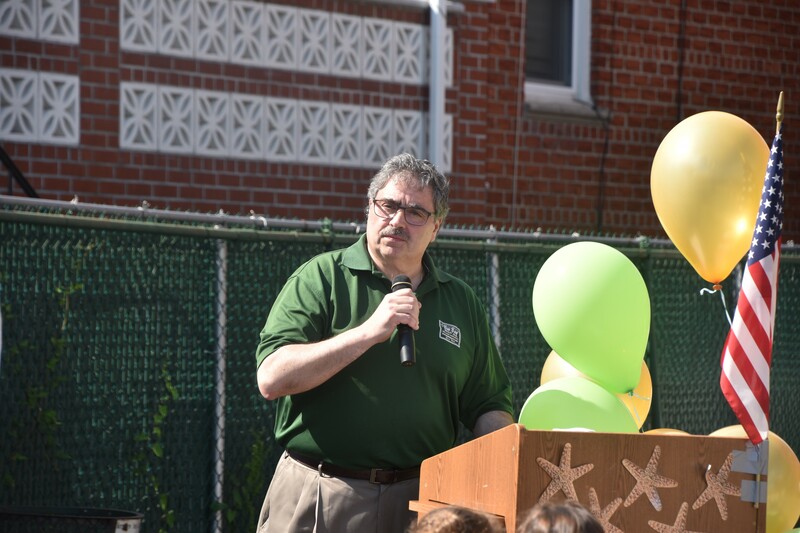 We would like to thank Louis and Daniela Iacobucci for their constant generous support of all community events (ours and many others) and also Pedulla Tile and Landscaping by Amorosi. We would like to thank Anthony Scarpaci for his donation of bananas, apples and other fruits. 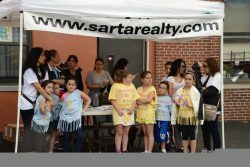 We would like to thank Thrifty Beverages for donating over 30 cases of soda and water. 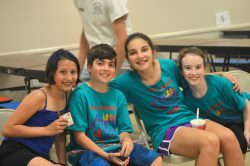 We would like to thank UTZ for their donation of 600 bags of chips. 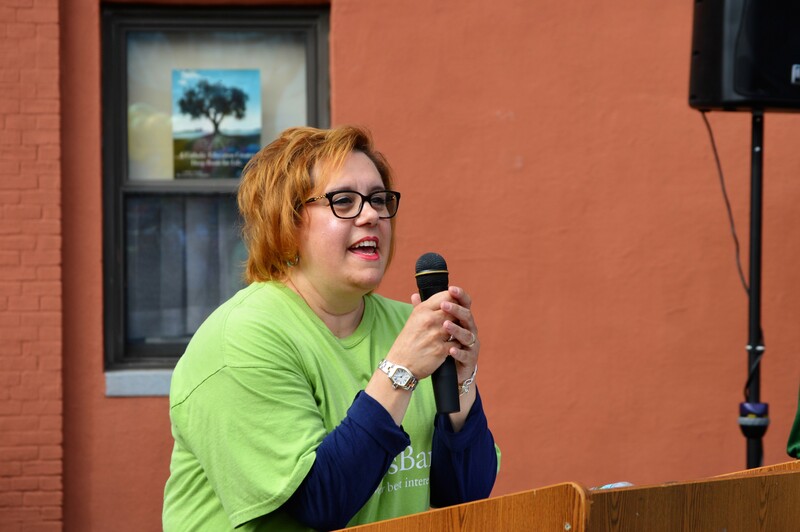 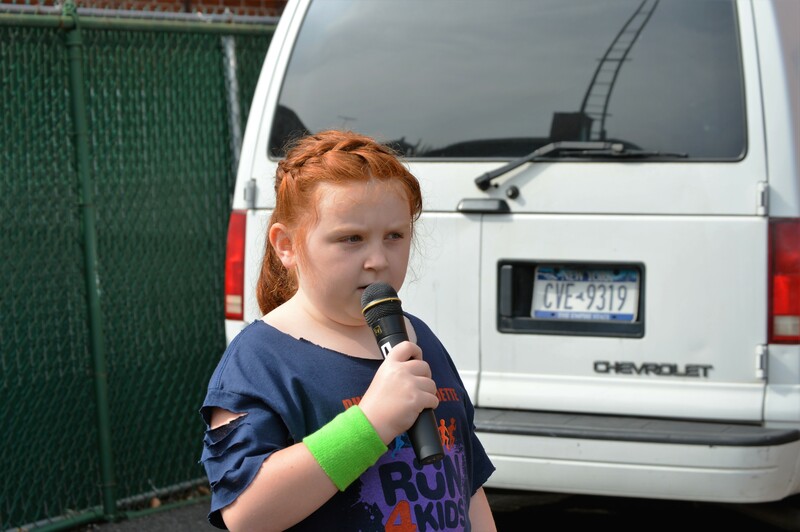 We would like to thank Carrie Pittman for getting News 12 as our media sponsor and for their coverage of our event and the reporting of the event that night on the news. 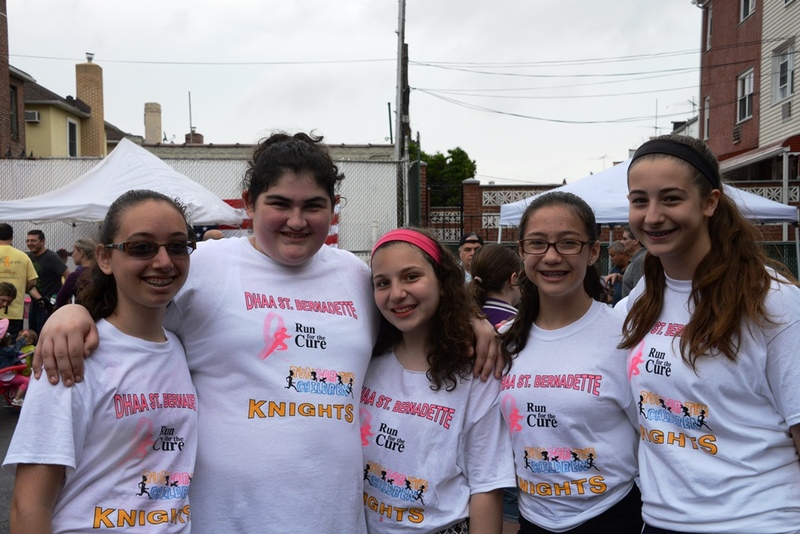 We would like to thank Dana Ioviero for being our nurse on call. 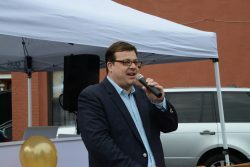 We would like to thank Joe Girgenti for his wonderful speech and all his introductions. 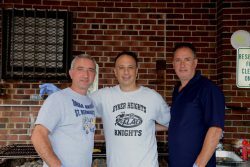 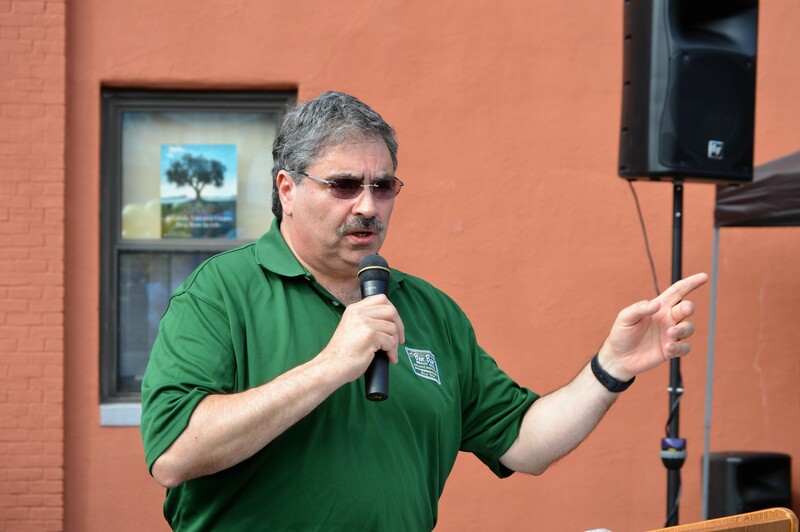 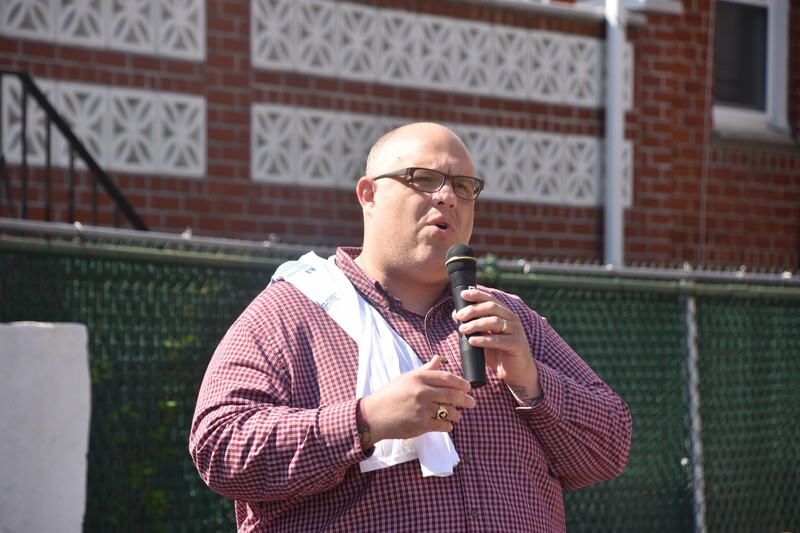 We would like to thank Mike Repole, Bob Tarallo, Richard Napolitano, John Longardo, and the many others that helped run the basketball hoop it up competition. 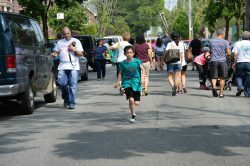 We would like to thank Kevin Hunter for making sure that the street closing permit was filed on time for us. 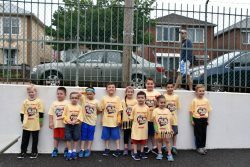 Mike Baglivo, Santo Galbo, Bob Tarallo, Joe Castiglione, Vin Chirico, Joe Amatore, Dan Fogliano, Steve Hutra, Fred Cona, Richard Napolitano, John Longardo, Danny Demonte, Dave Sanducci, Santo Cimino and Mike Repole that met Friday night and Saturday morning to setup the school yard for the event and for cooking all day long and for all their help running all the activities for the entire day. 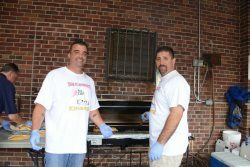 A Special thanks to our friend Dom Angilletta for allowing us to use his very large grill. 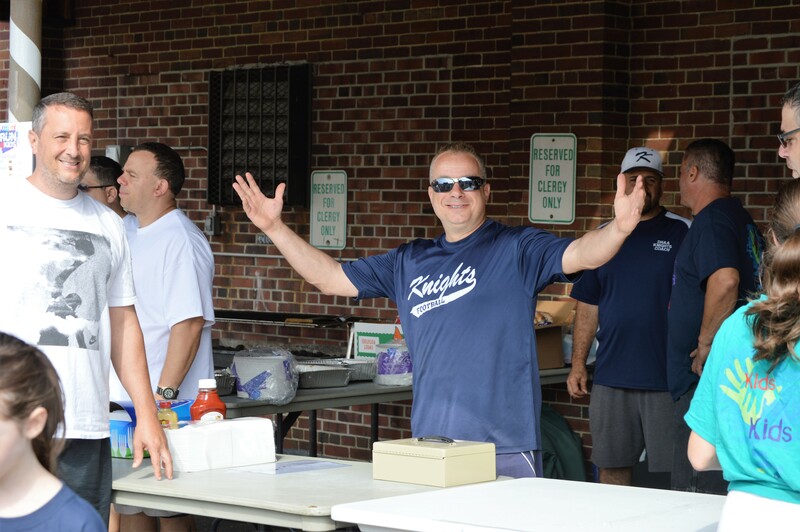 The Knights organization wants to thank all our following sponsors that donated to this wonderful event. 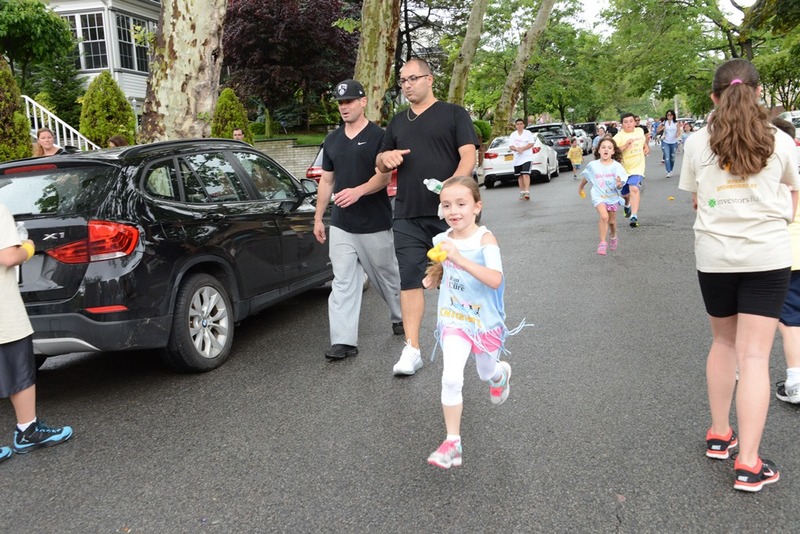 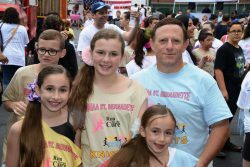 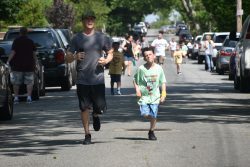 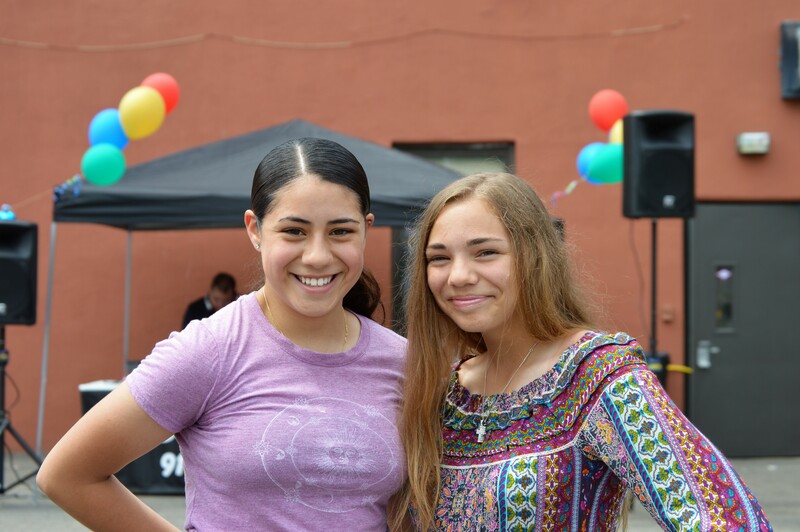 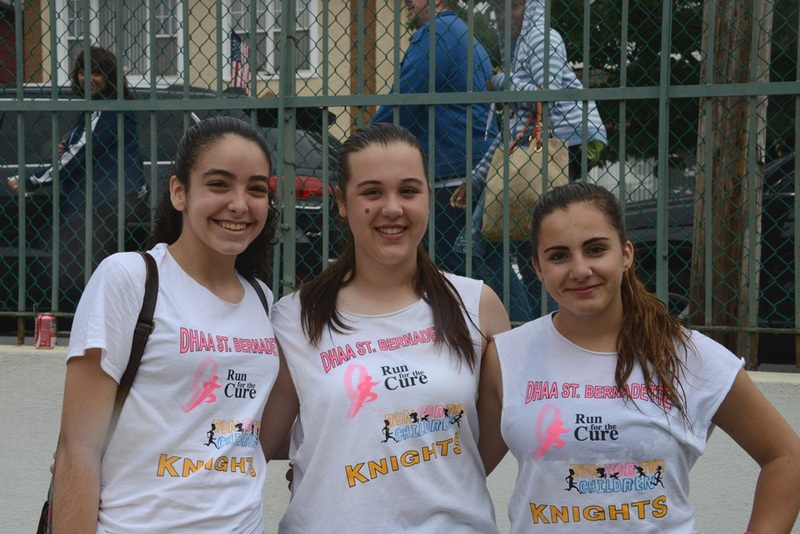 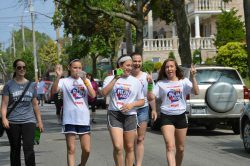 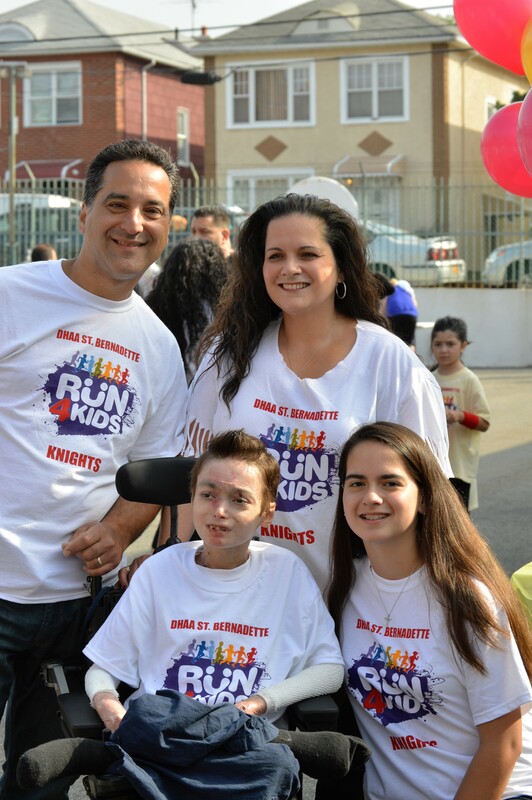 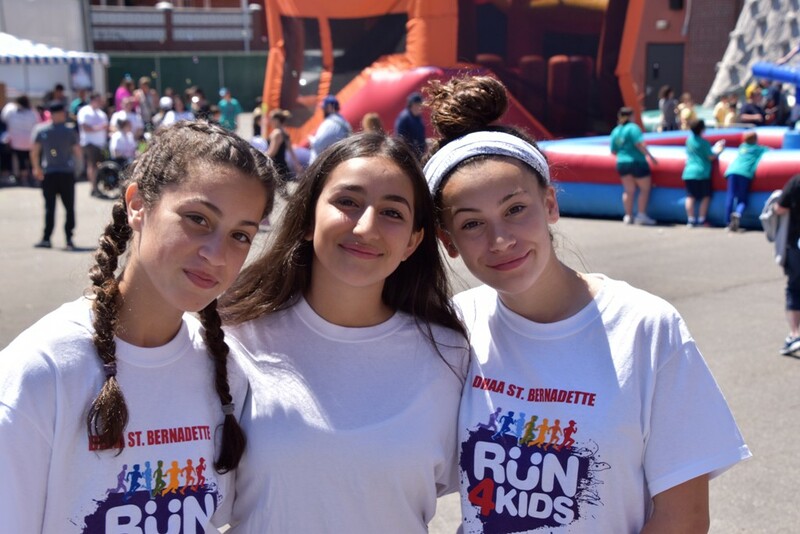 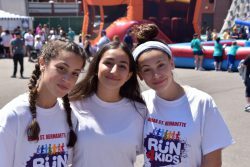 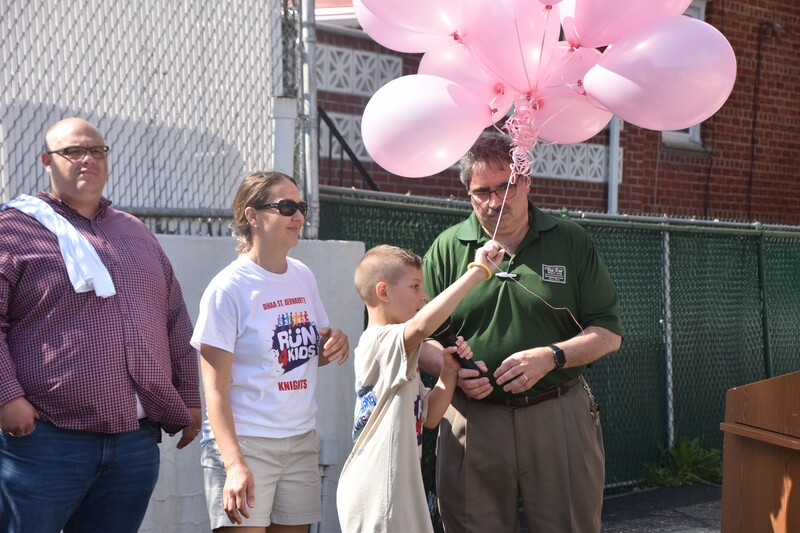 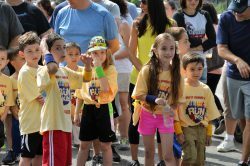 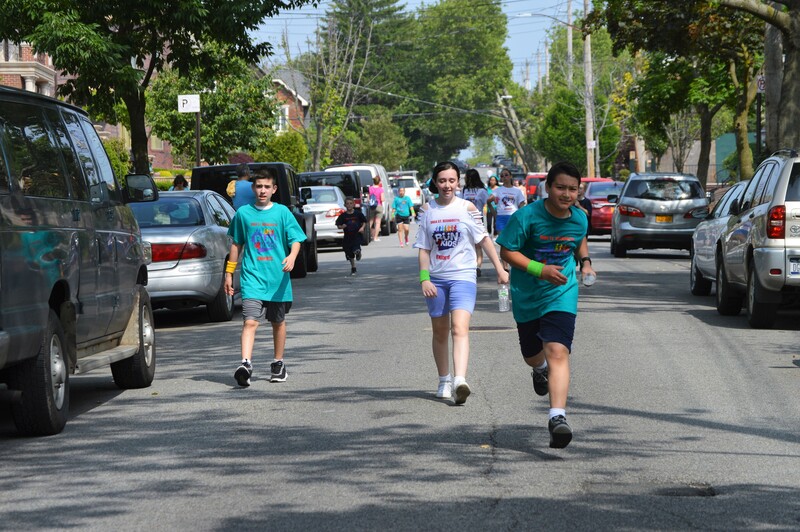 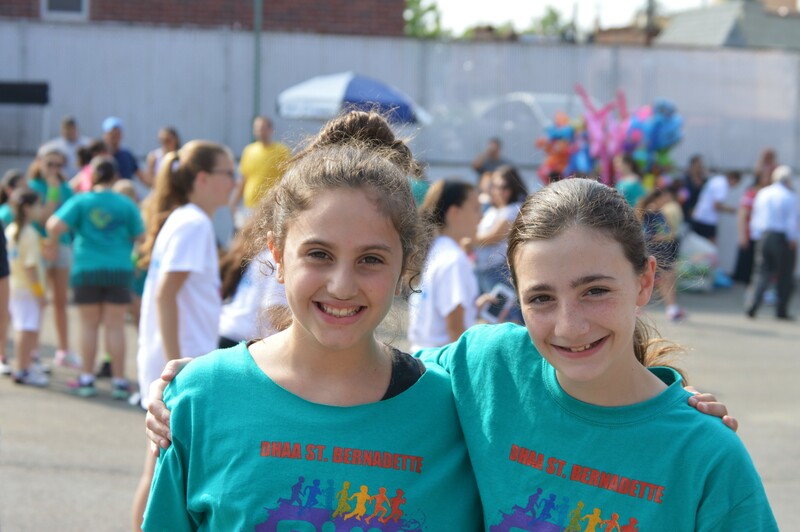 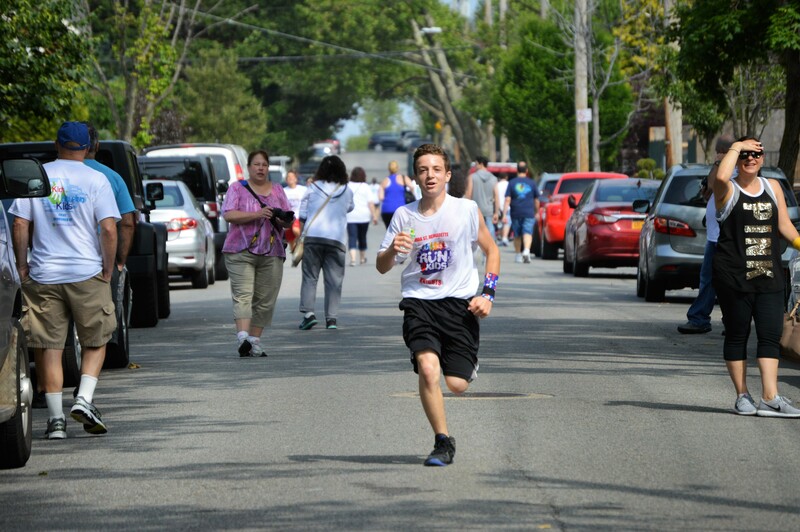 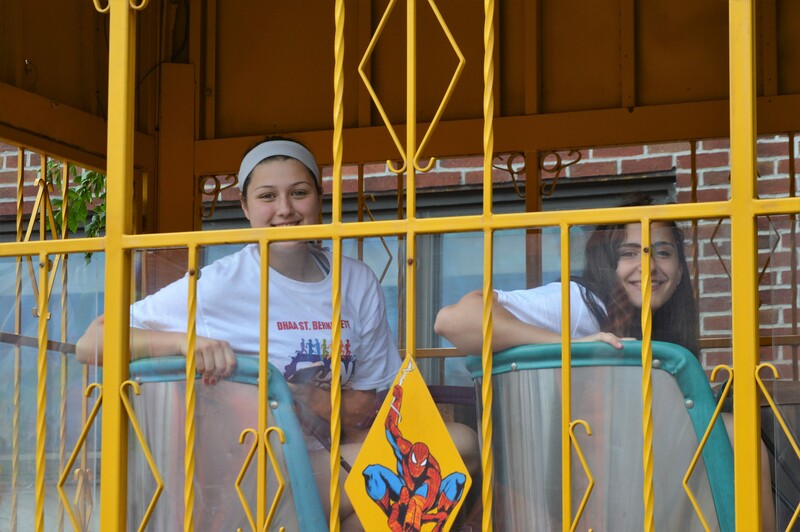 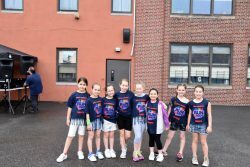 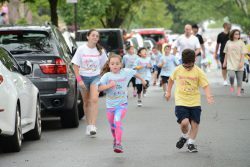 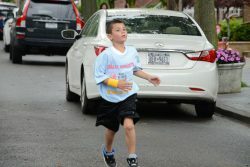 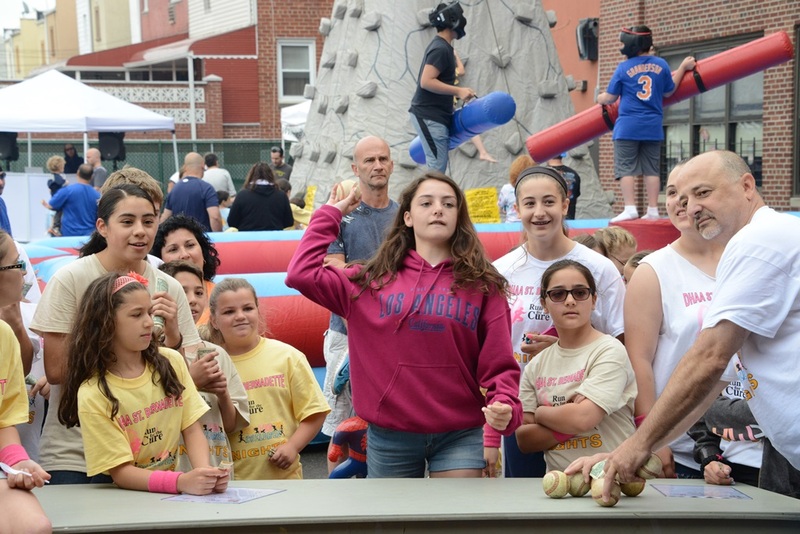 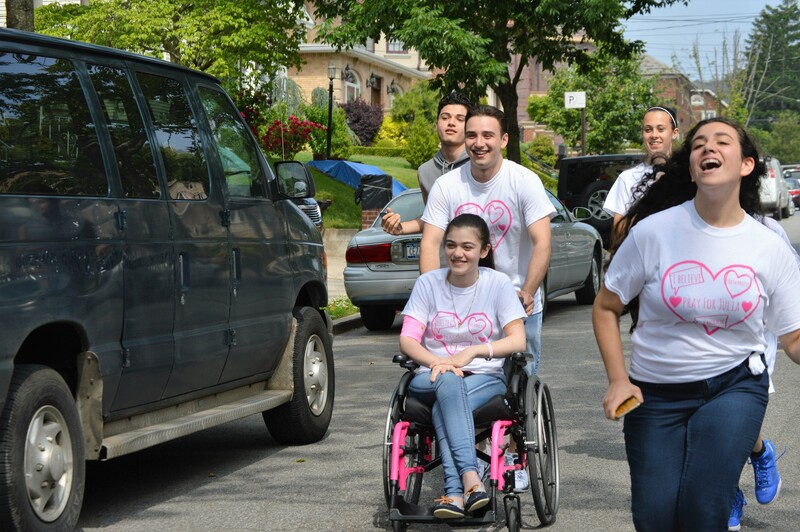 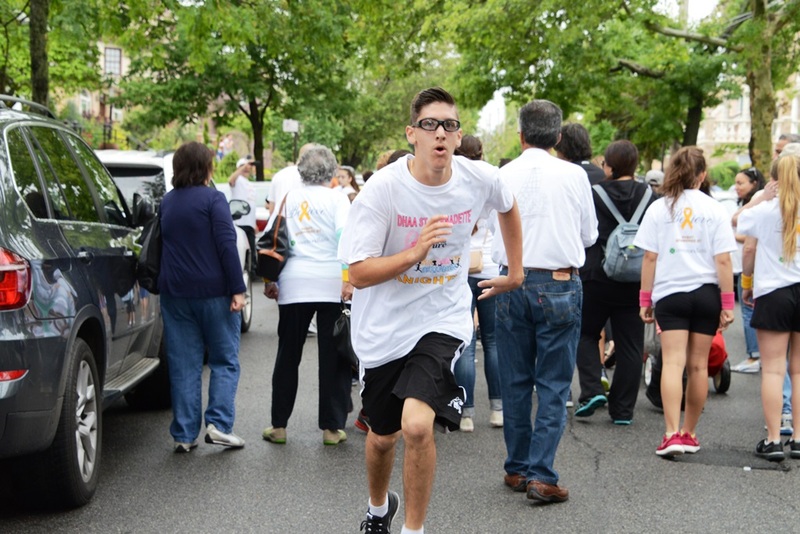 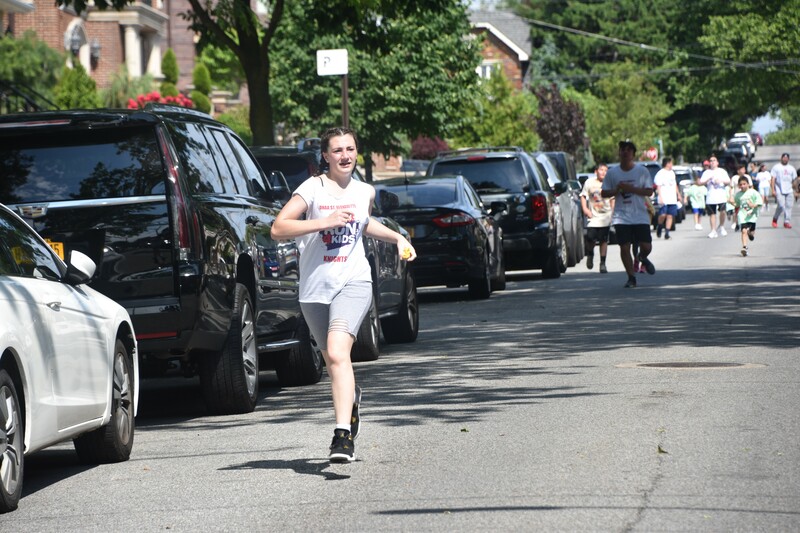 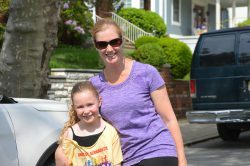 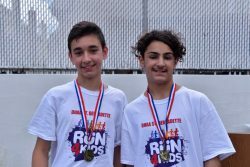 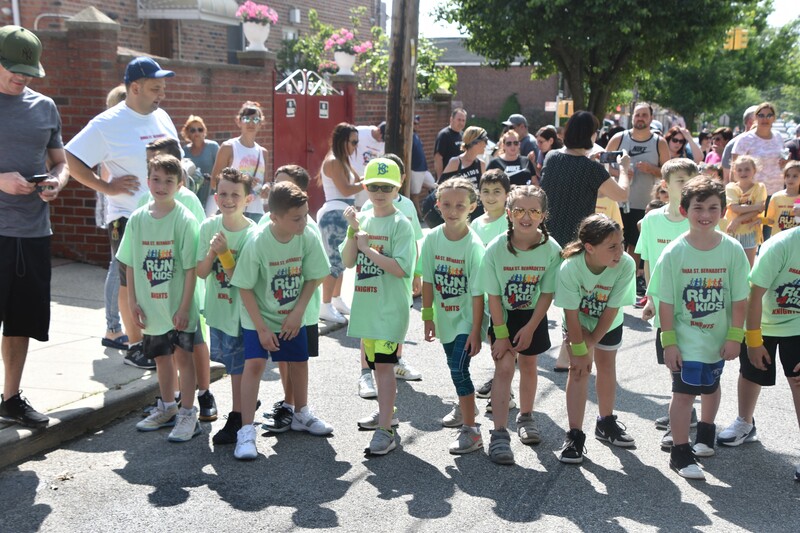 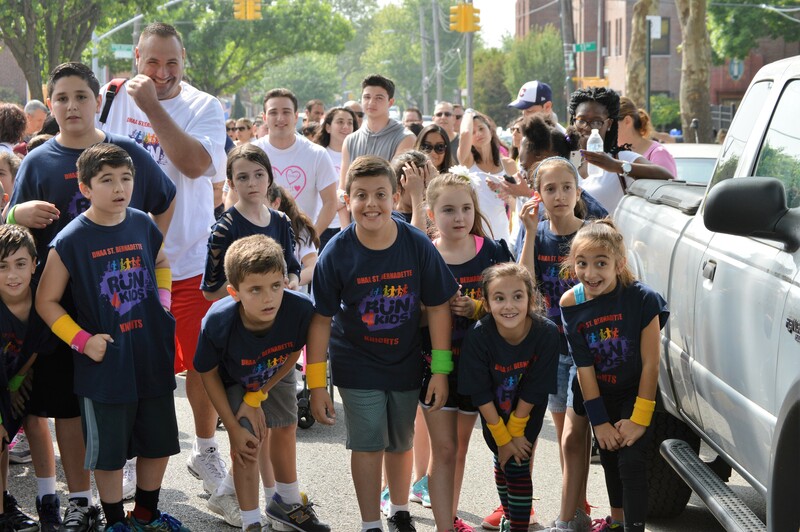 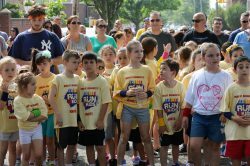 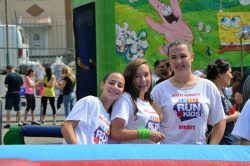 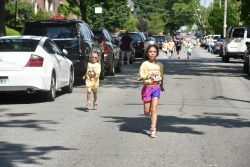 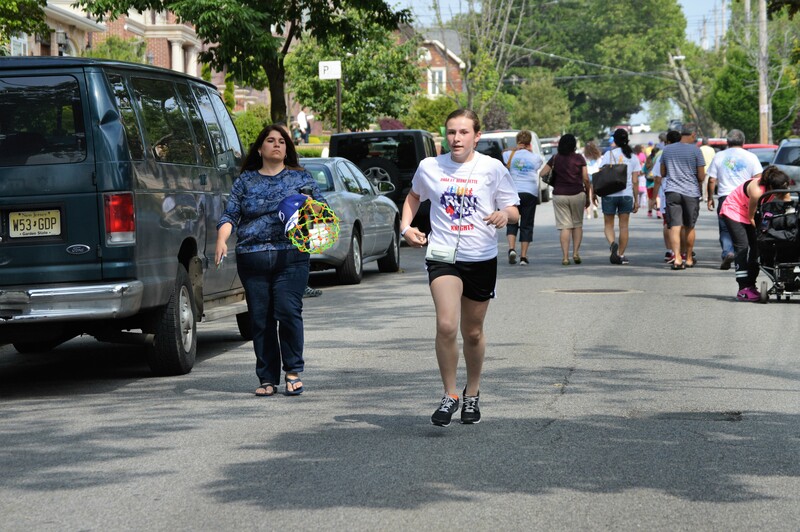 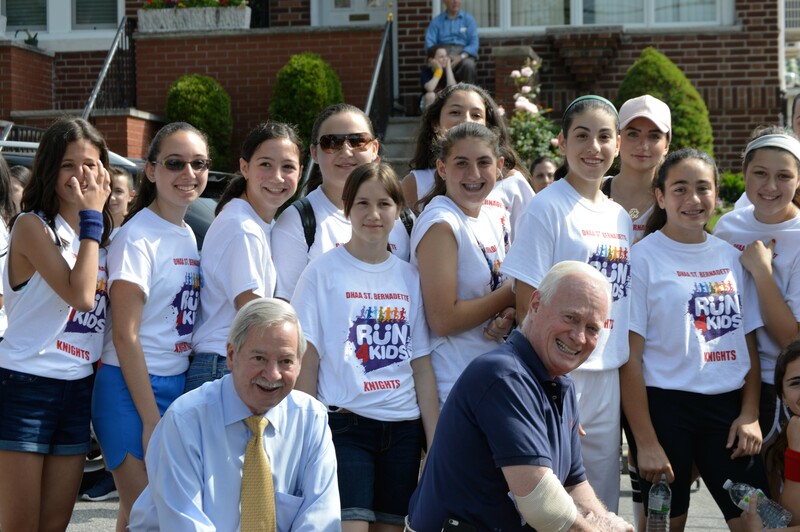 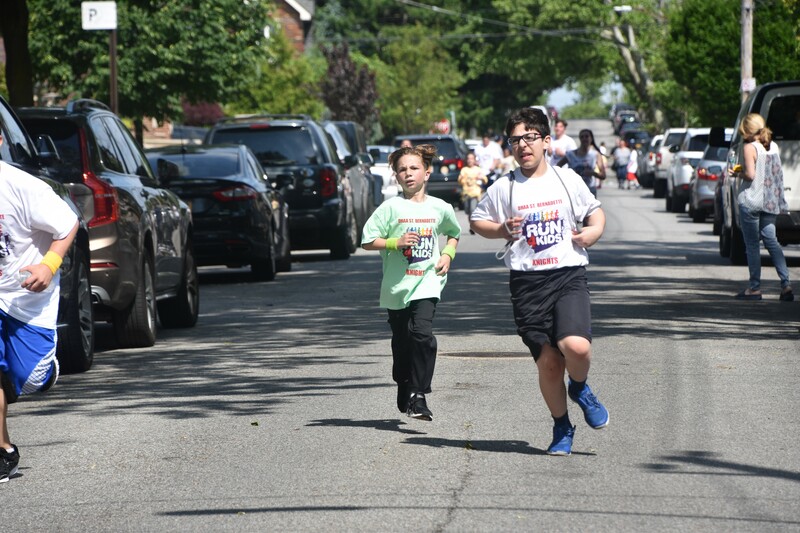 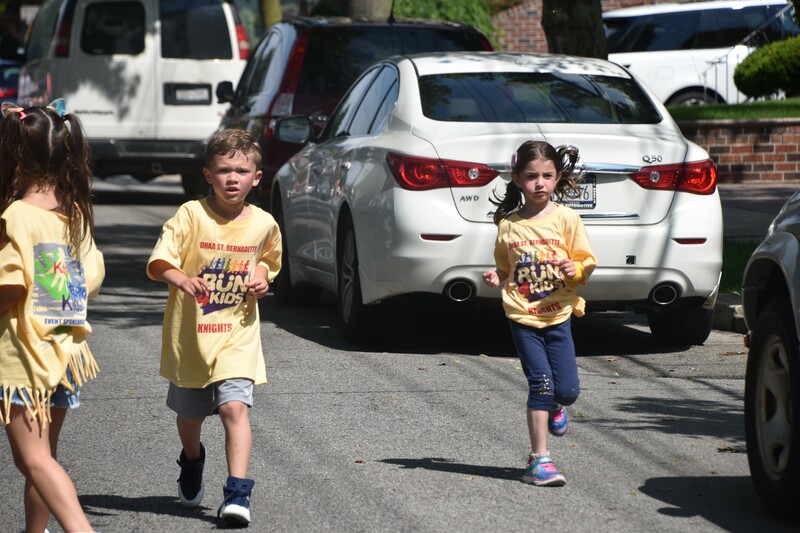 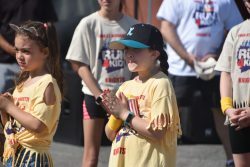 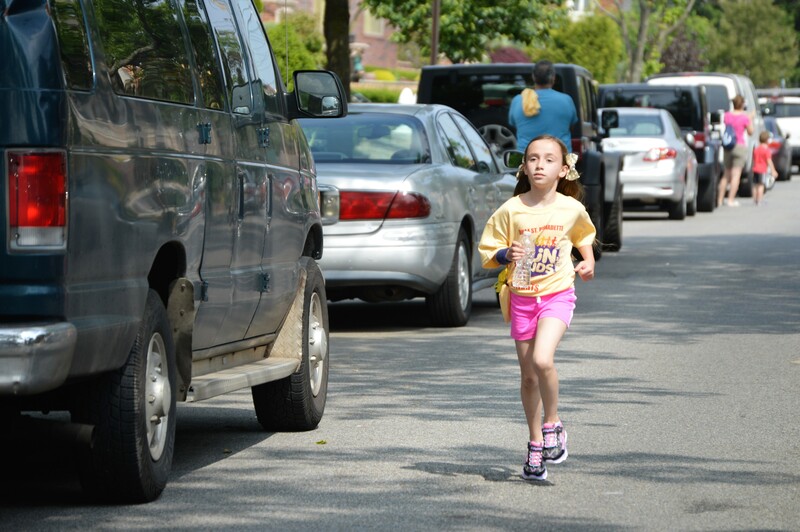 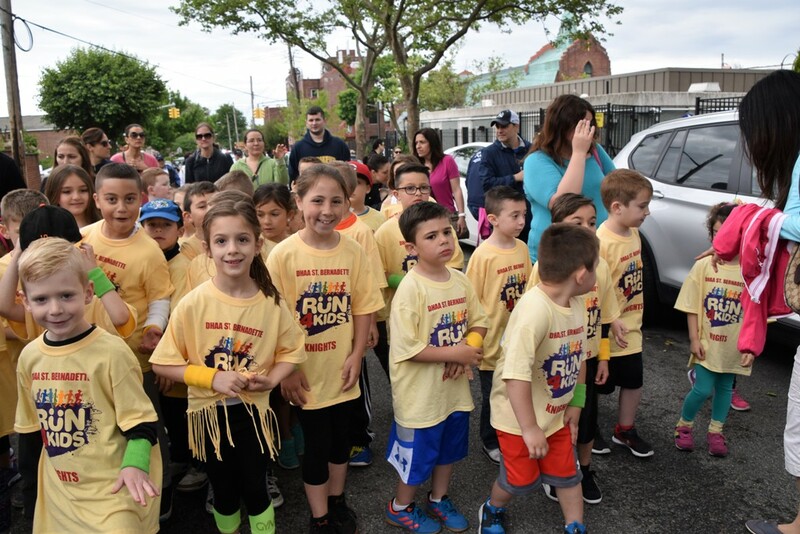 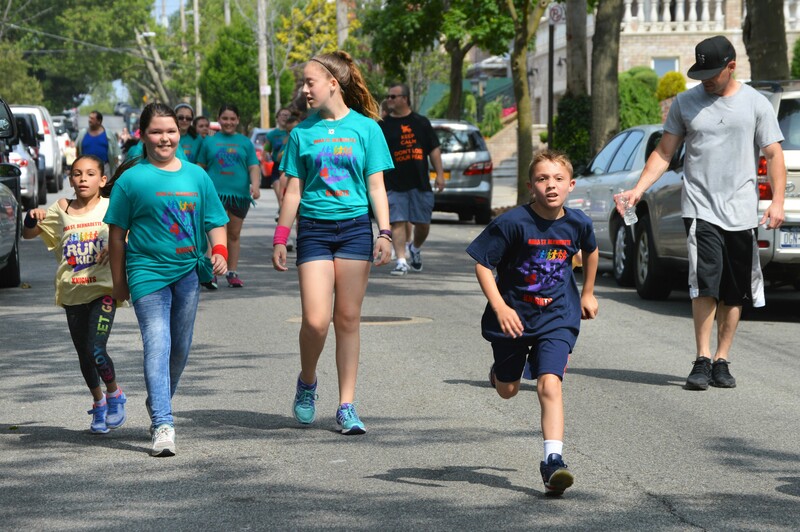 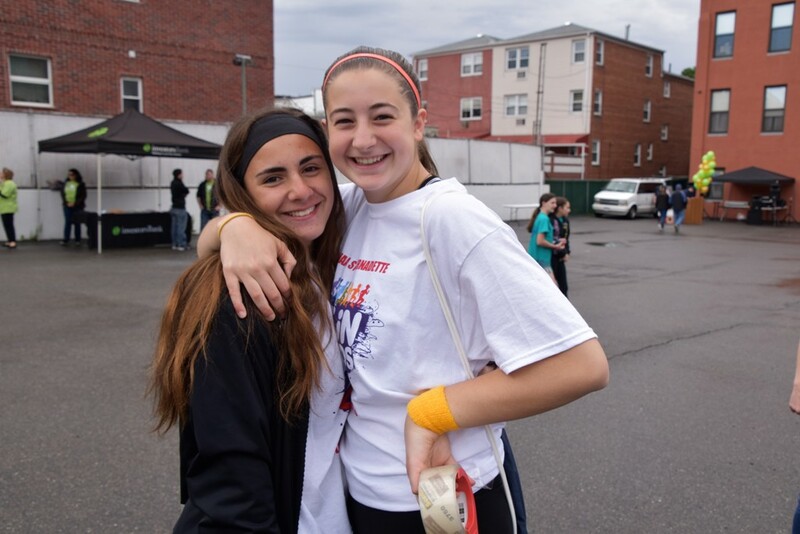 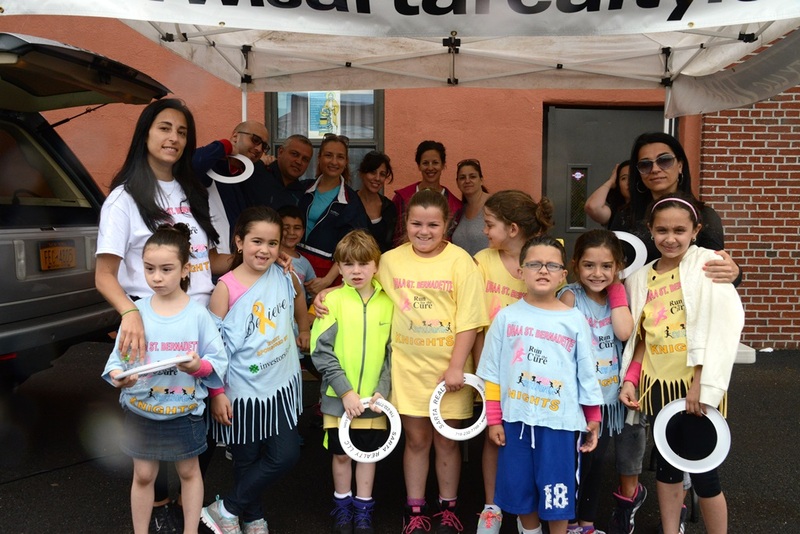 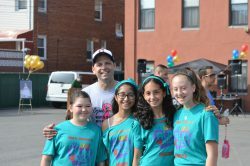 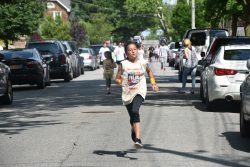 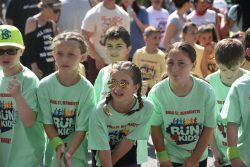 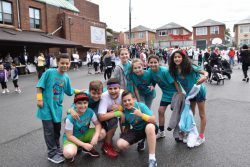 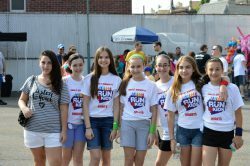 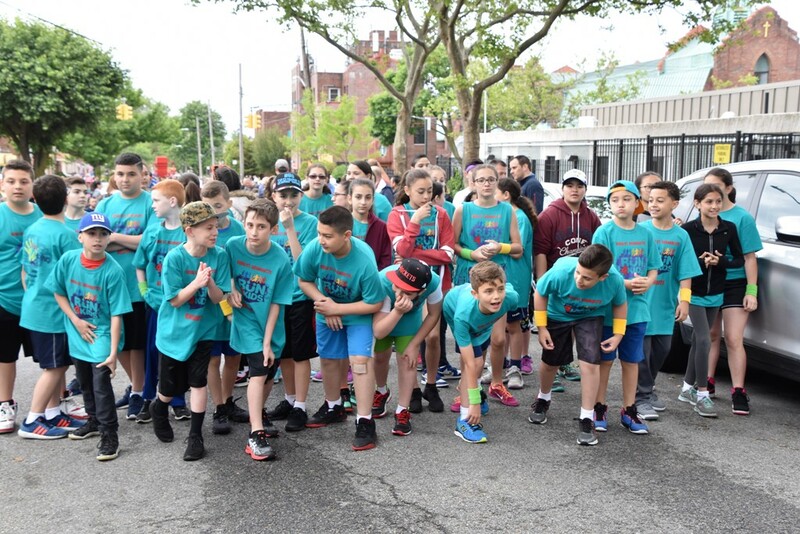 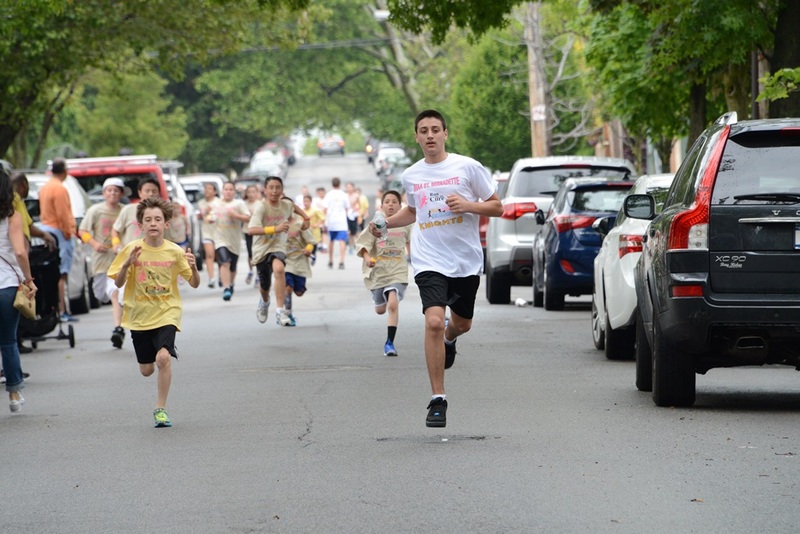 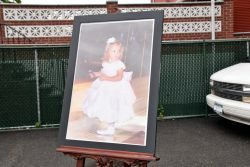 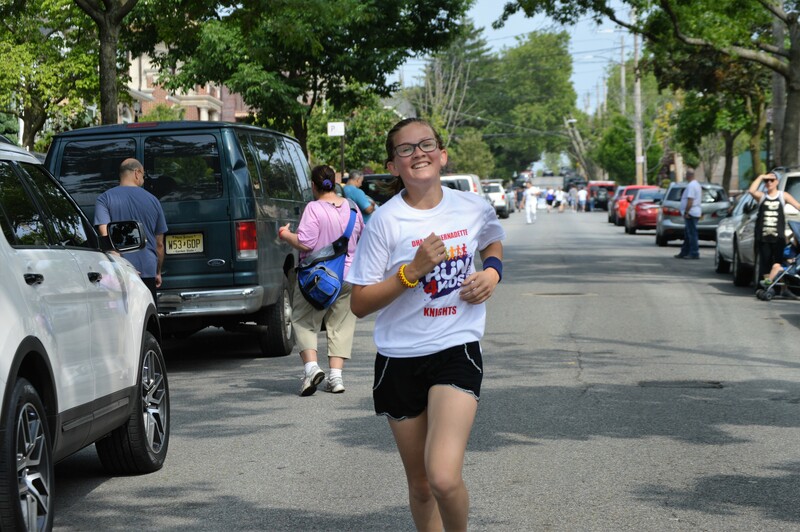 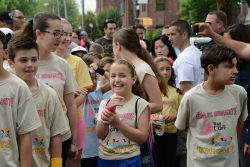 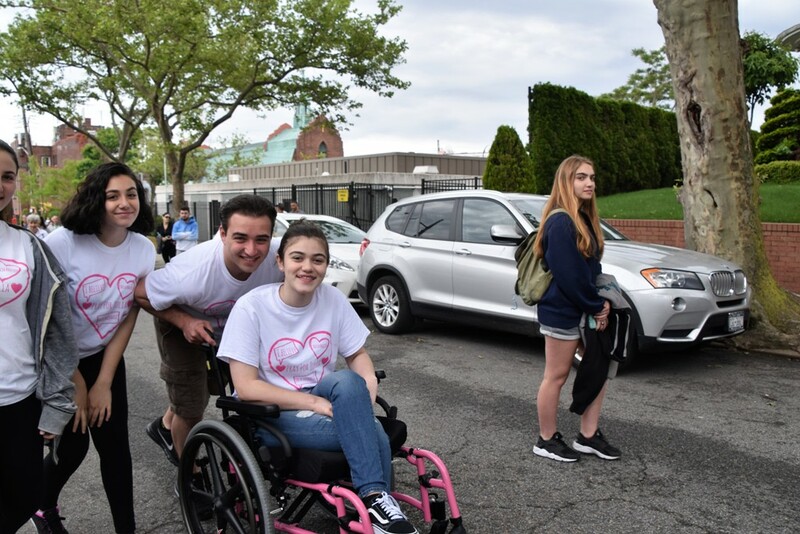 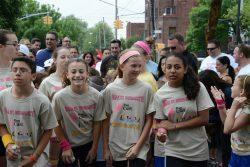 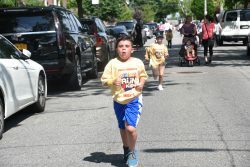 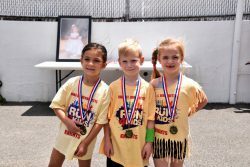 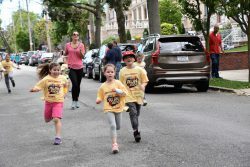 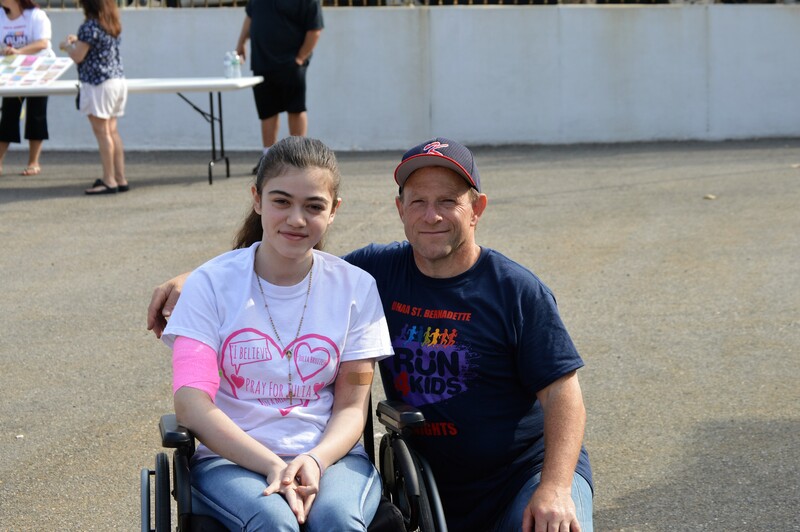 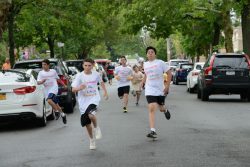 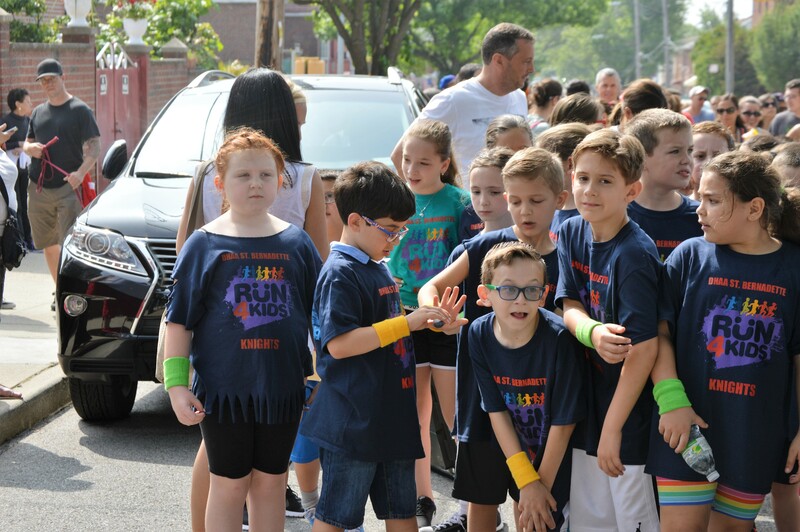 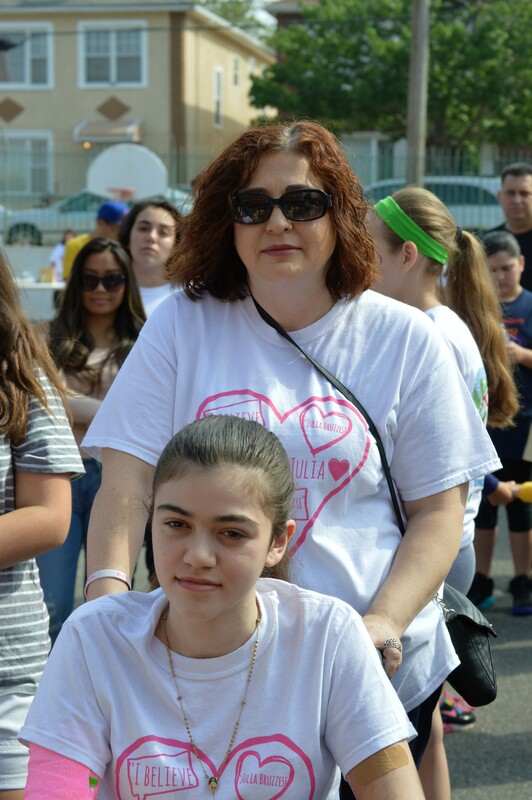 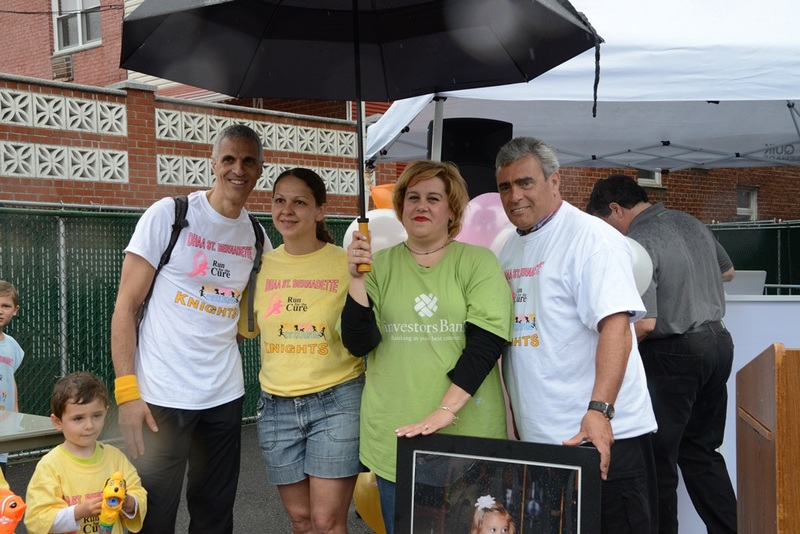 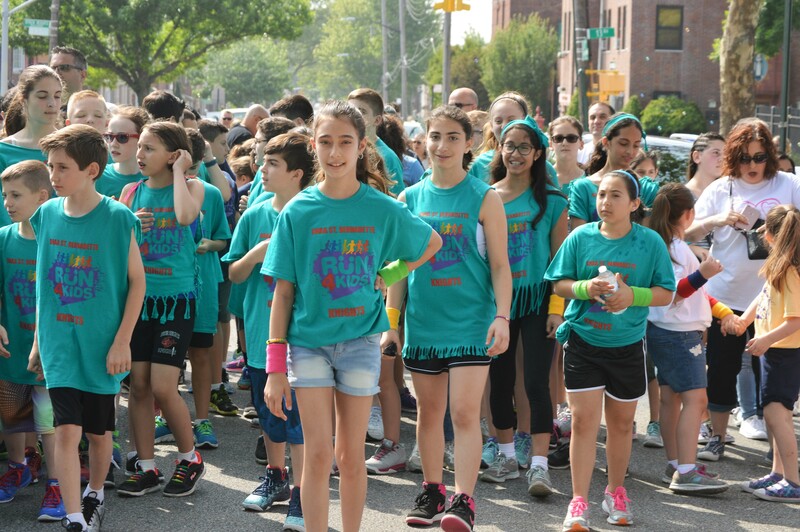 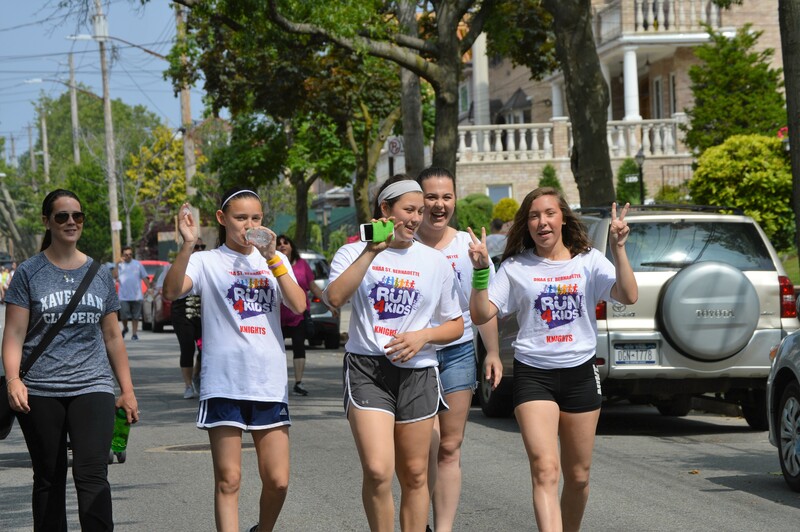 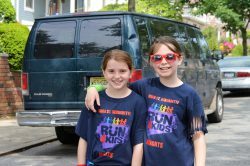 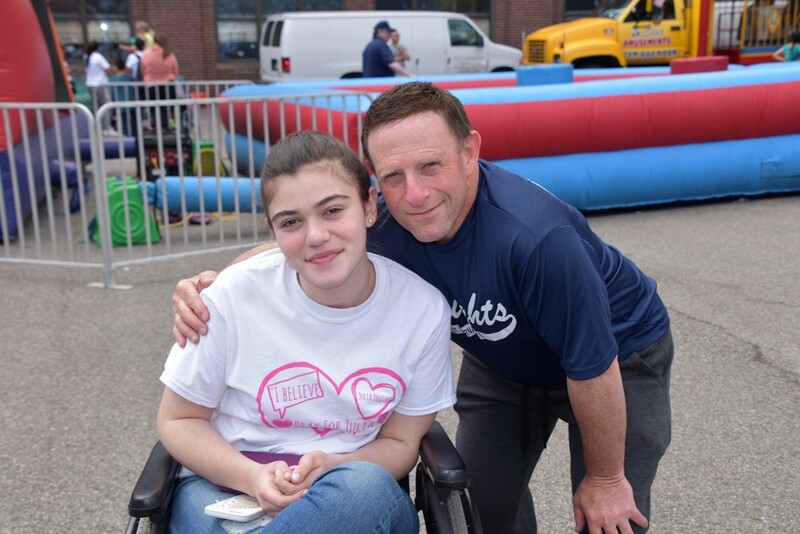 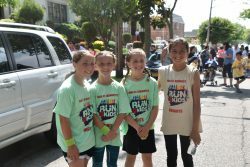 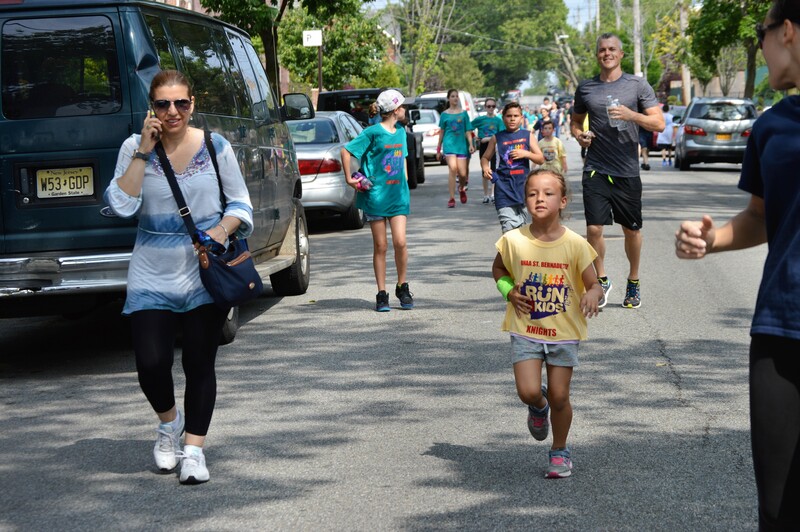 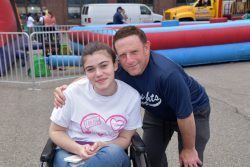 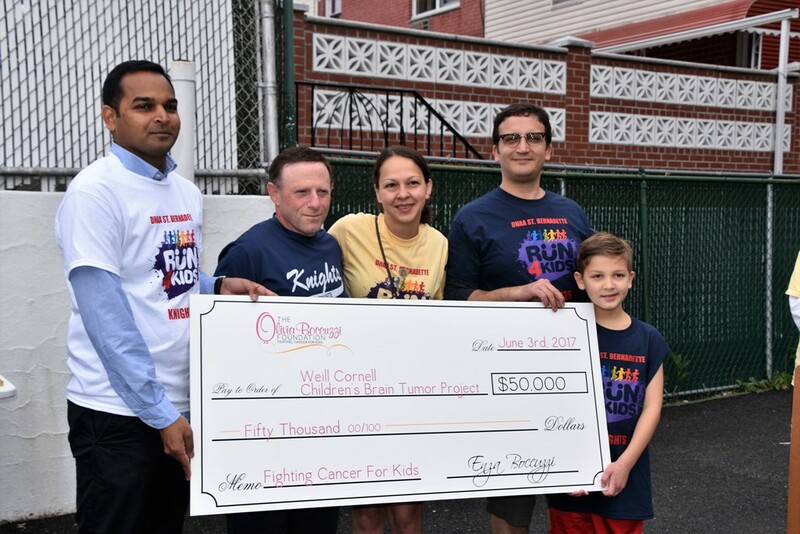 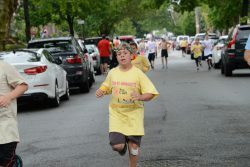 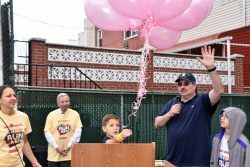 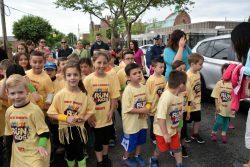 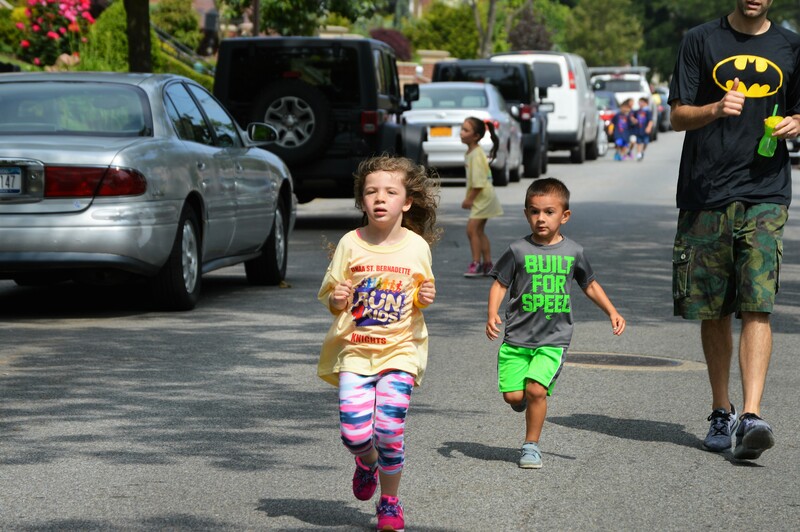 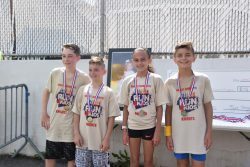 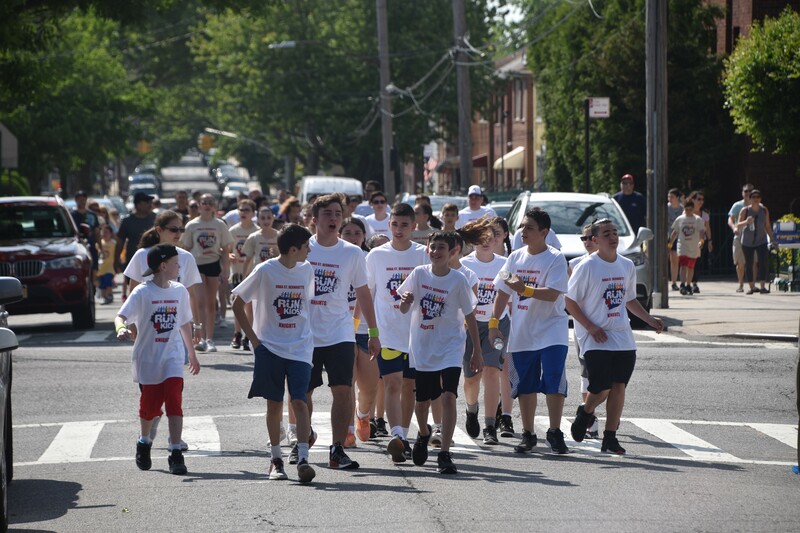 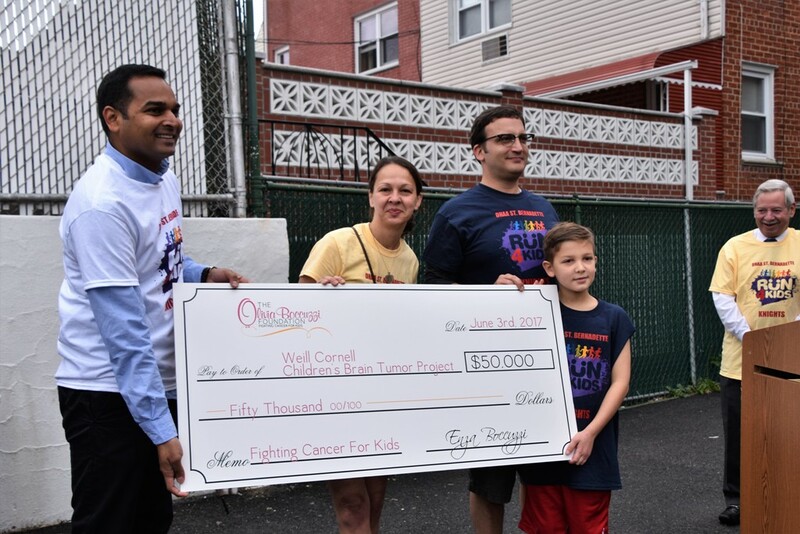 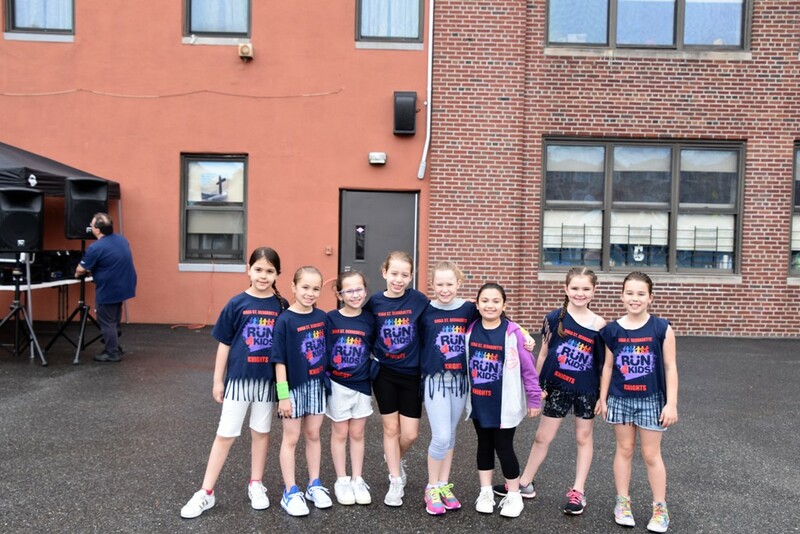 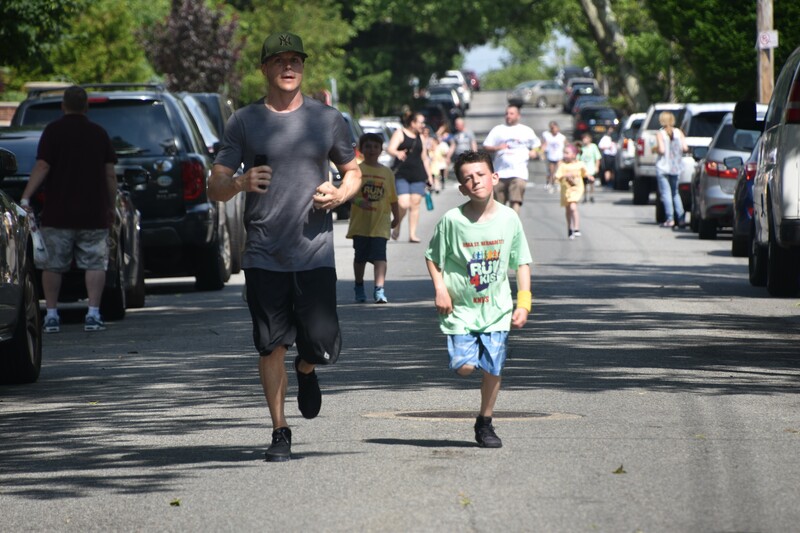 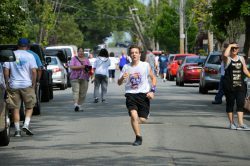 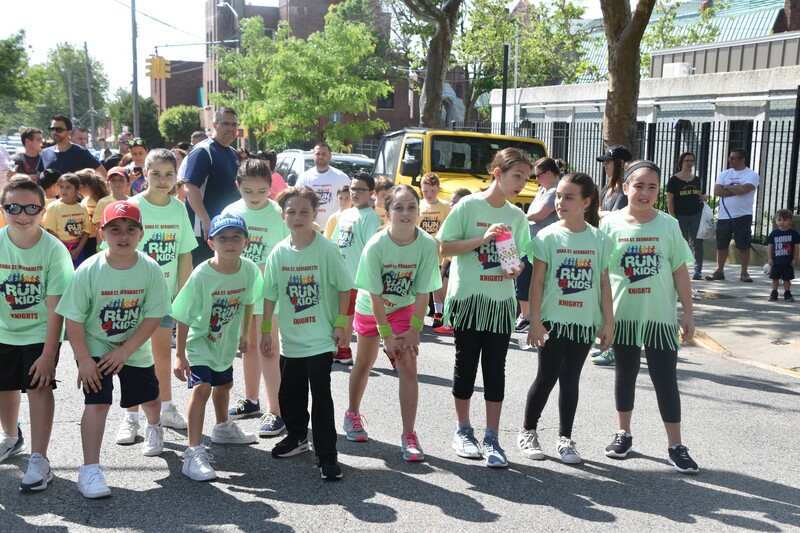 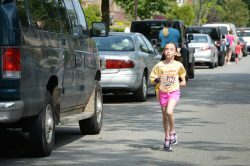 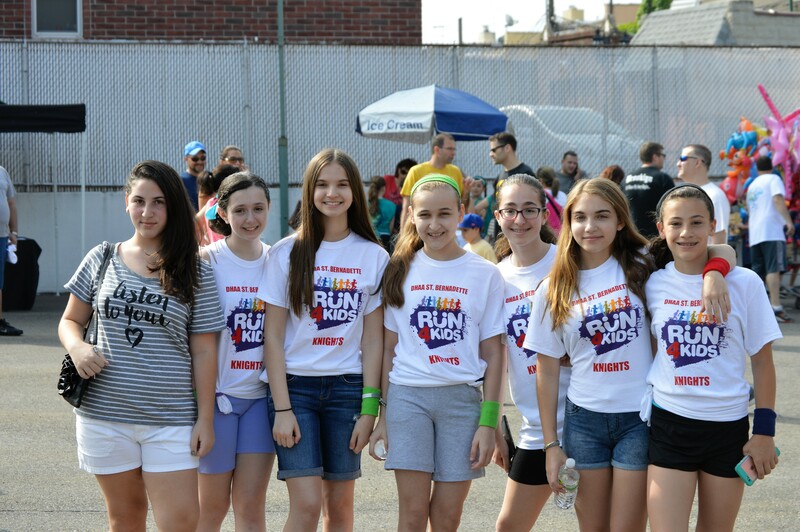 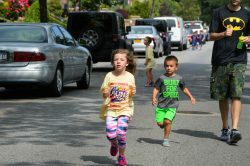 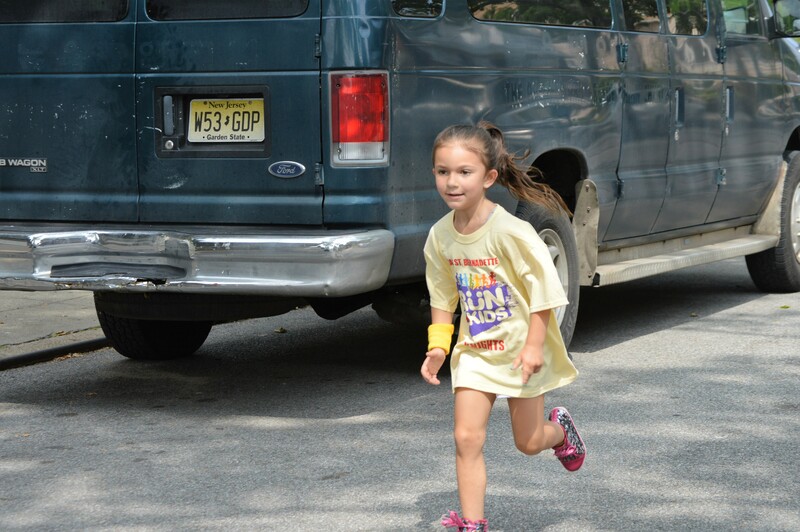 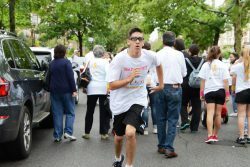 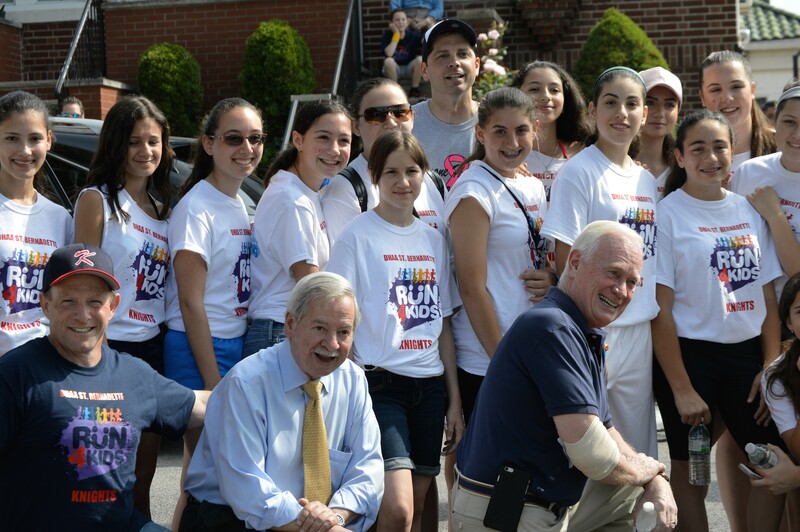 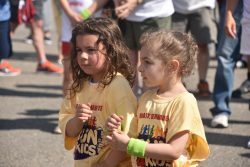 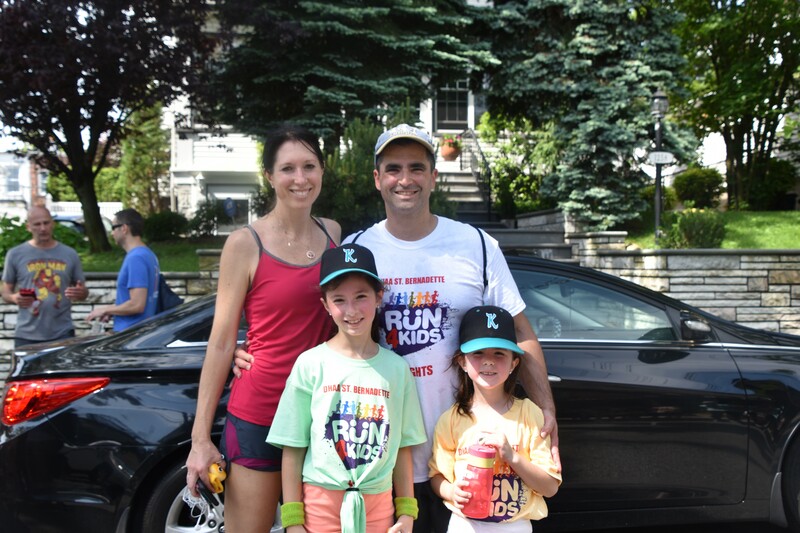 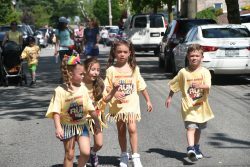 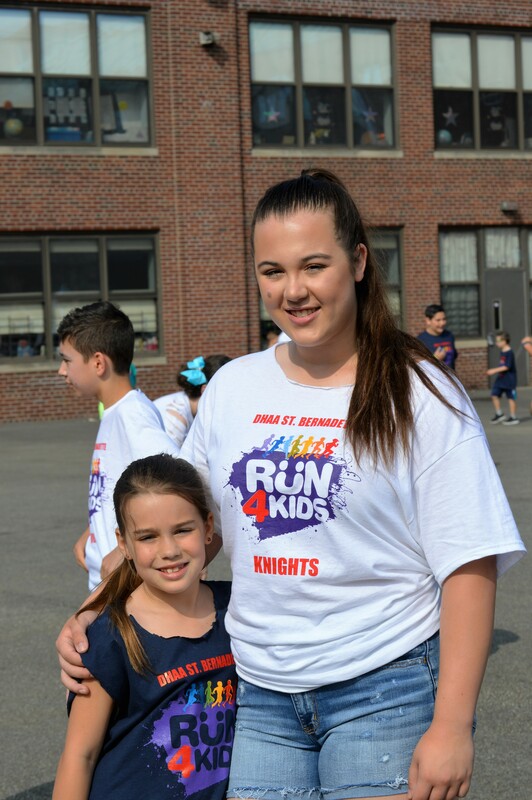 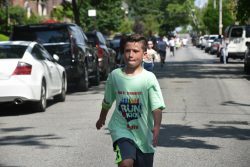 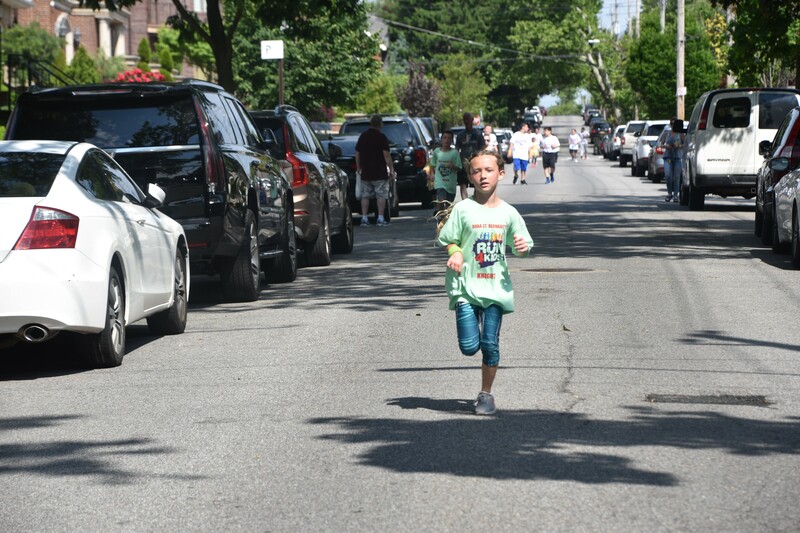 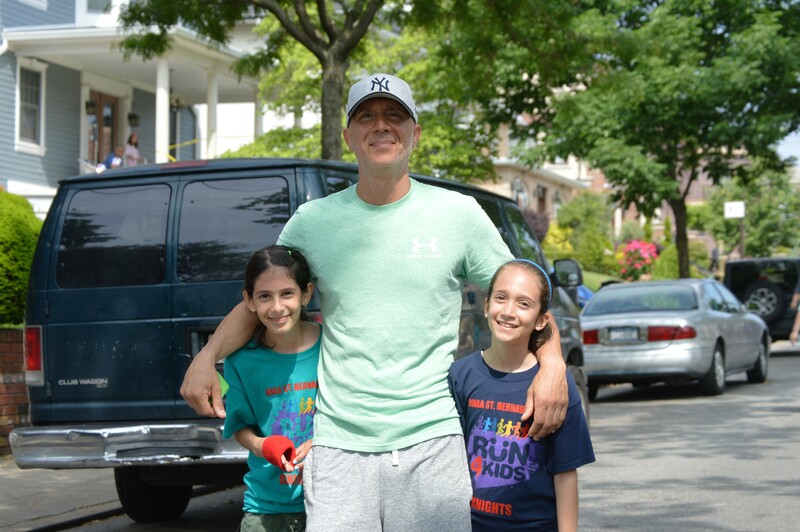 The Dyker Heights Athletic Association, St. Bernadette Parish and The Olivia Boccuzzi Foundation hosted the Nineth annual children’s runners’ two mile marathon on Saturday June 6th. 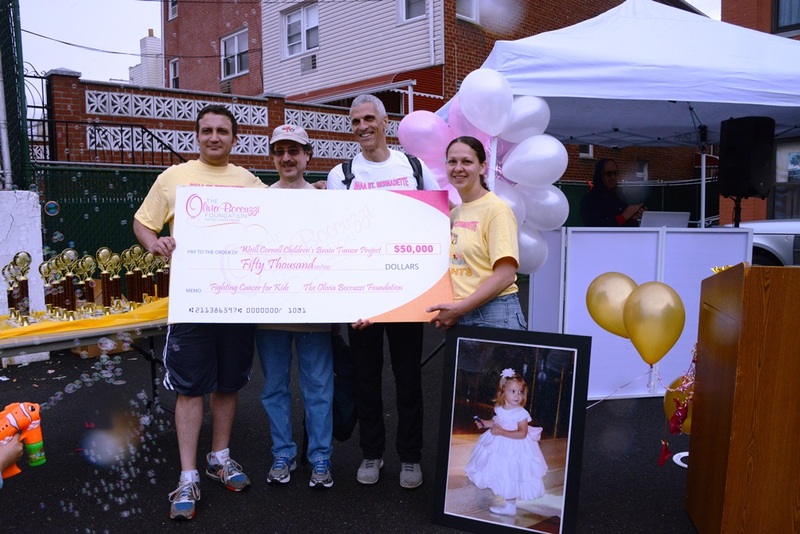 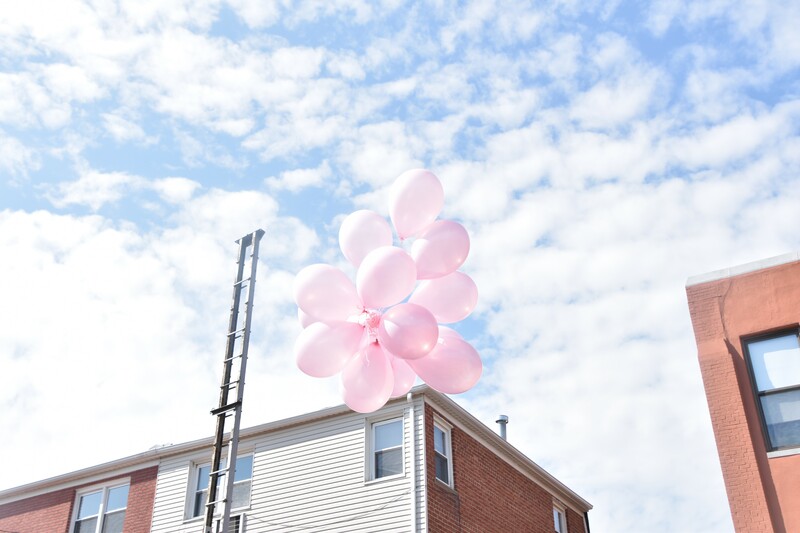 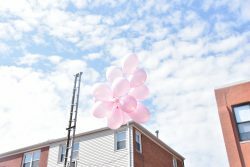 The event raised over $ 20,000.00 for the Olivia Boccuzzi Foundation and Breast Cancer Research . 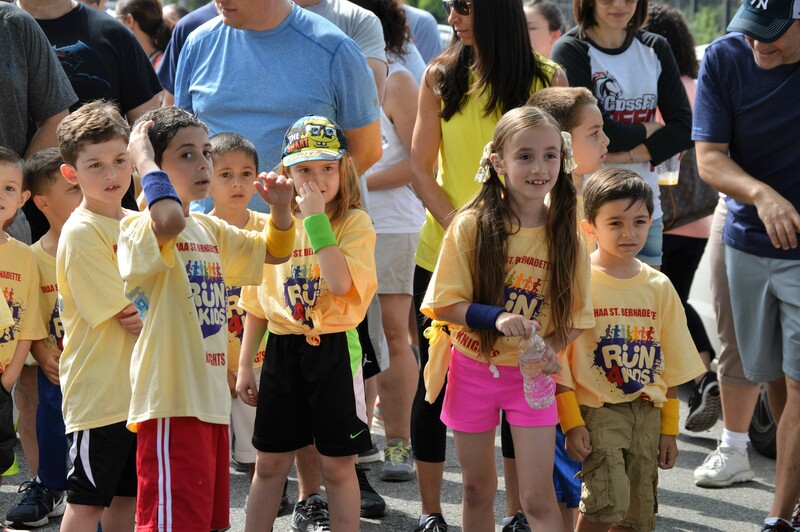 Over 300 kids ran in our ring Kids Cancer II Marathon. 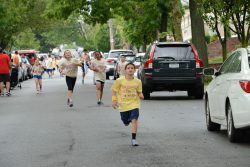 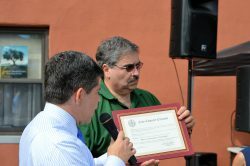 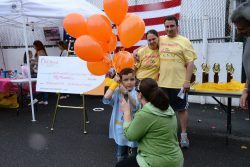 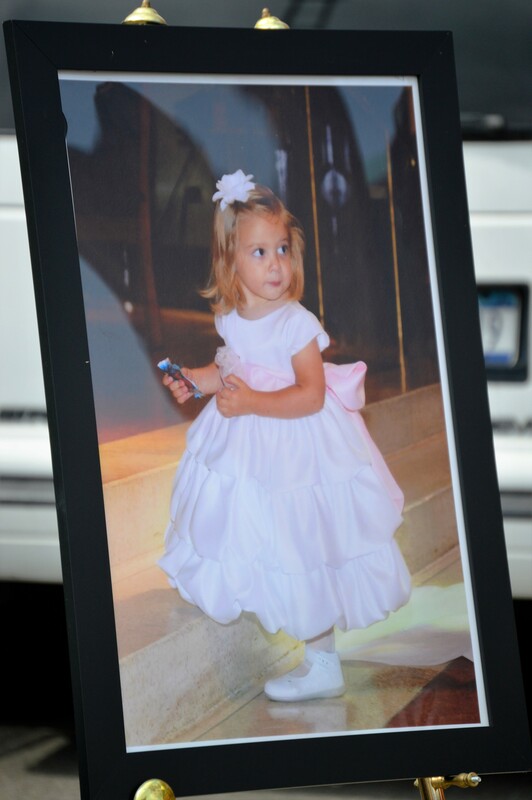 The kids were asked to obtain pledges to run and the funds raised benefited the Olivia Boccuzzi Foundation. 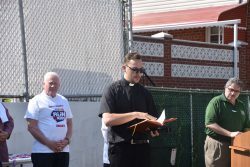 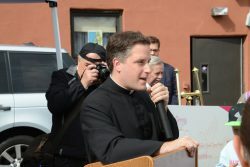 Father Joe gave the opening prayer. 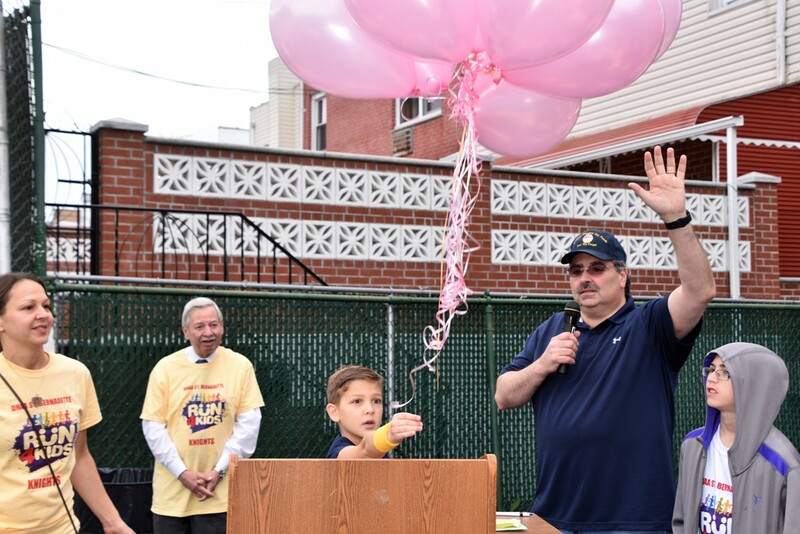 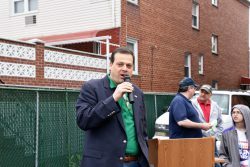 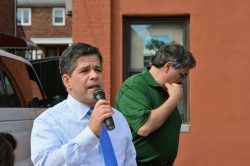 Councilman Vincent Gentile, John Quaglione were all present to show our kids how important this event was and how wonderful a cause they served. 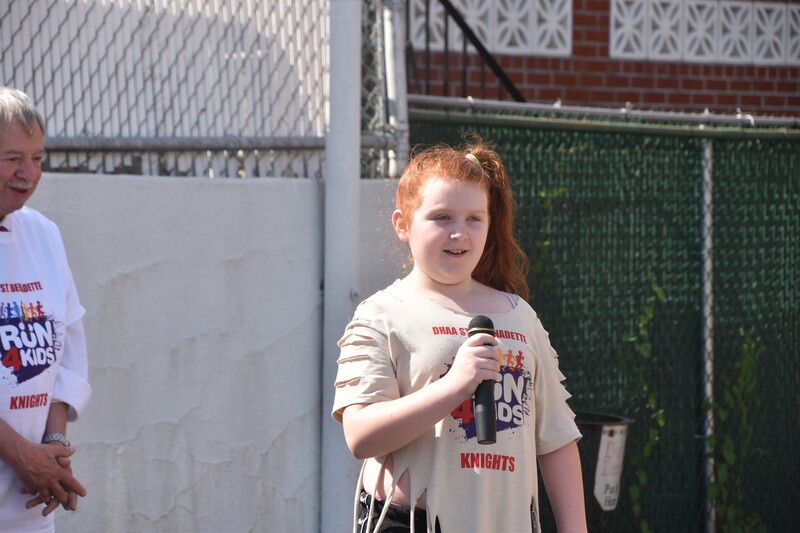 Each gave brief speeches thanking the children for their wonderful community service. 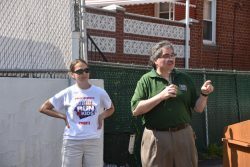 They praised our 300 runners for the sacrifice that they were making to help others in need. 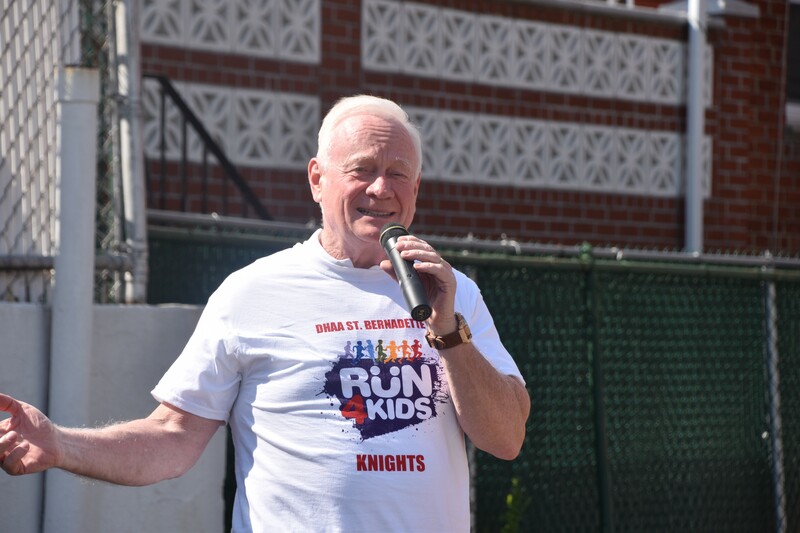 Joe Girgenti (our former President) also gave a very touching speech about how the Knights organization constantly promotes community service for our sports association. 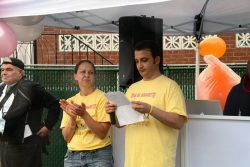 Joe Girgenti went on to define what a community is and how it relates to this event. 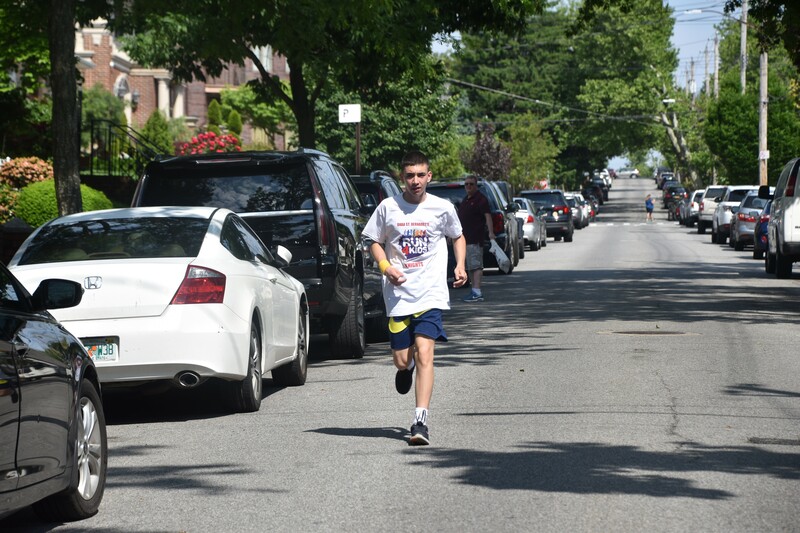 The race was from 82nd street and 13th avenue down 12th avenue to 71th street and back to 82nd street. 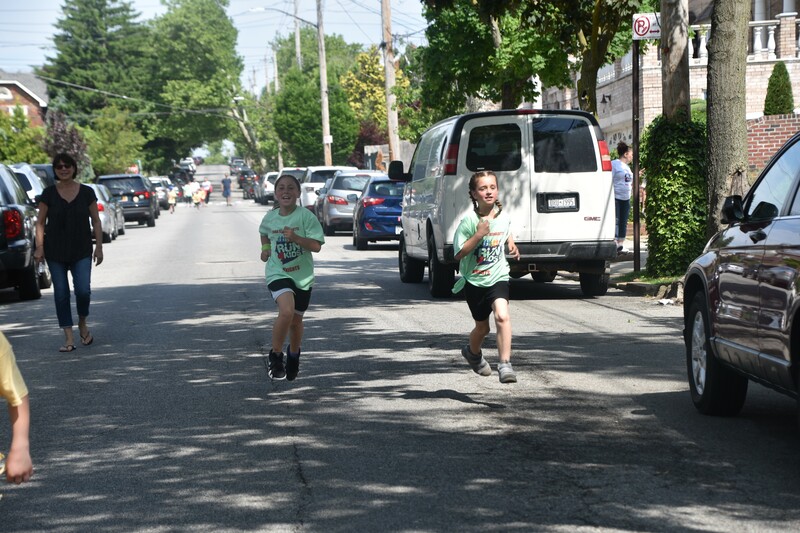 The kids ran according to the grades. 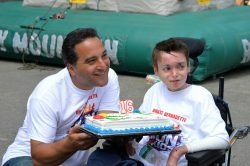 There were many raffles for sports memorabilia donated by many of the New York sports teams for the event. 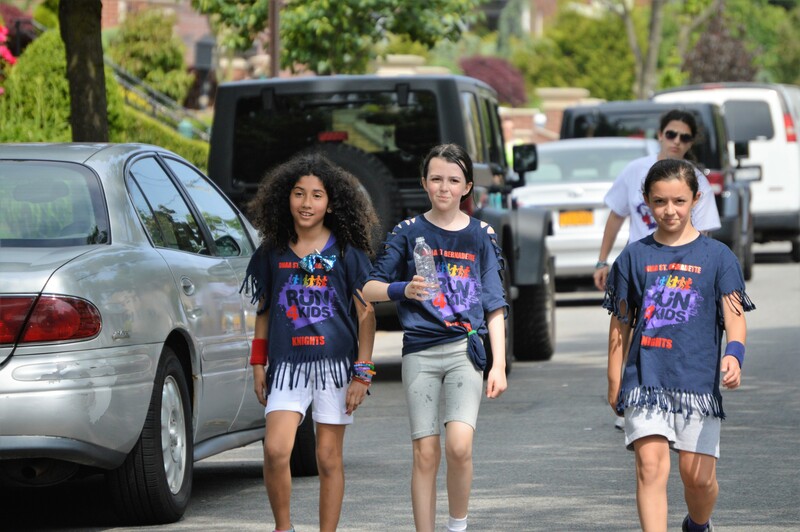 HSBC on 13th Avenue donated 300 bottles of water. 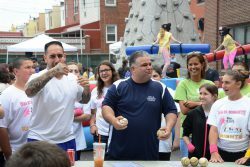 Party Pets and JPZ Entertainment were on hand to entertain the kids. 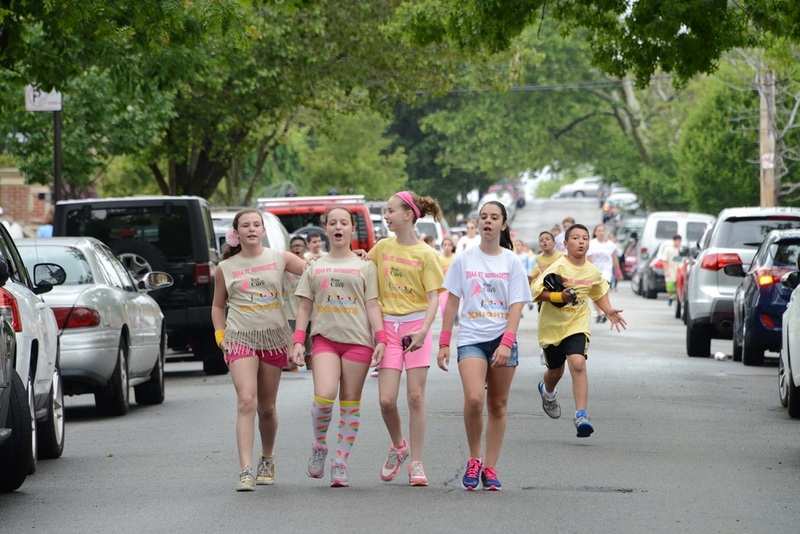 Glitzy Chicks led by Lisa Cannata also donated the proceeds she raised during the post marathon festivities. 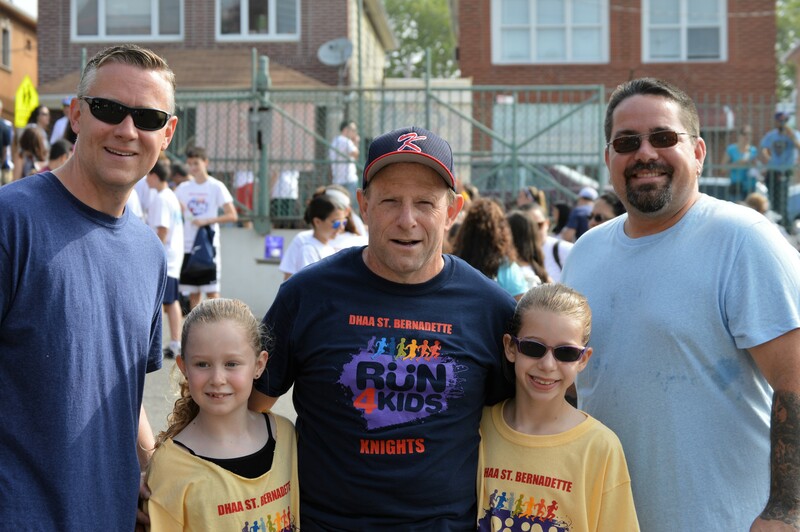 The Knights organization wants to thank all those who helped with this wonderful event. 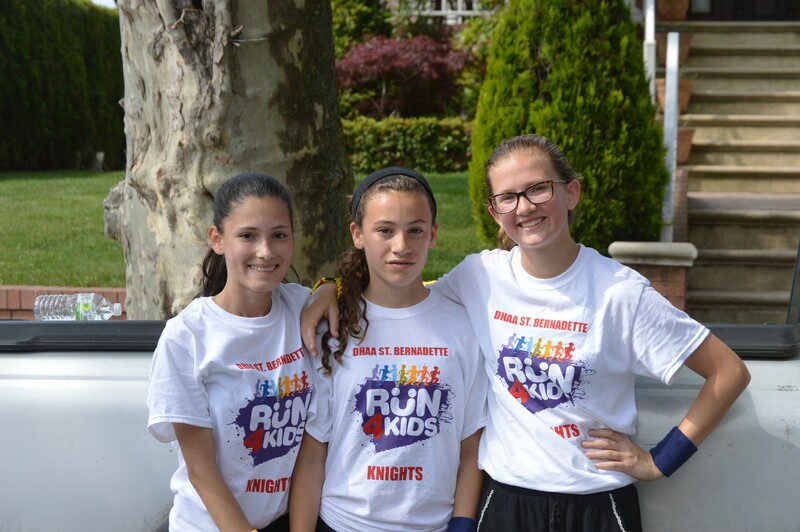 We would of course like to thank Monsignor Caserta for always supporting\promoting our marathons and always making sure that the Parish supports all the Knights programs. 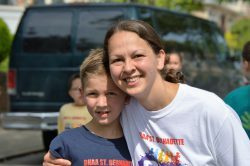 We would like to thank Sister Joan DiRienzo for all her support and assistance with helping us reach 400 kids participating plus helping us raise more funds by hosting free dress down for St. Bernadette kids that raised over $ 80.00 for the marathon. 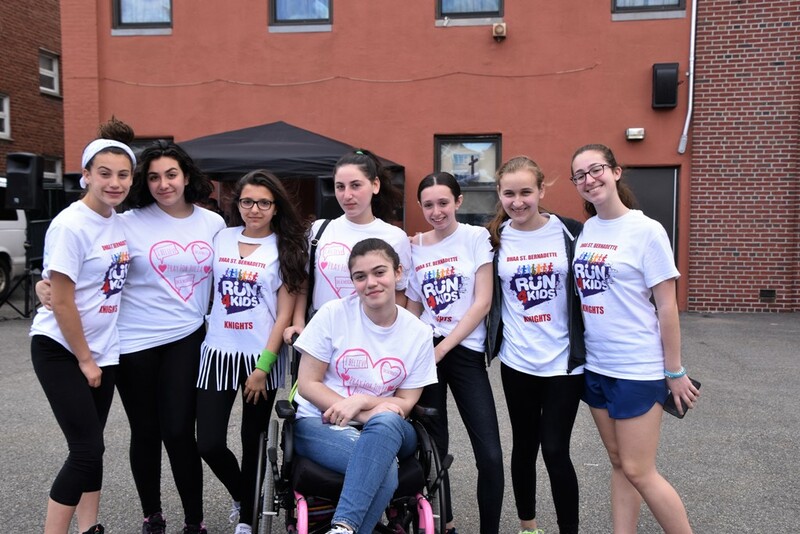 We want to give special thanks to our Marathon committee consisting of: Enza Boccuzzi, Daniela Iacobucci, Barbara Cona, Paulina Deangelis, Natasha Napolitano, Gina Ruggiero, Elaine Safran, Vin Chirico, and Peter McCarthy for their hard work and dedication to our marathon this year. 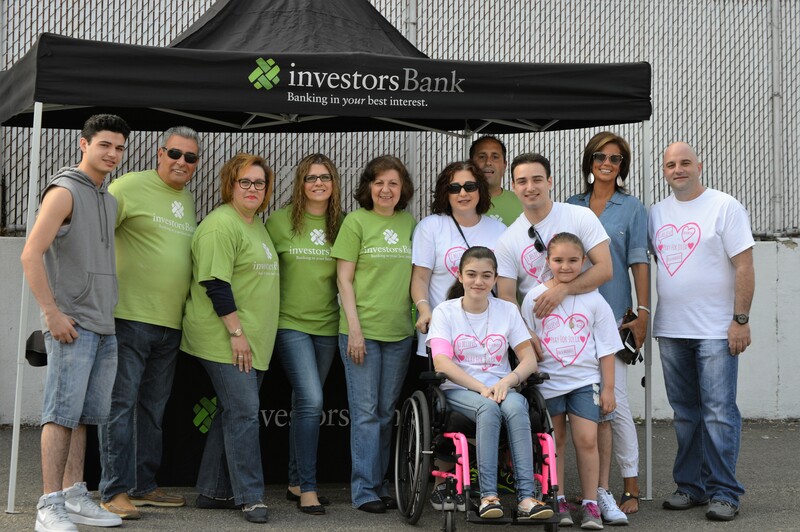 We want to thank Investor Bank for sponsoring the marathon by proving all the T-shirts. 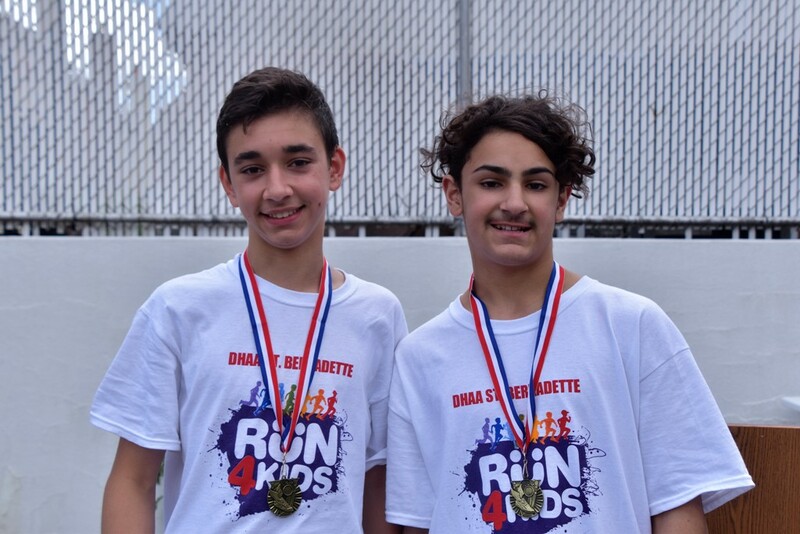 We would like to thank Denise and Gennaro Berardelli for their donation of many boxes of fruit to give out to the kids and many other donations for the food court. 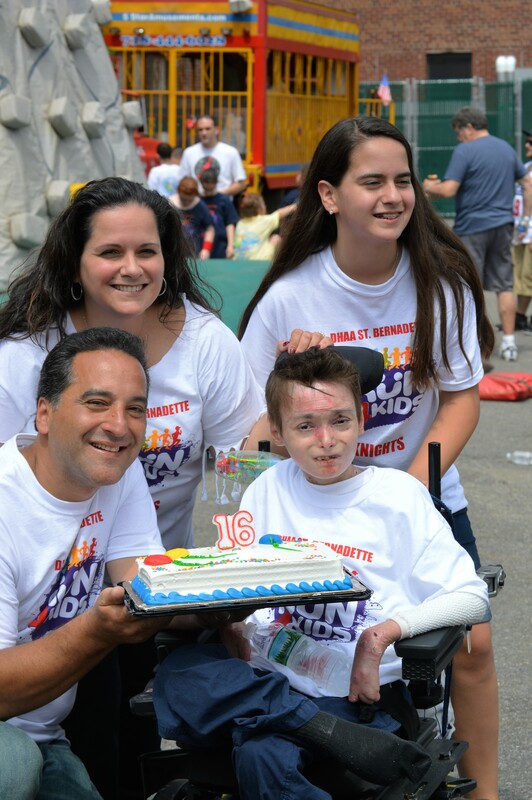 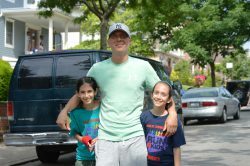 We would like to thank the Aulisa family for donating Yankee tickets worth over $ 800.00. We would like to thank UTZ for their donation of 800 bags of chips. 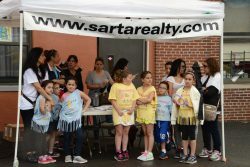 We would like to thank Sarta Realty for their participation. 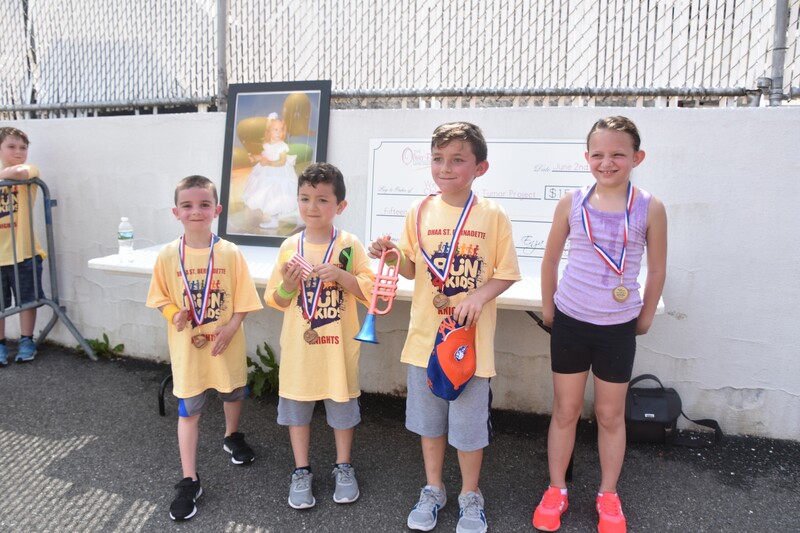 We would like to thank Carrie Pittman for getting News 12 as our media sponsor and for their coverage of our event and the reporting of the event that night on the news. 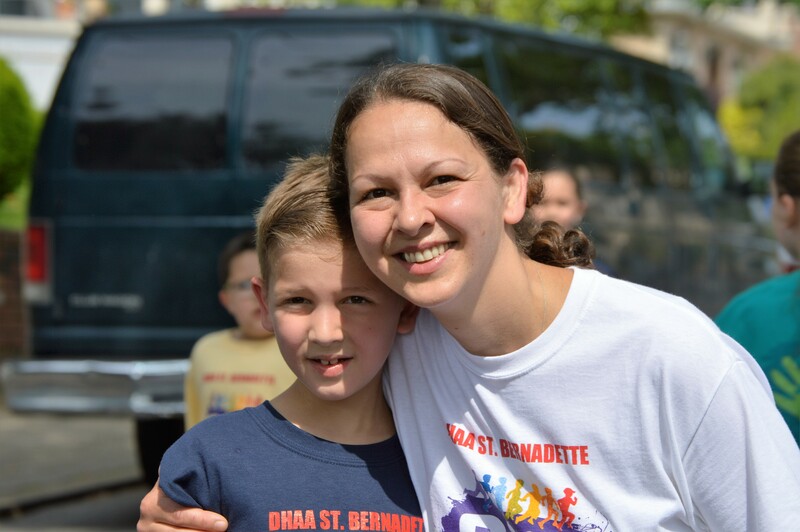 We would like to thank Dana Ioviero for being our nurse on call. 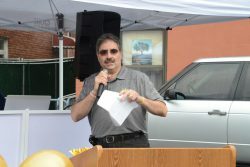 We would like to thank Joe Girgenti for his wonderful speech and all his introductions. 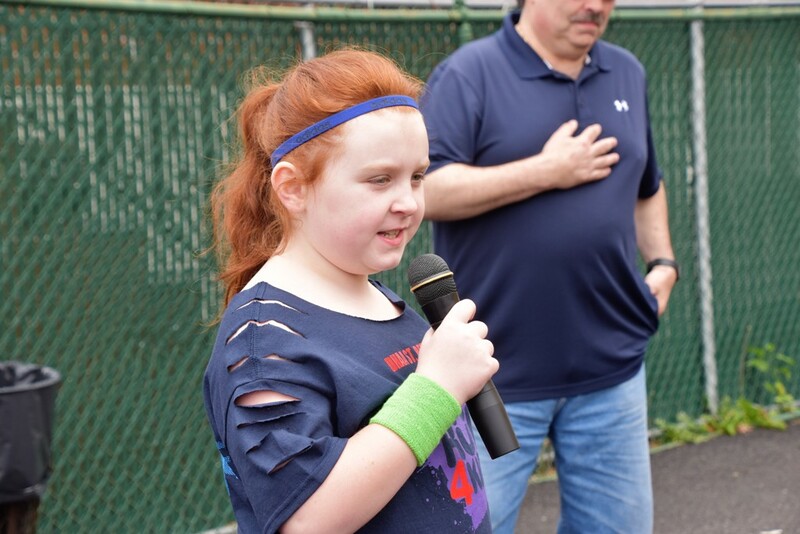 We would like to thank Vin Chirico, Bob Tarallo, Richard Napolitano, John Longardo, and the many others that helped run the basketball free throw competition. 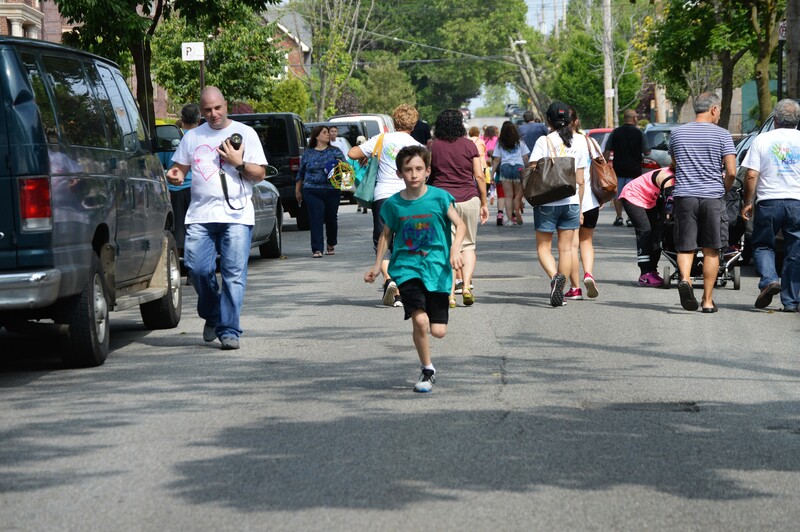 We would like to thank Kevin Hunter for making sure that the street closing permit was filed on time for us. 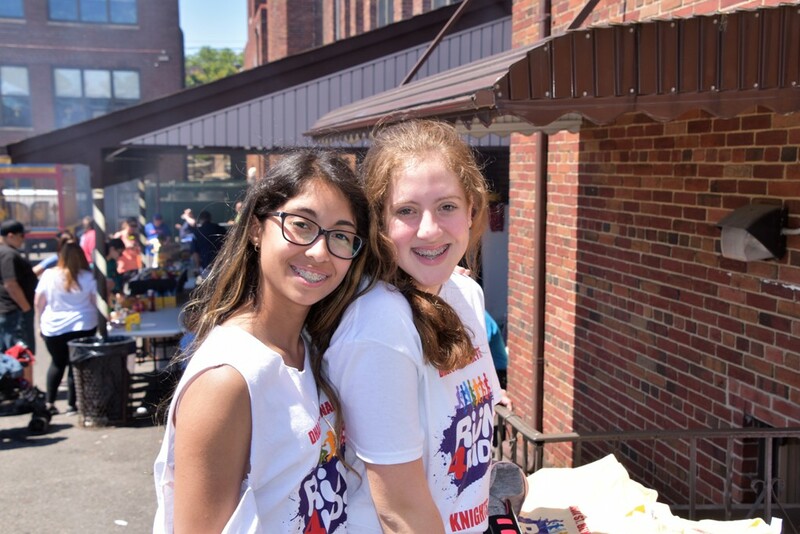 Finally, we would like to thank all the Knights Board Members that met that morning to setup the school yard for the event and for cooking all day long and for all their help running all the activities for the entire day. 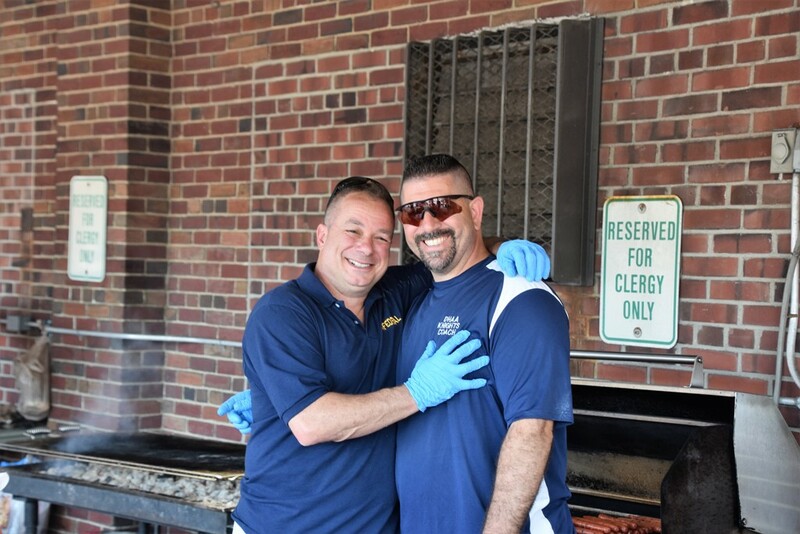 A Special thanks to our friend Dom Angilletta for allowing us to use his very large grill and for being the cook all day long.